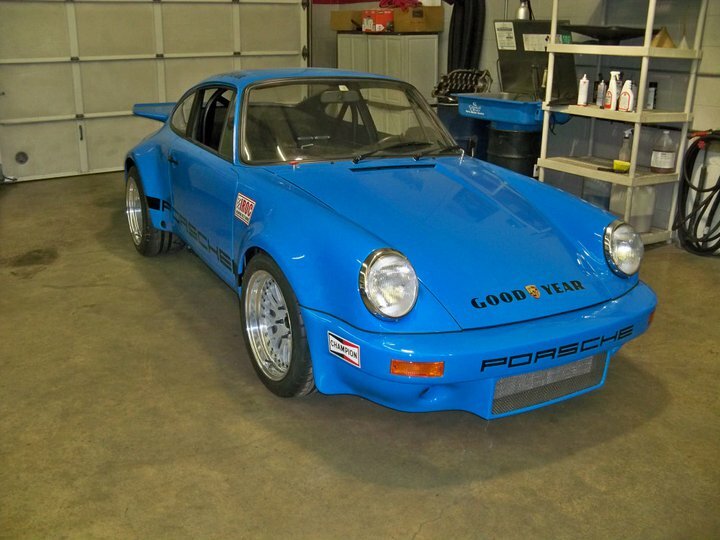 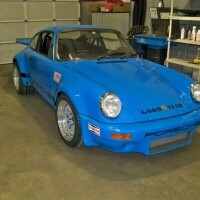 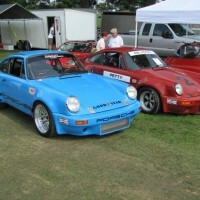 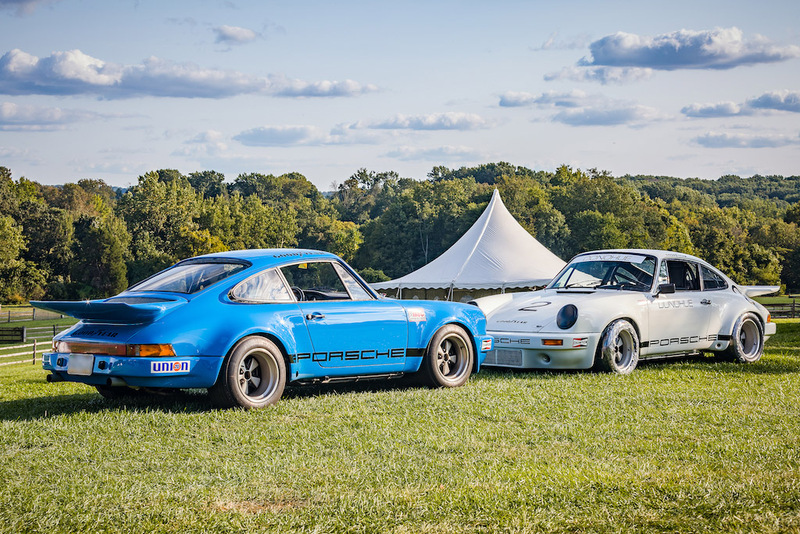 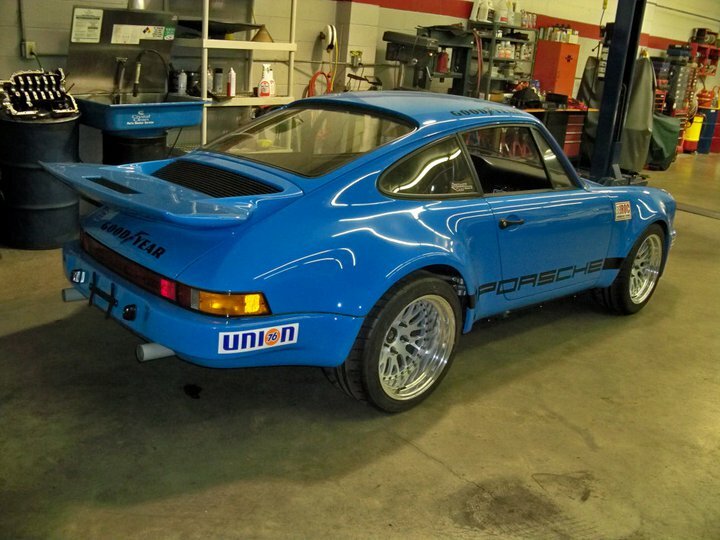 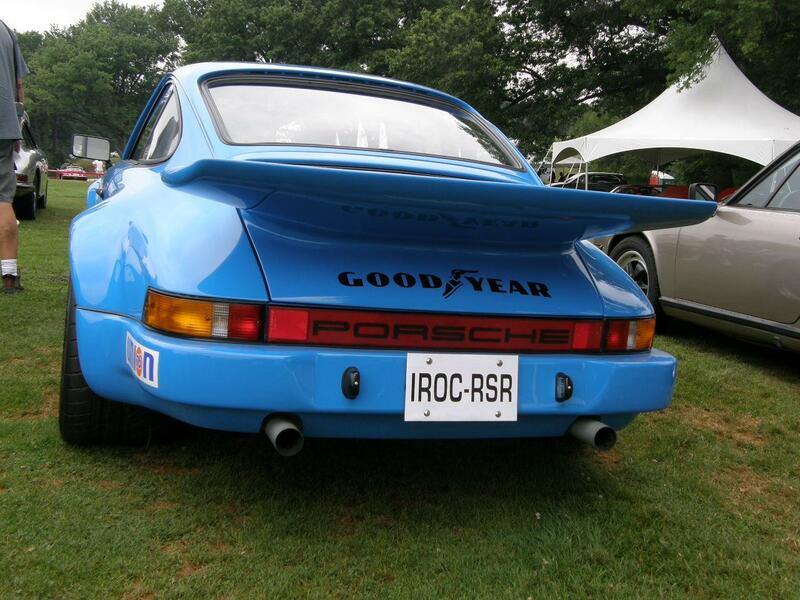 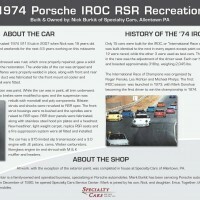 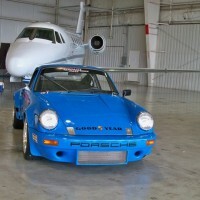 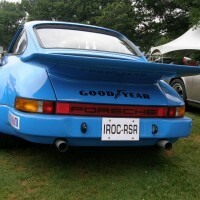 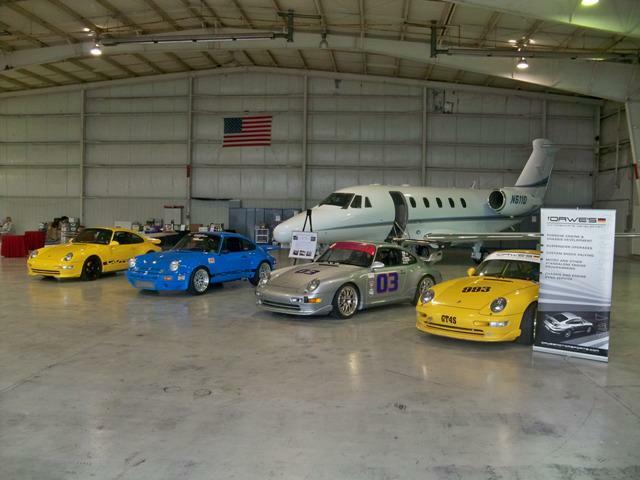 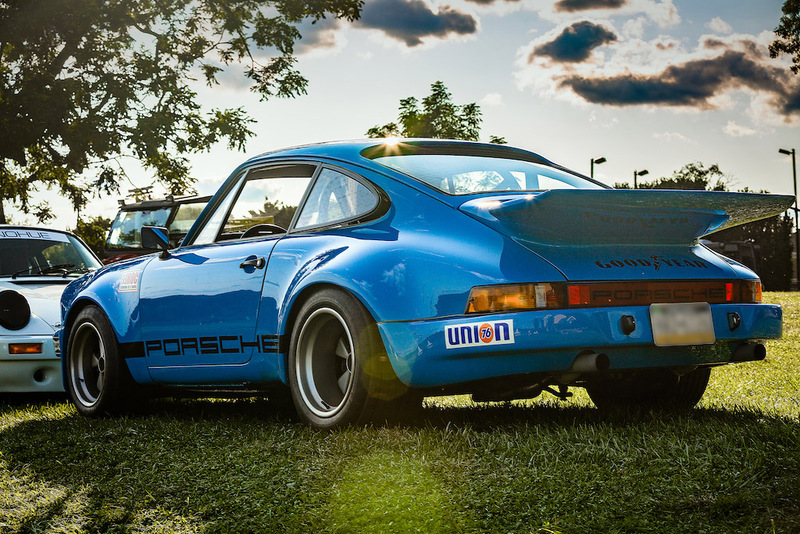 1974 911 IROC RSR Recreation » Specialty Cars Service Center, Inc. 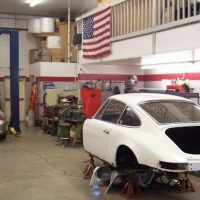 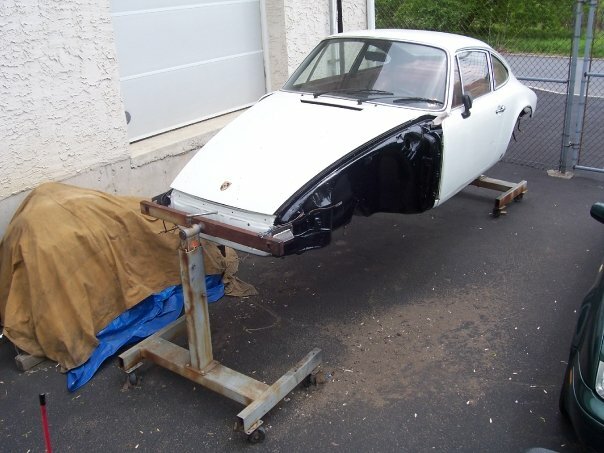 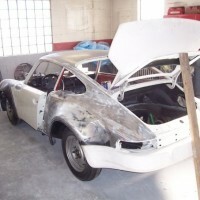 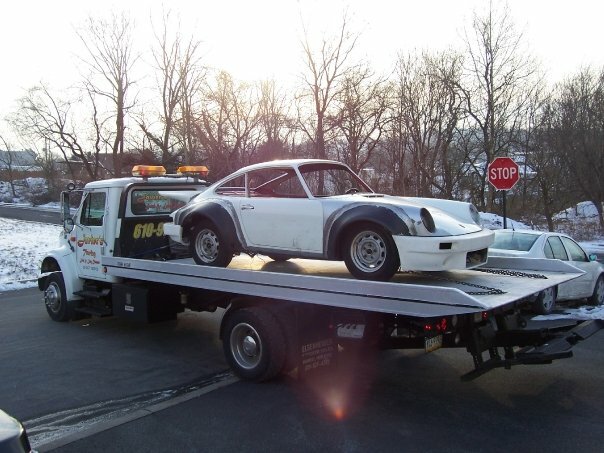 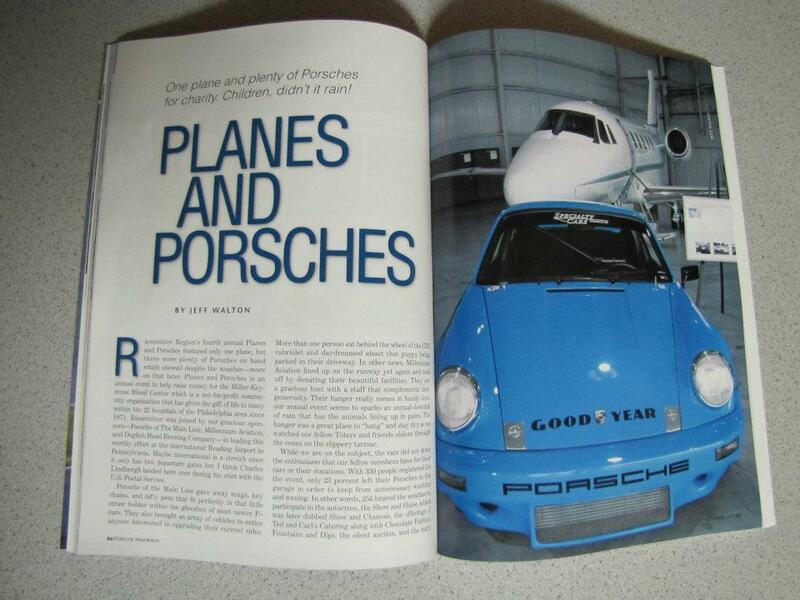 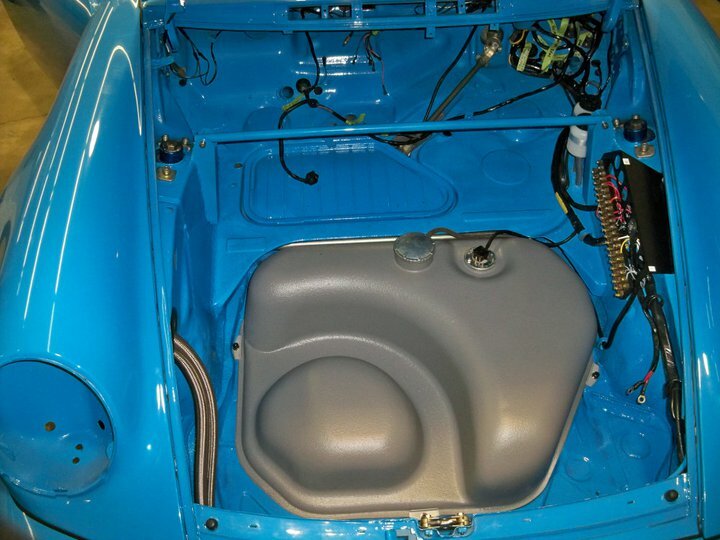 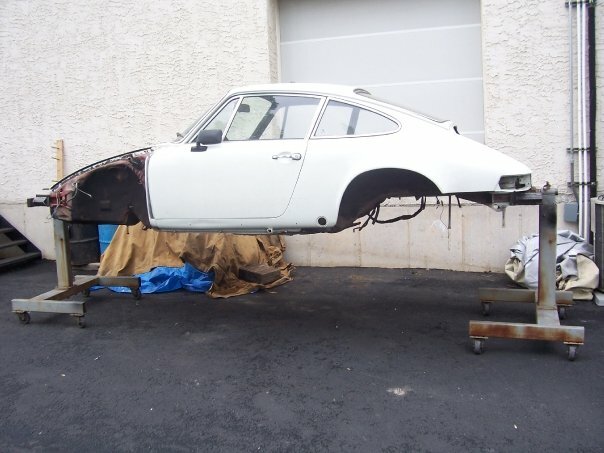 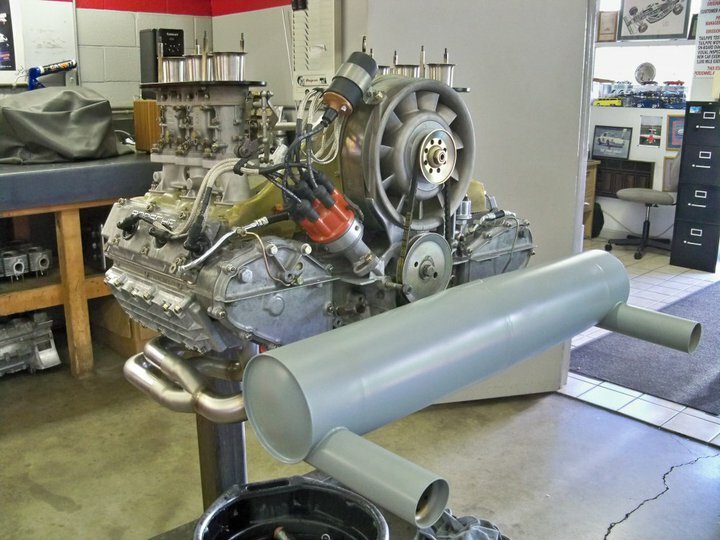 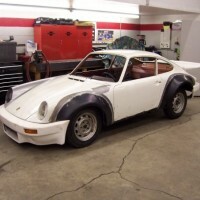 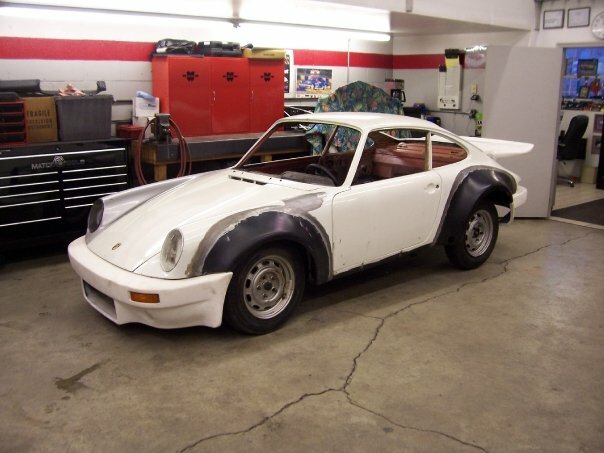 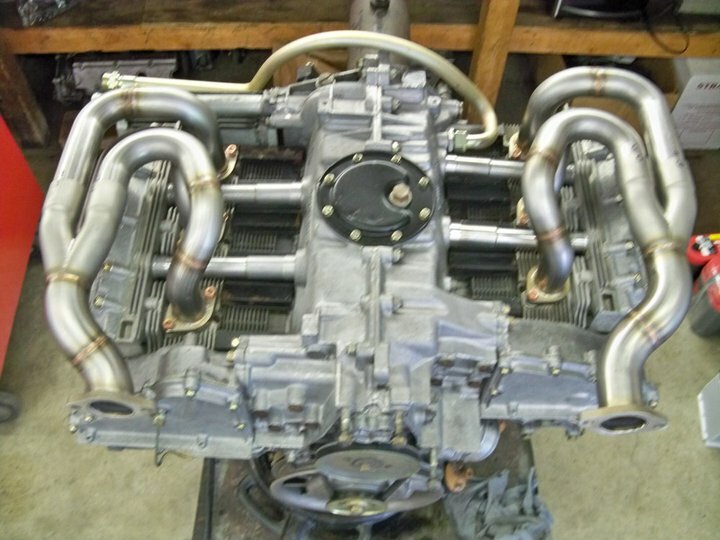 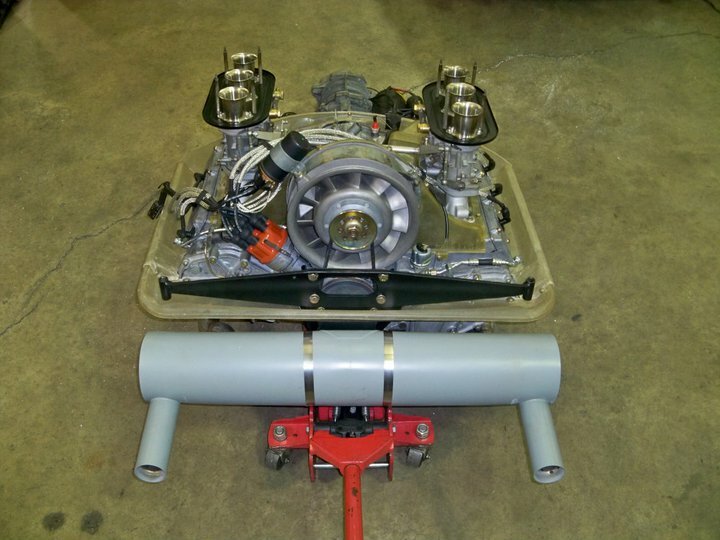 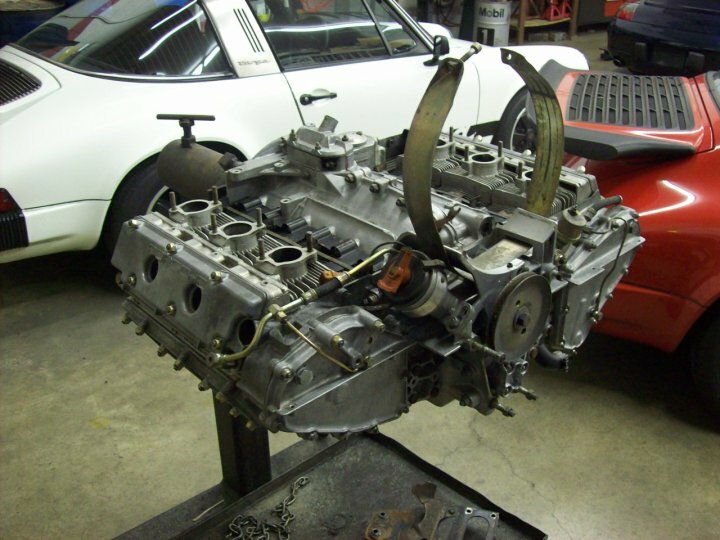 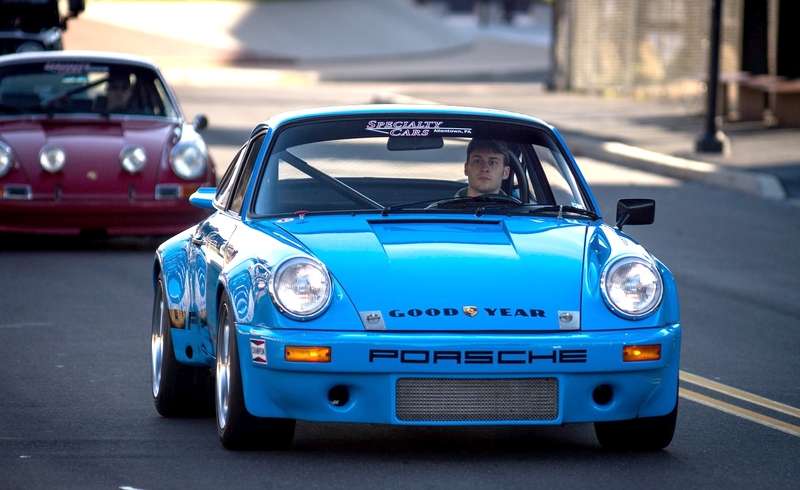 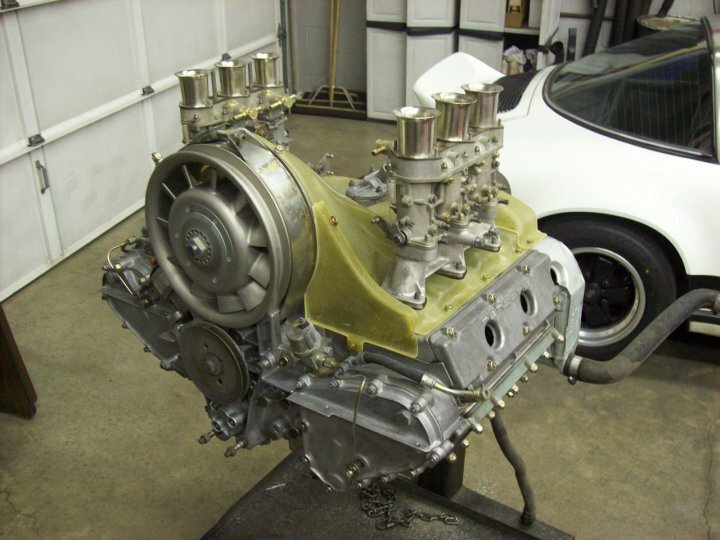 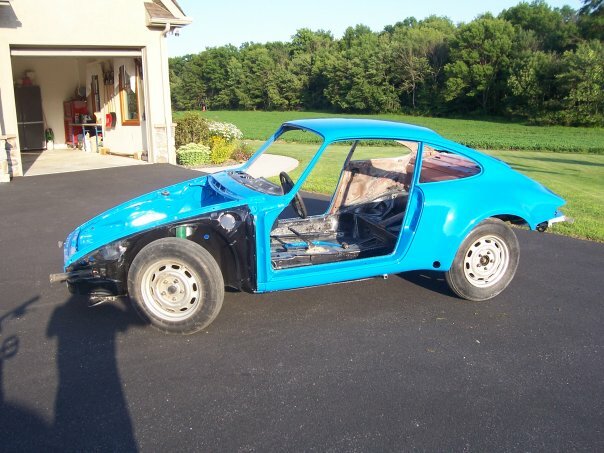 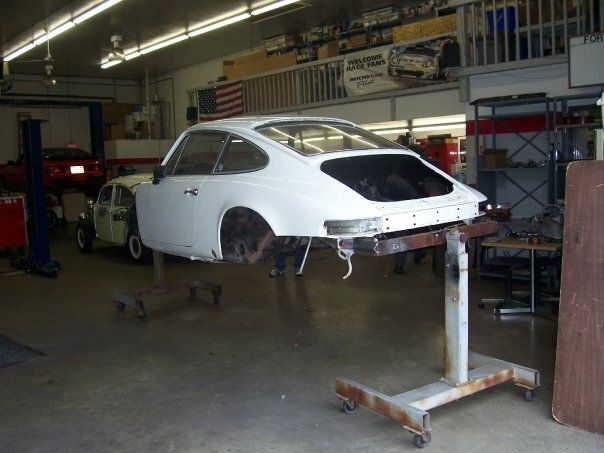 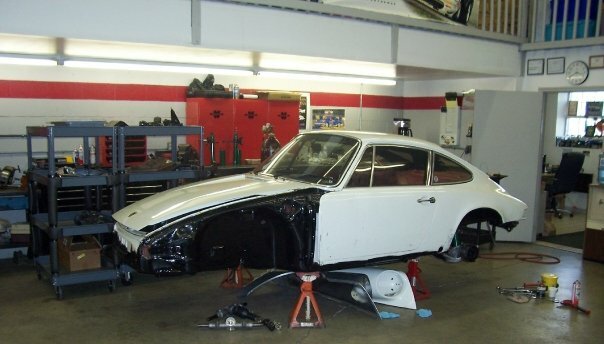 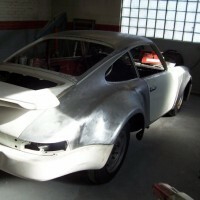 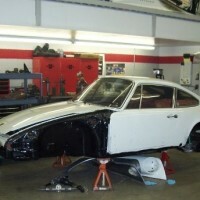 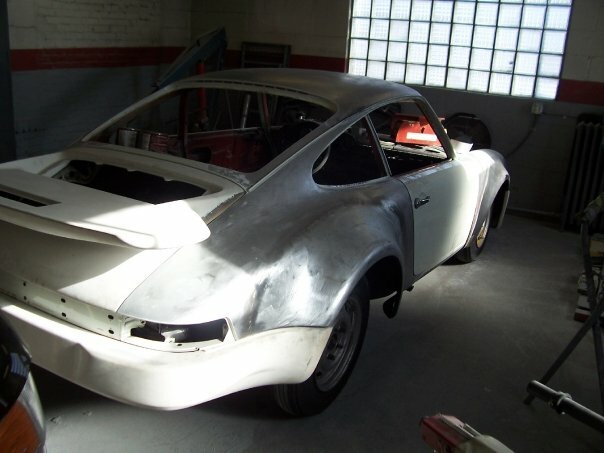 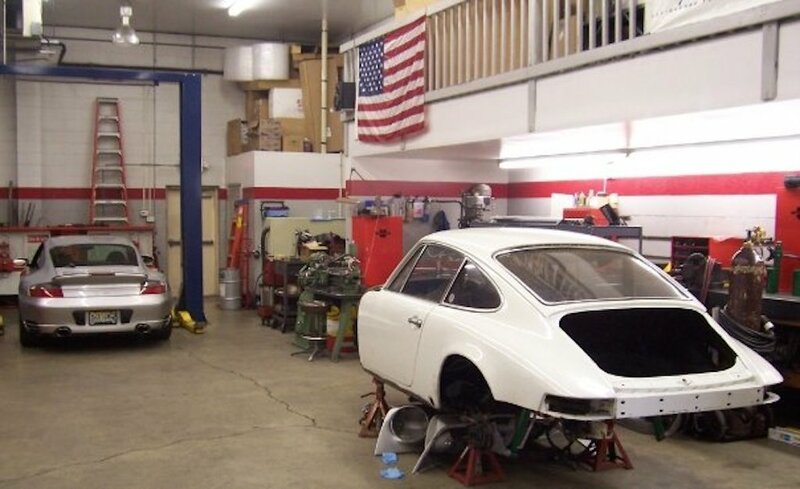 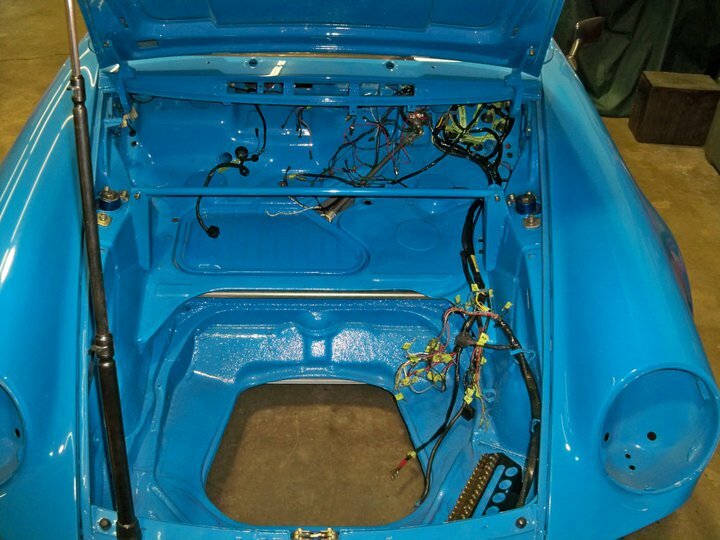 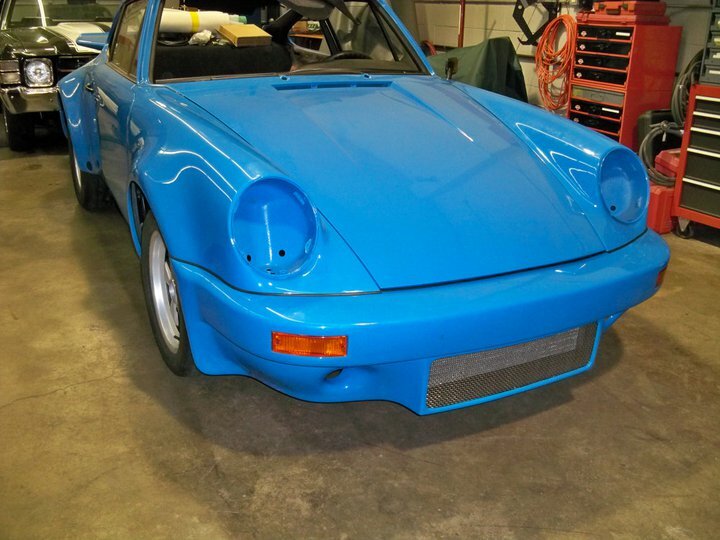 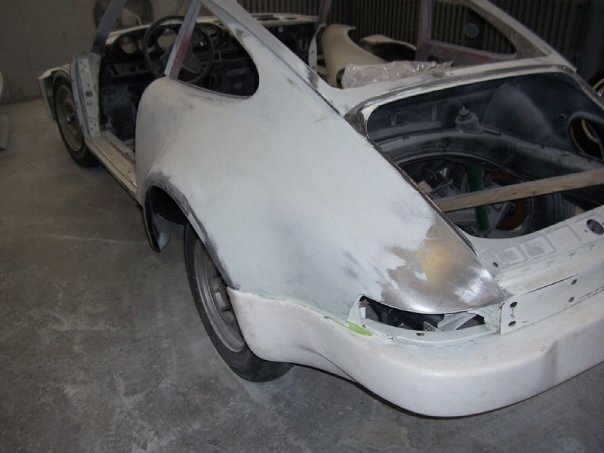 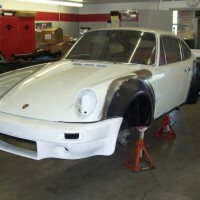 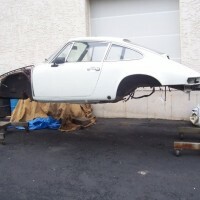 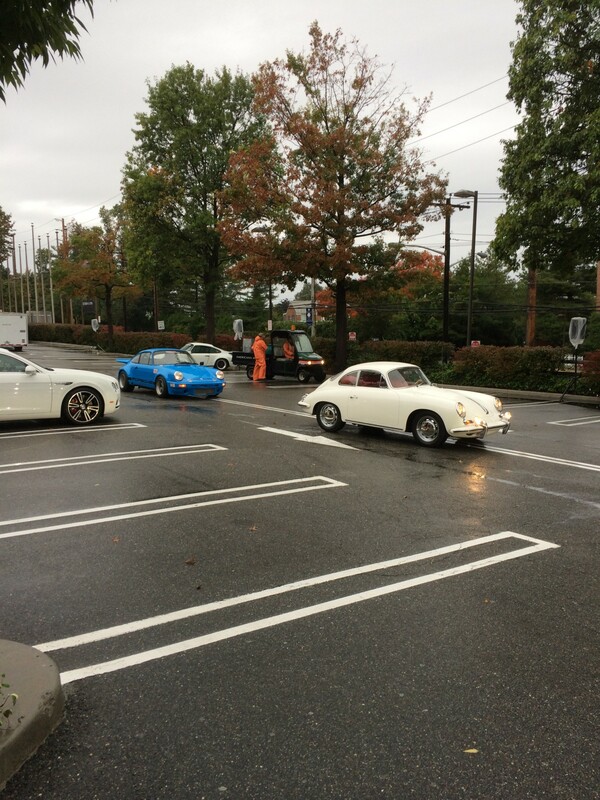 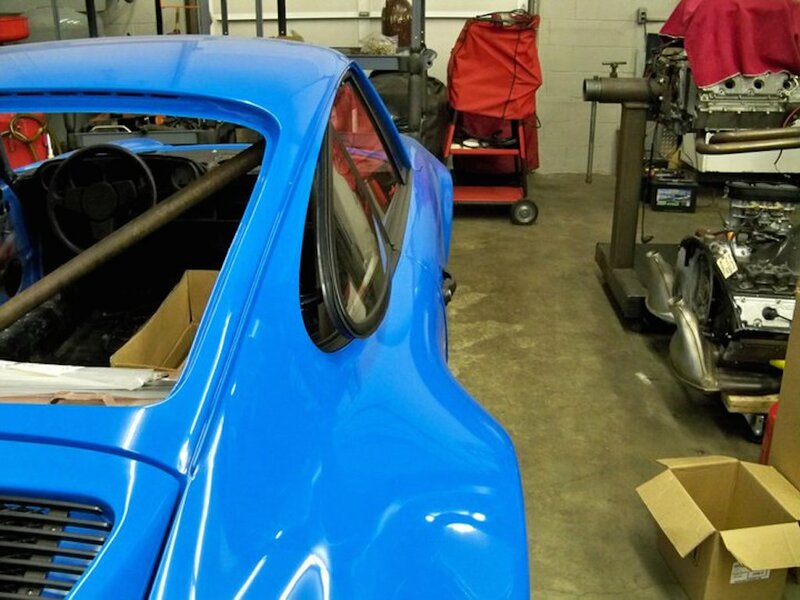 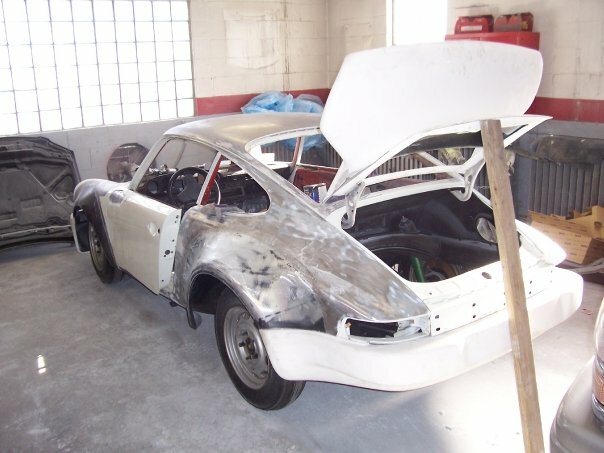 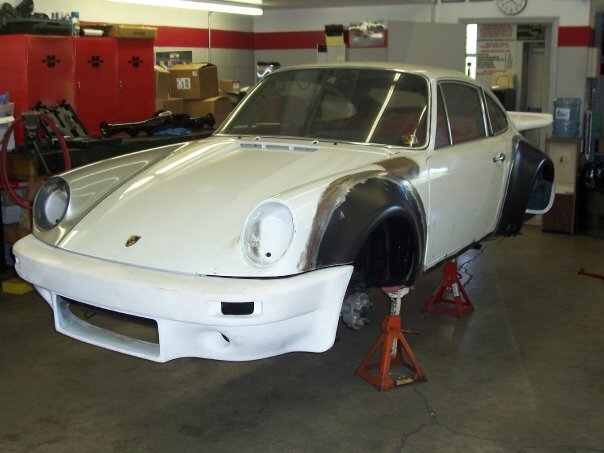 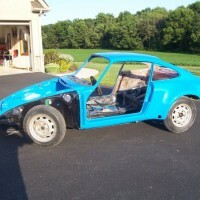 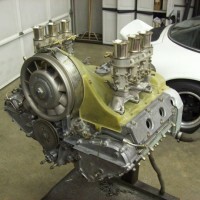 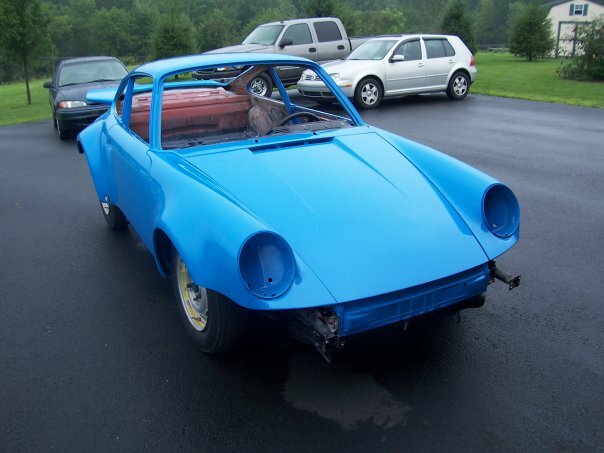 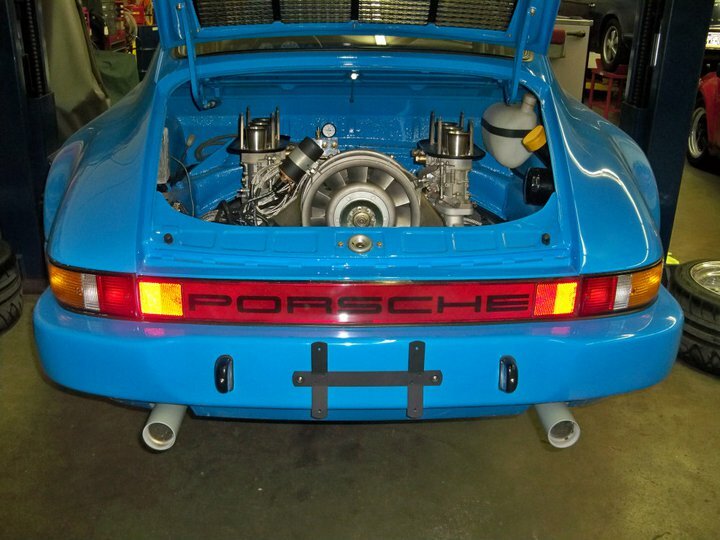 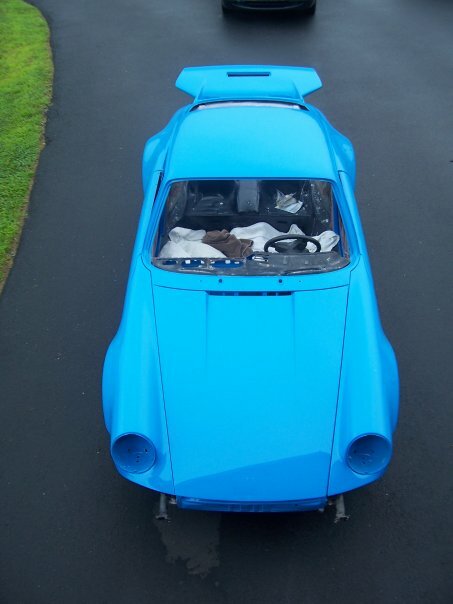 Built and owned by Specialty Cars’ own Nick Burkit, this project started as a rusted 1974 911 S tub in 2007. 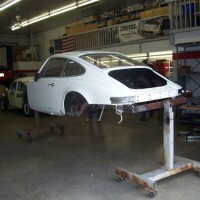 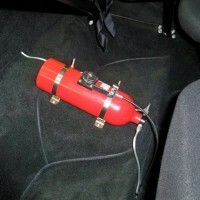 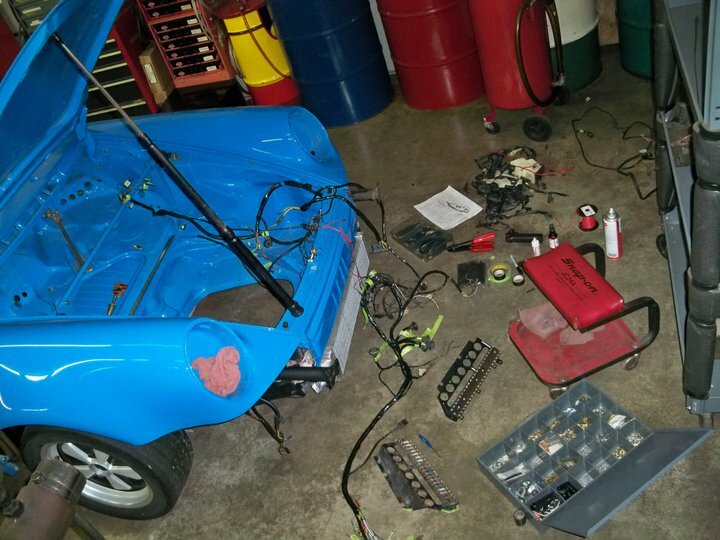 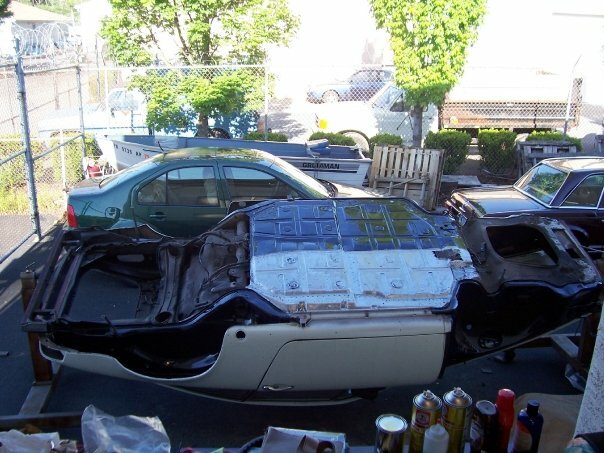 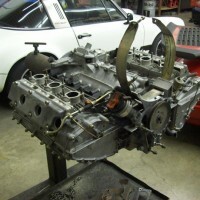 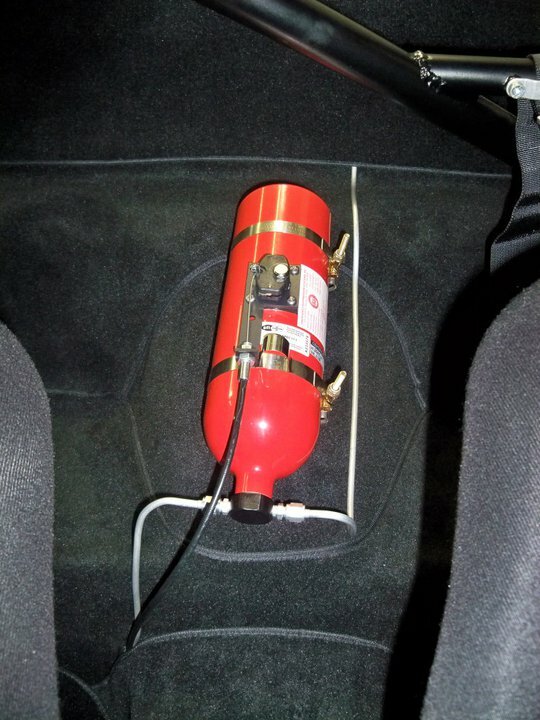 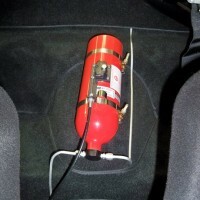 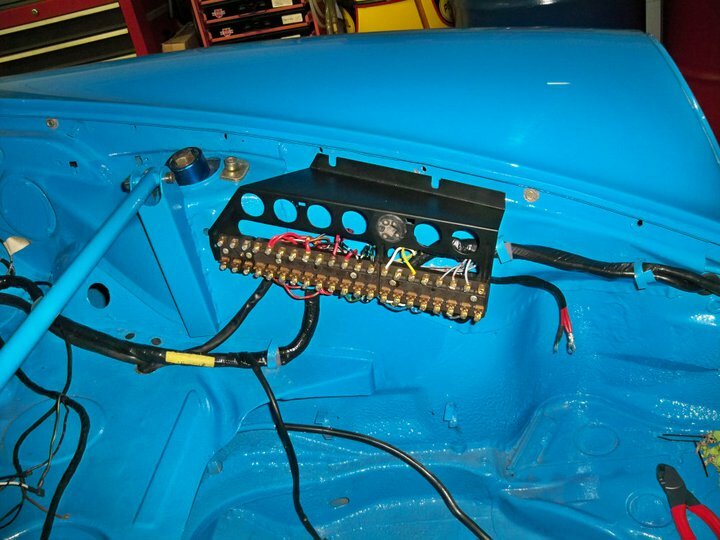 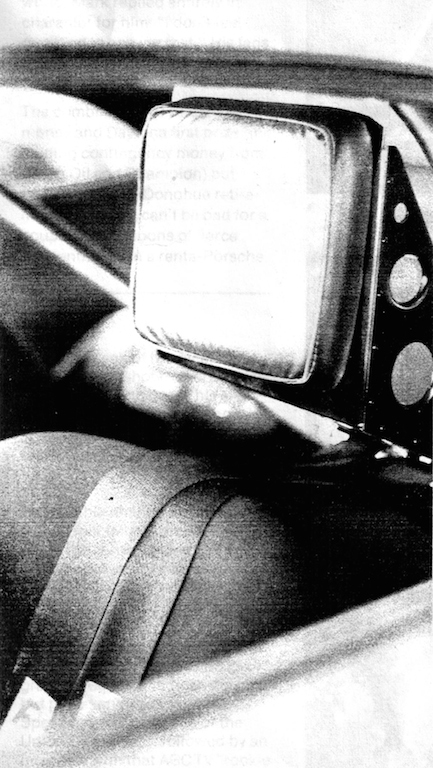 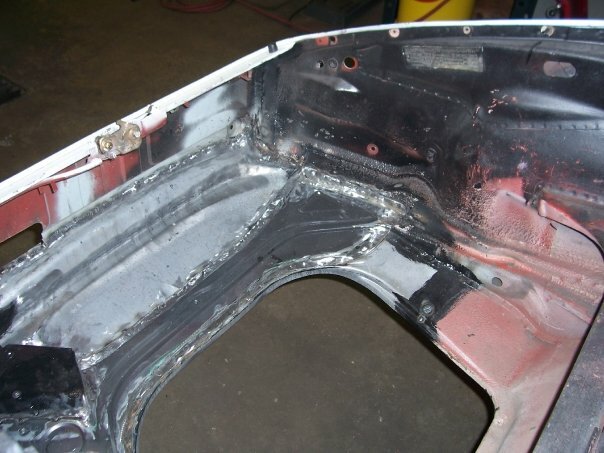 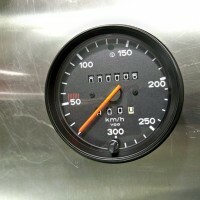 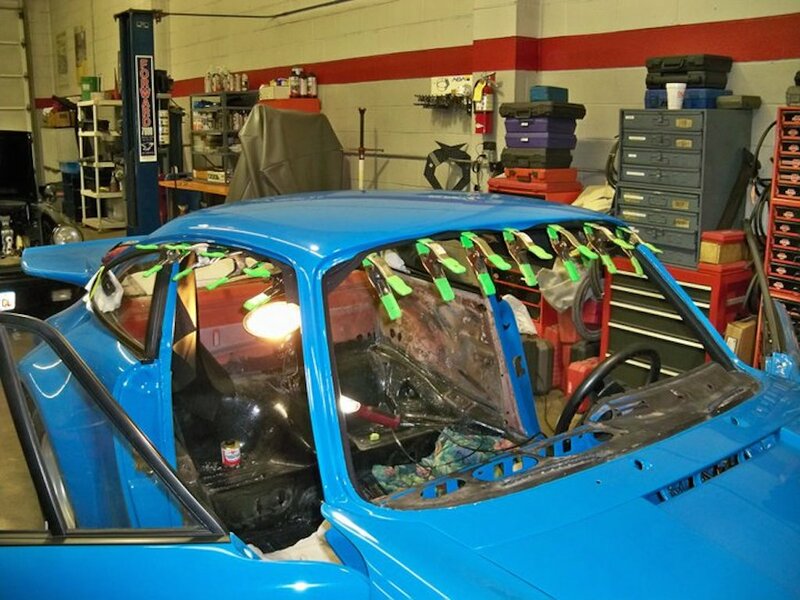 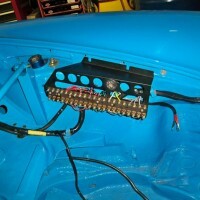 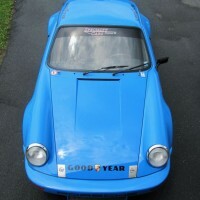 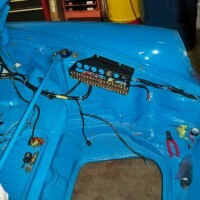 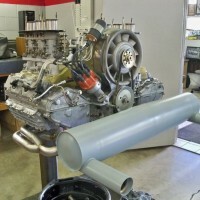 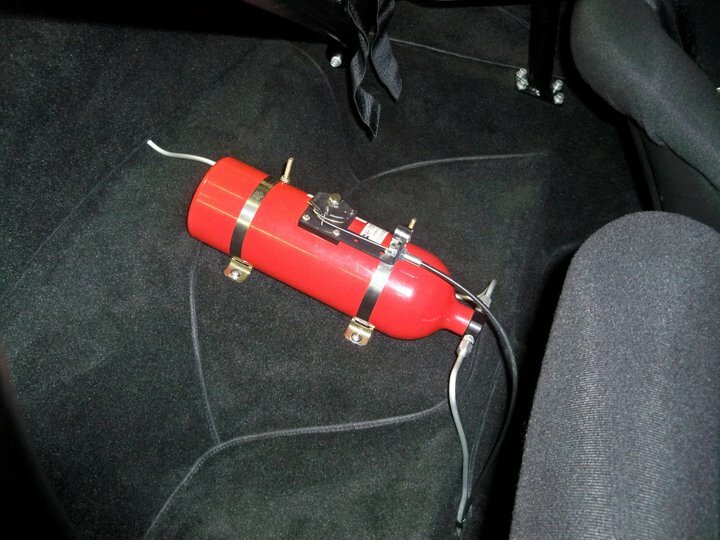 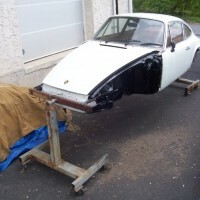 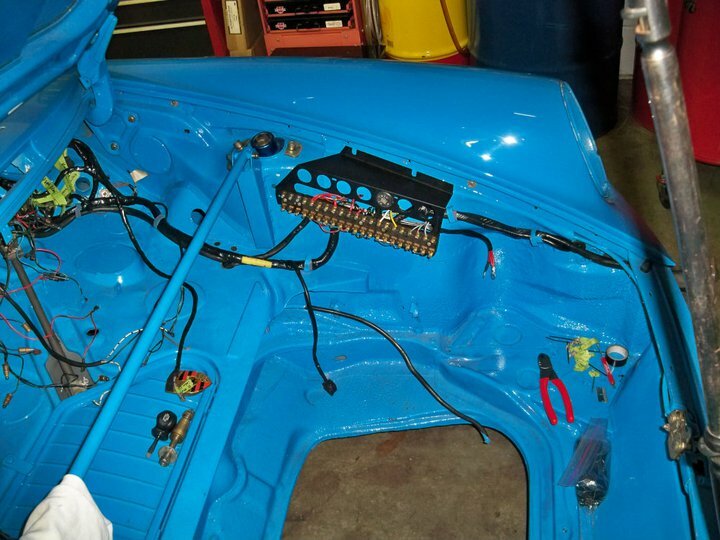 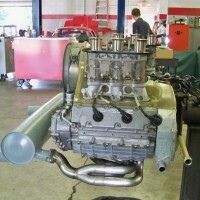 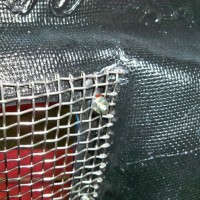 The car spent the next 4.5 years undergoing a rotisserie restoration and was completed July 22, 2011. 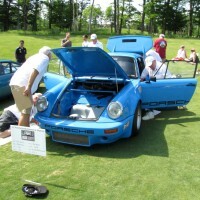 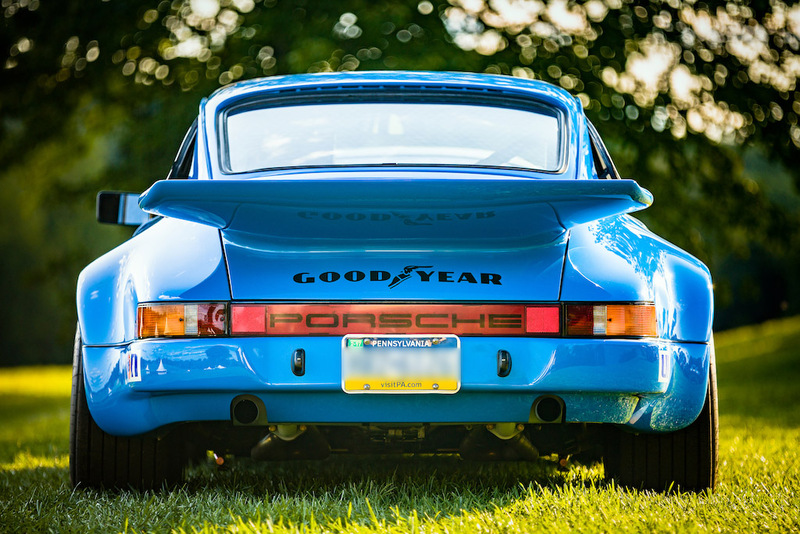 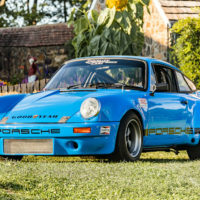 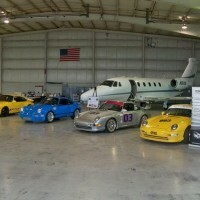 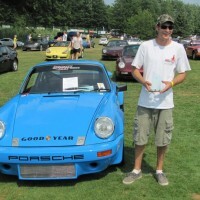 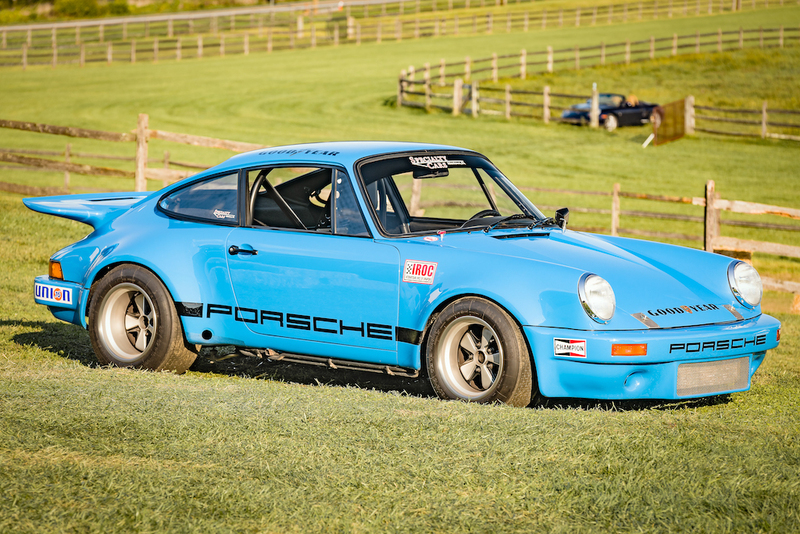 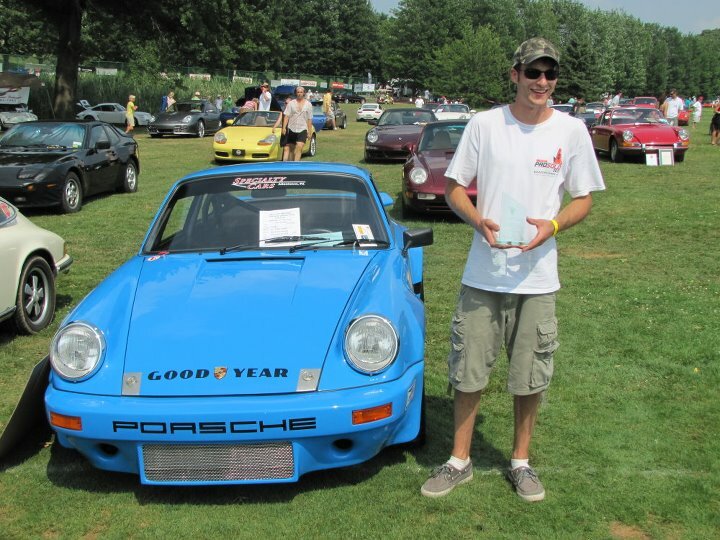 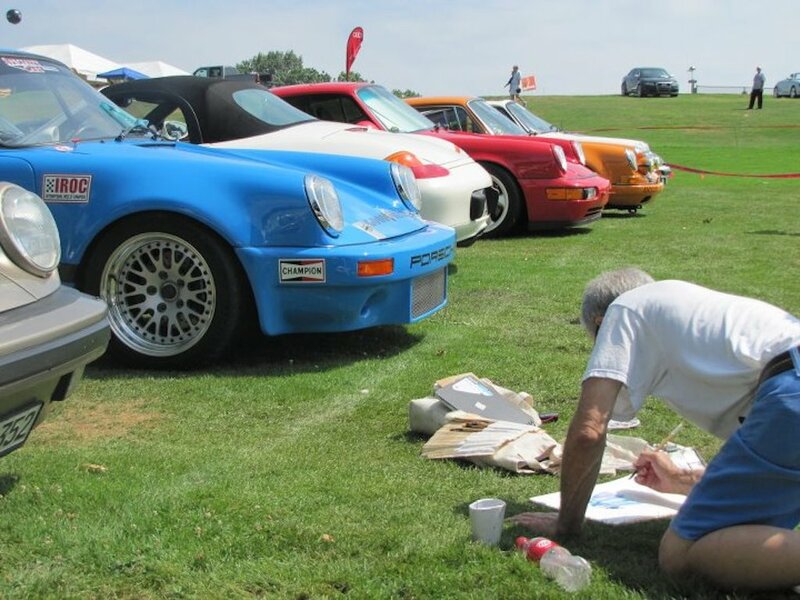 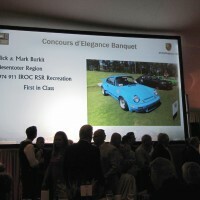 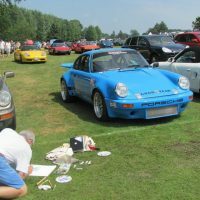 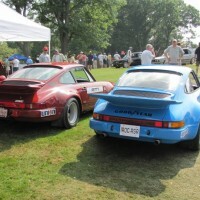 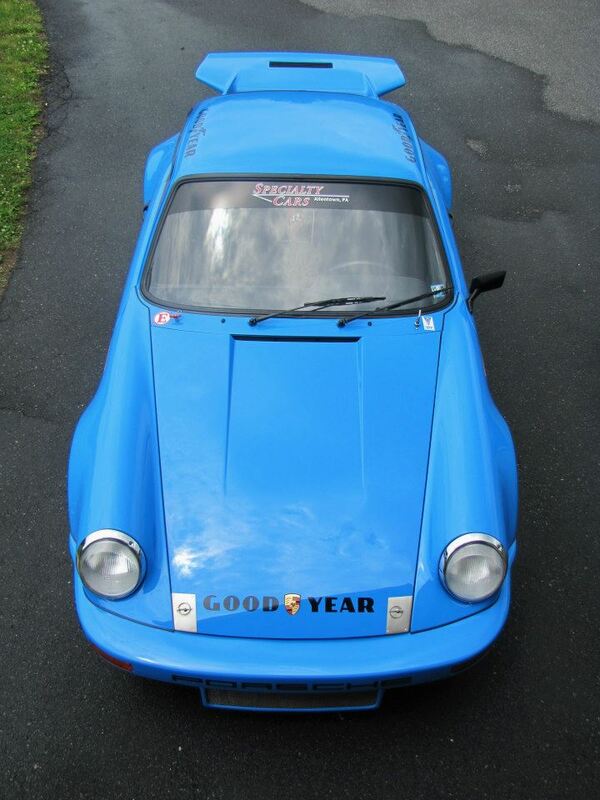 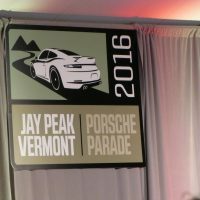 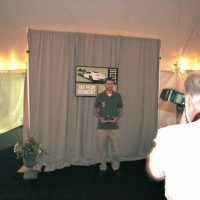 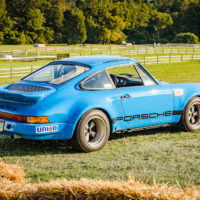 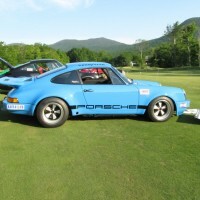 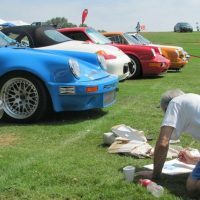 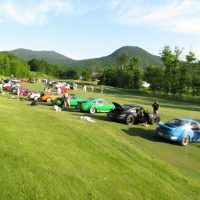 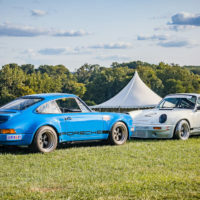 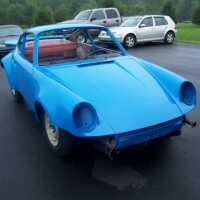 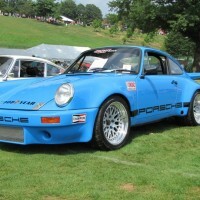 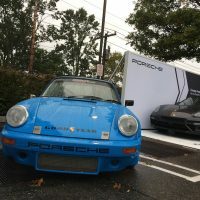 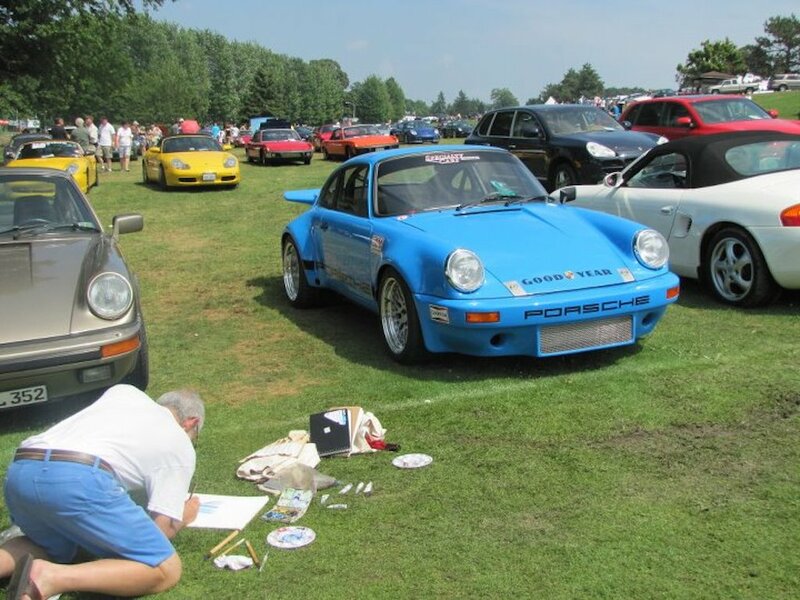 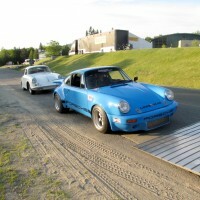 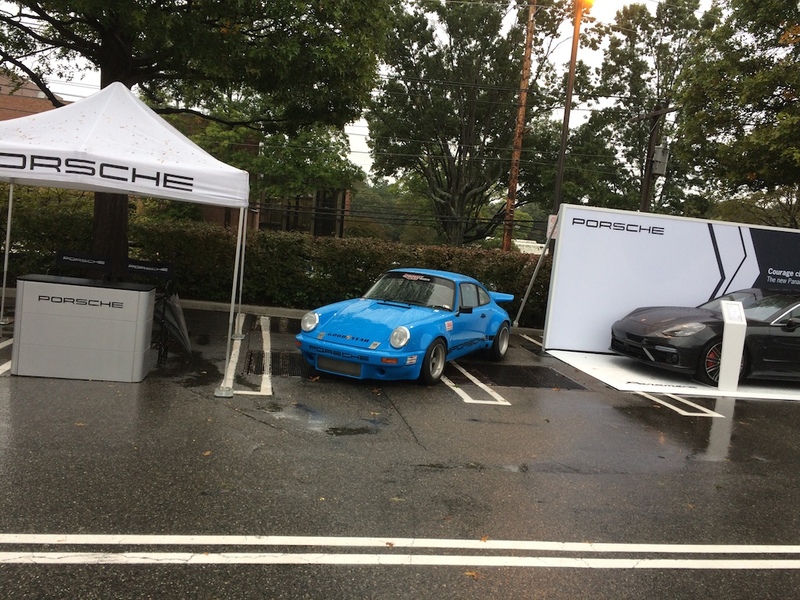 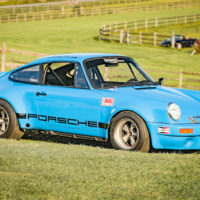 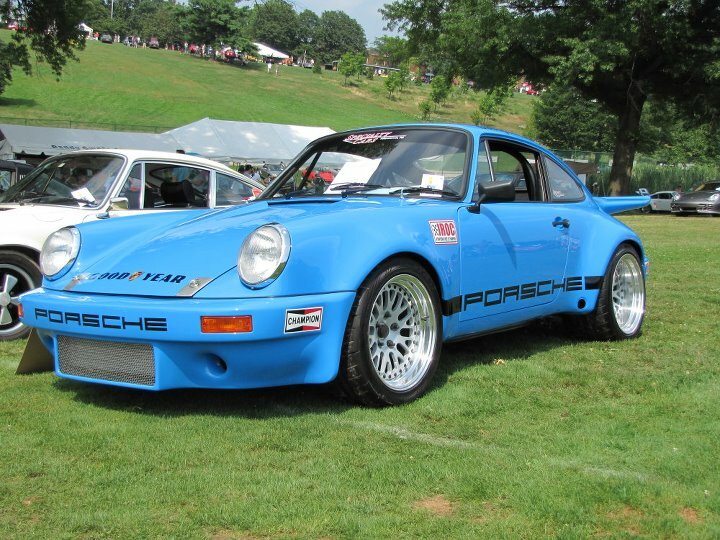 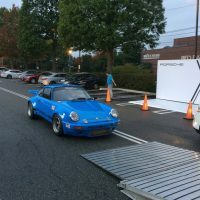 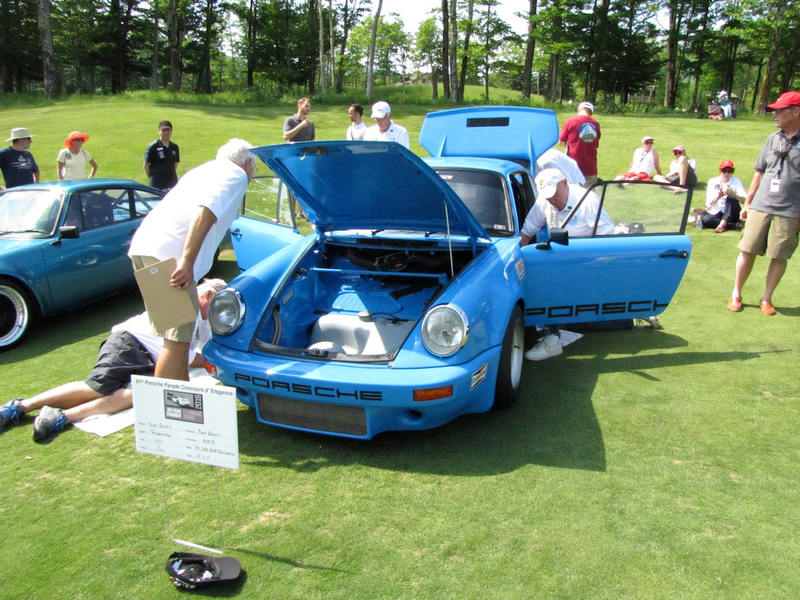 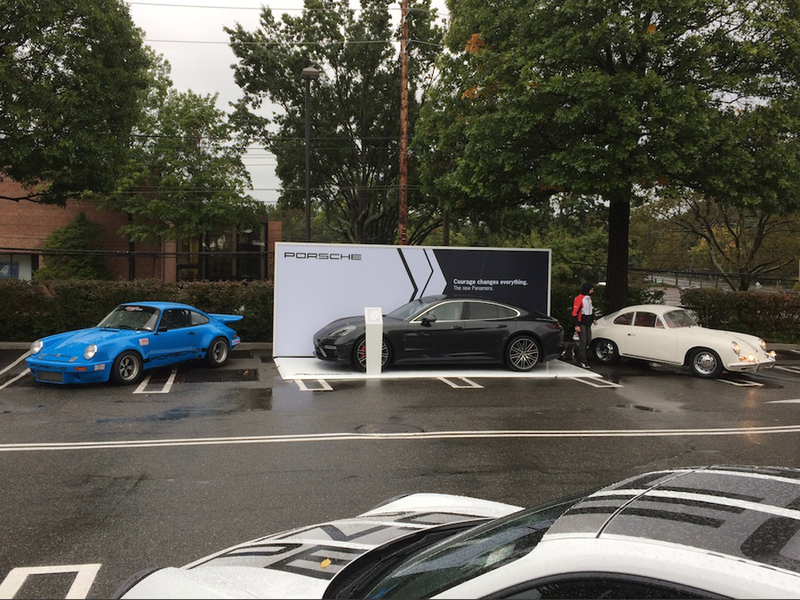 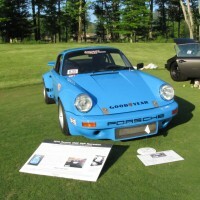 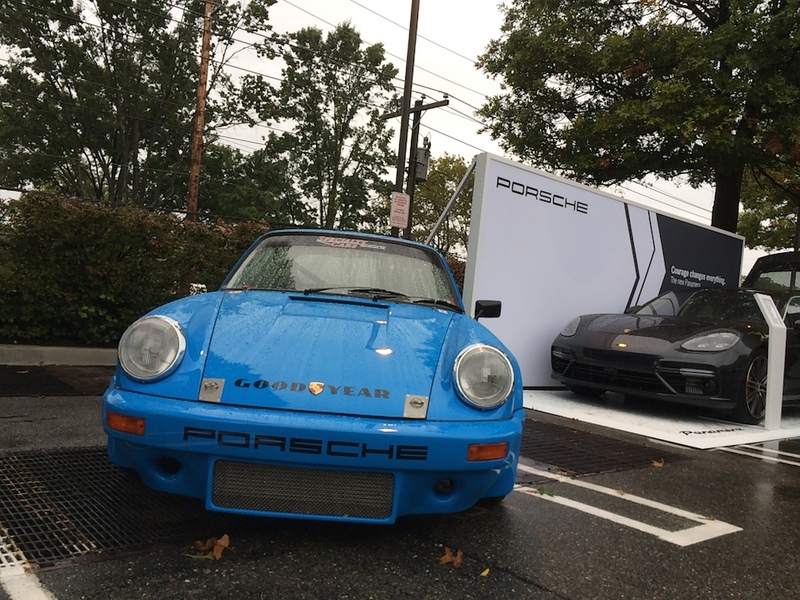 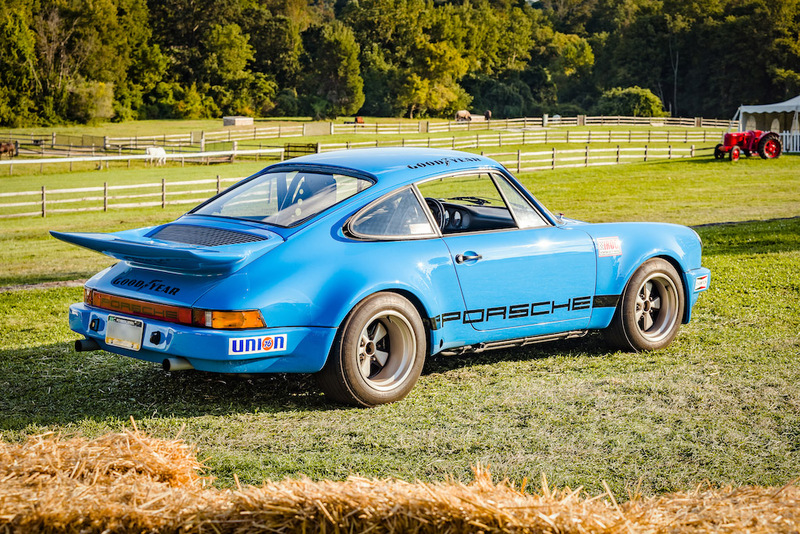 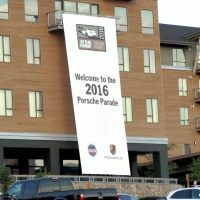 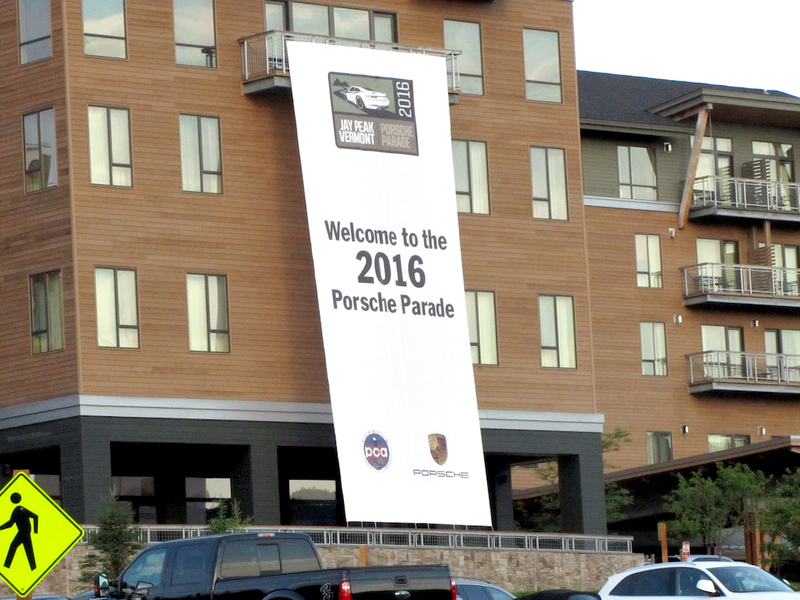 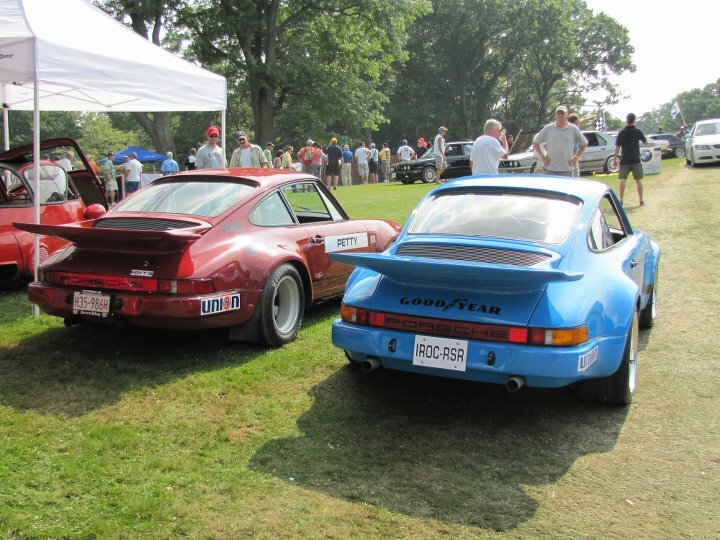 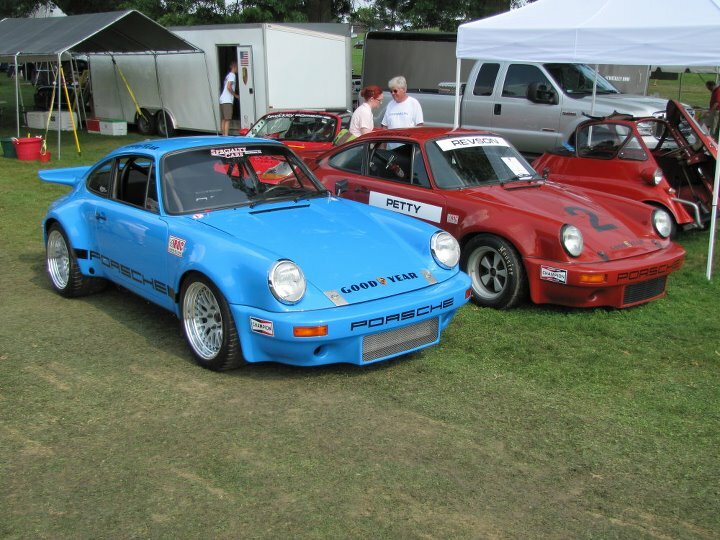 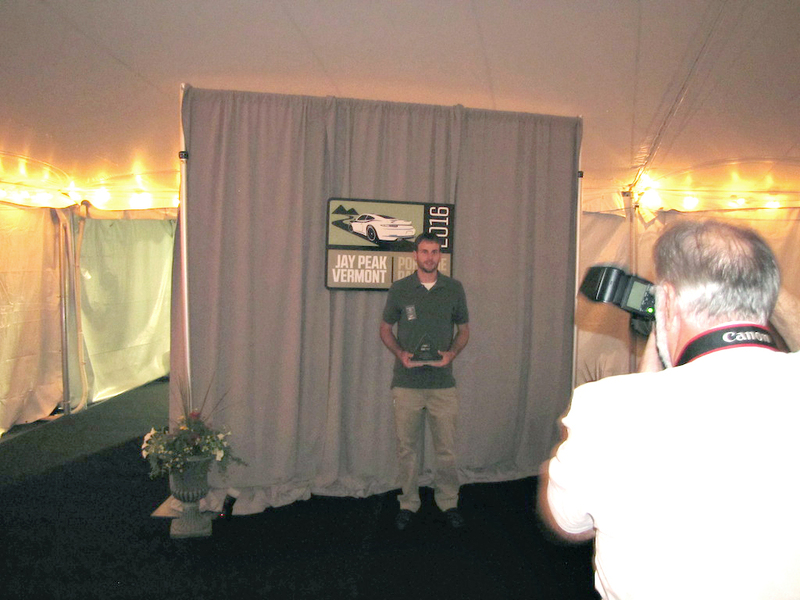 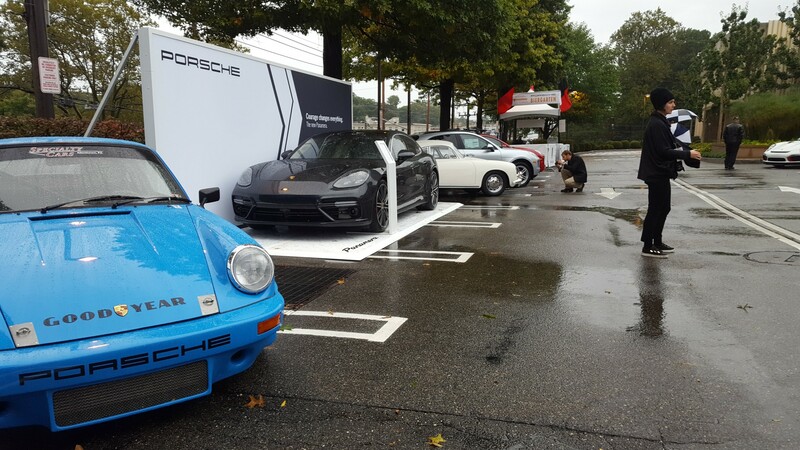 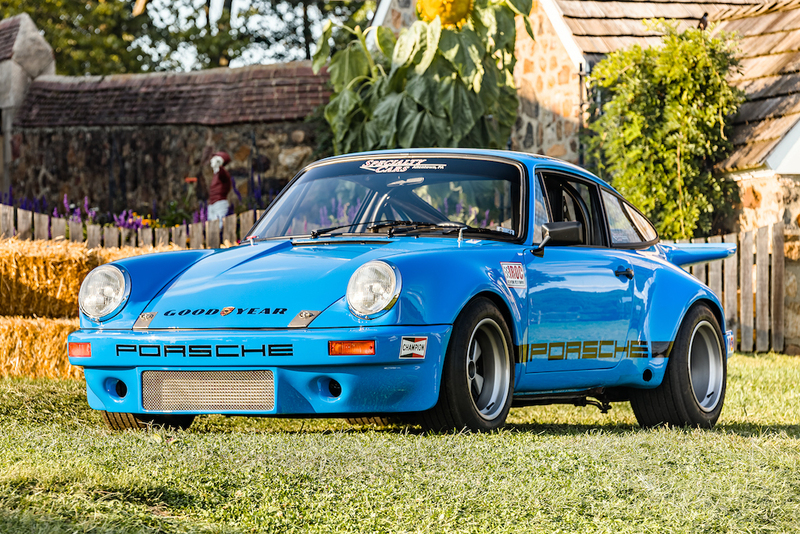 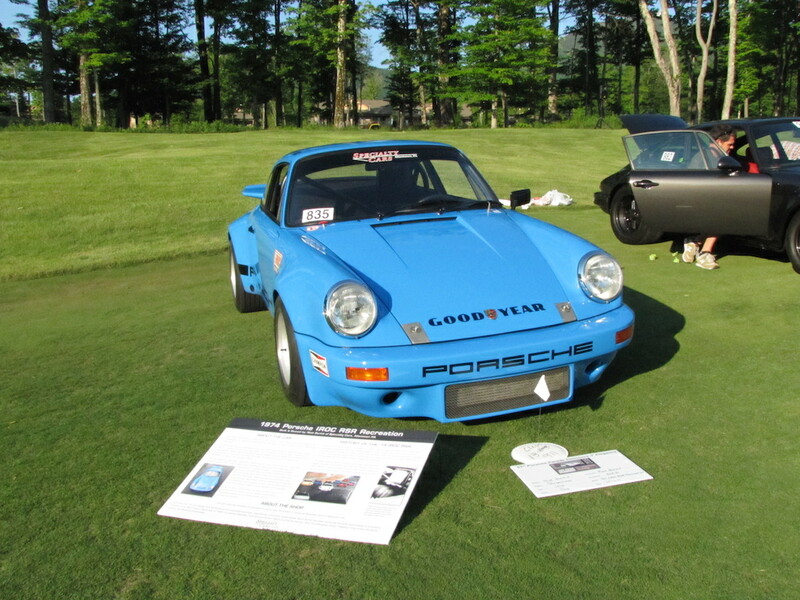 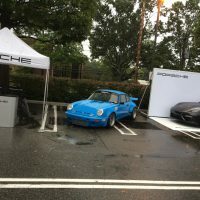 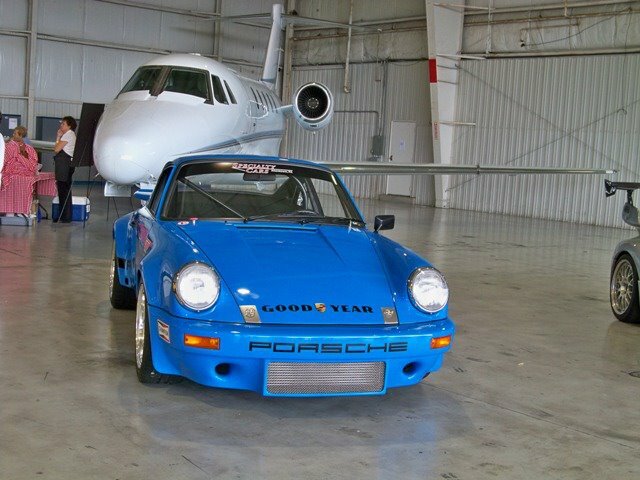 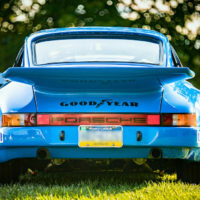 The car has since taken First Place at the 2011 Pittsburgh Vintage Grand Prix, First Place 2014 CPA PCA Swap Meet Concours, First Place 2016 Porsche Parade Jay Peak Vermont, and has been featured in the hanger at Planes and Porsches 2011 and at the Americana Manhasset Concours d’Elegance 2016. 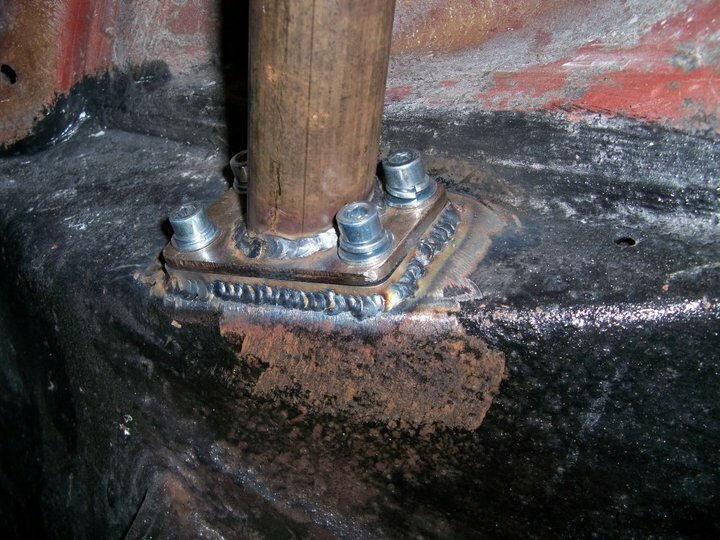 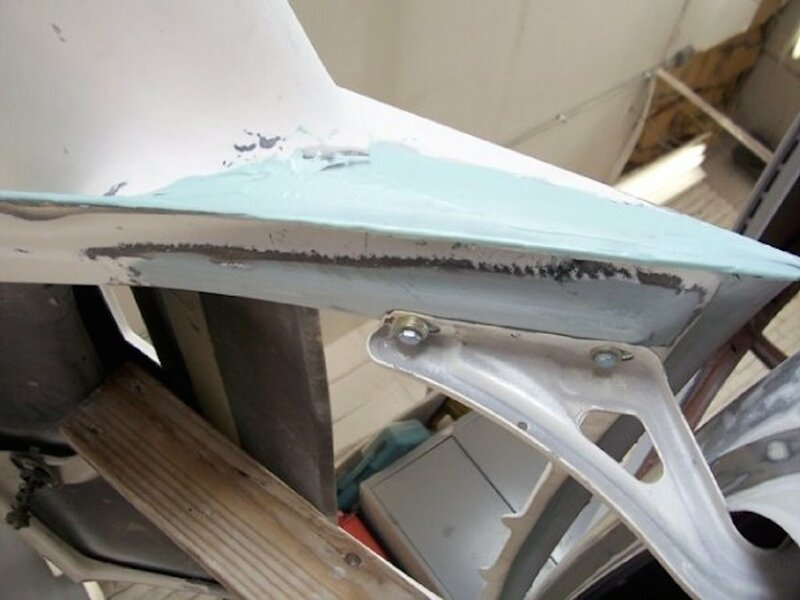 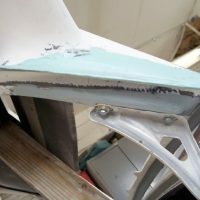 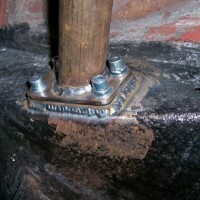 The first area that was addressed with this project was rust; which once properly repaired, gave us a solid platform to work from for the restoration. 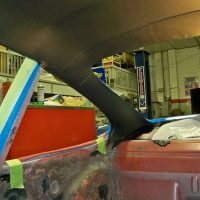 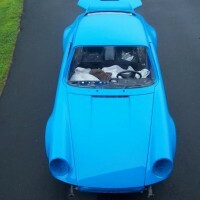 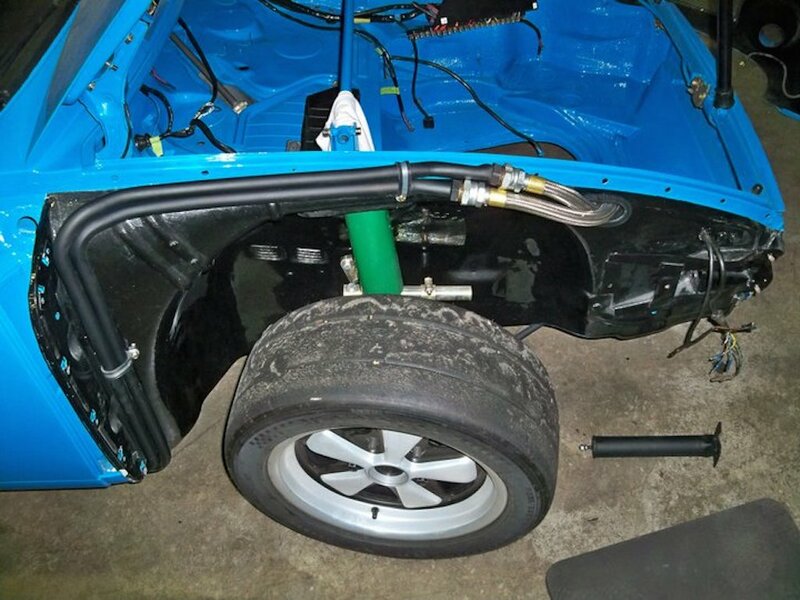 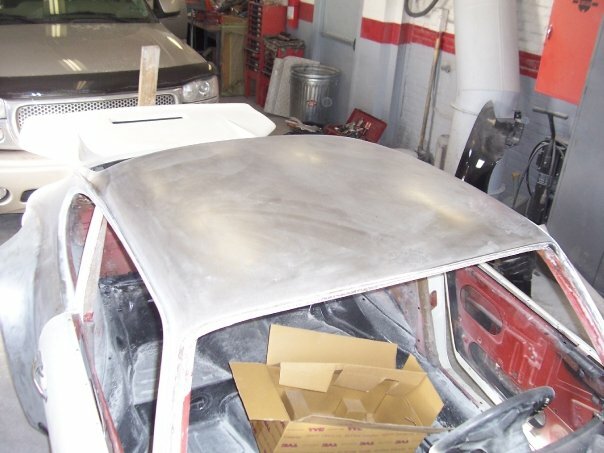 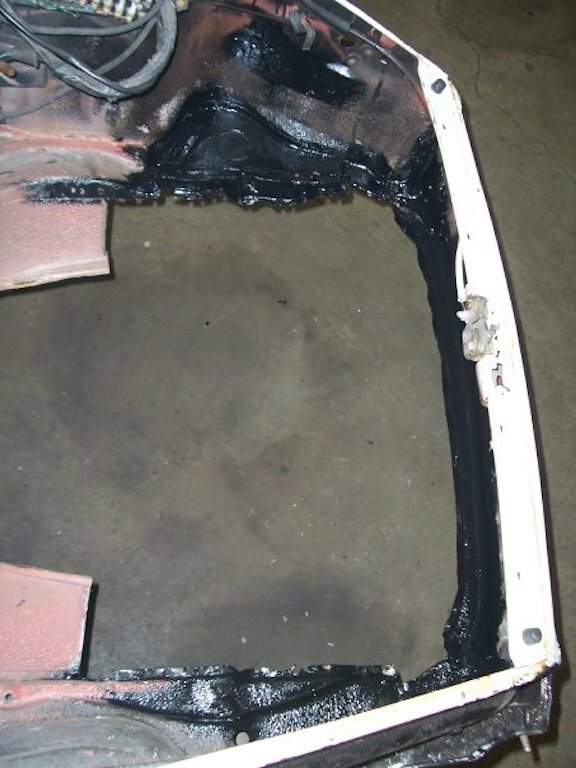 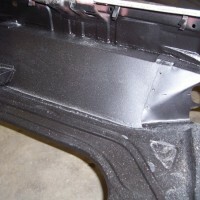 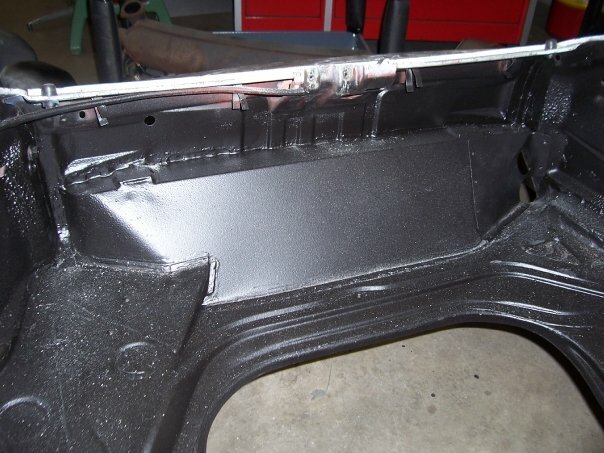 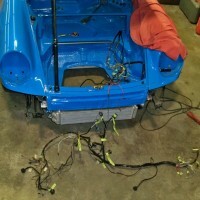 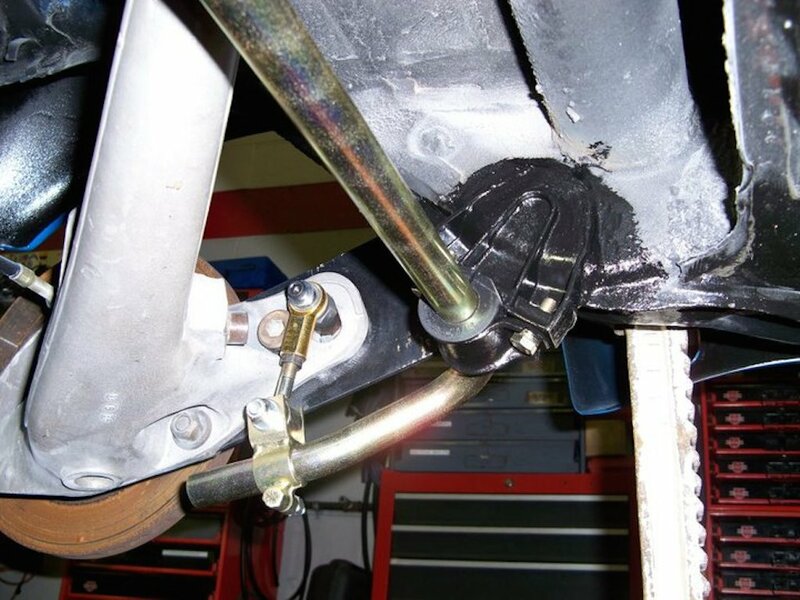 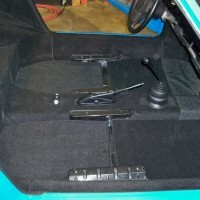 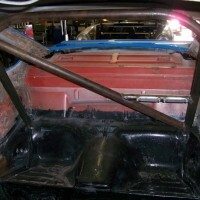 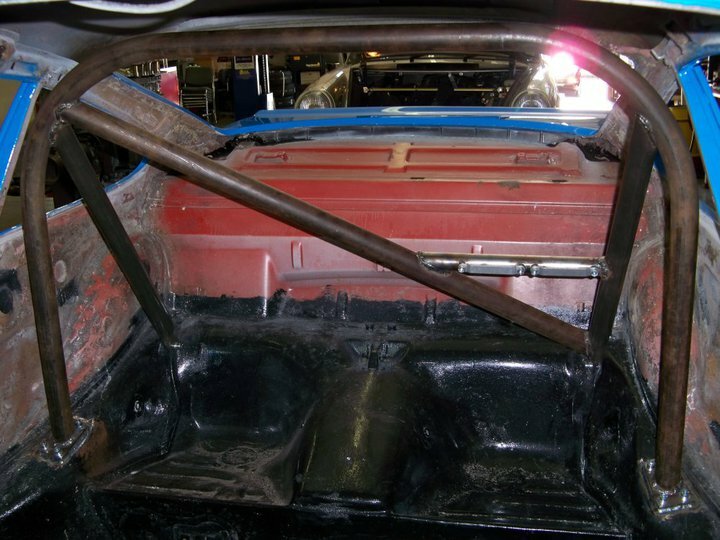 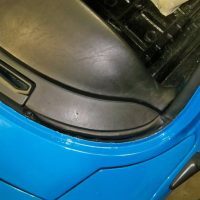 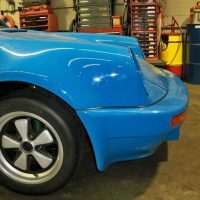 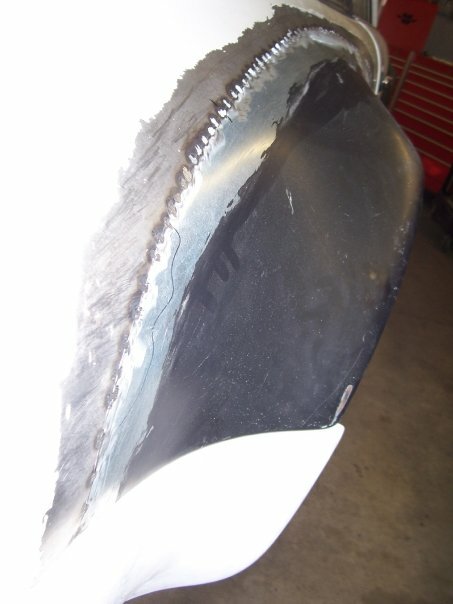 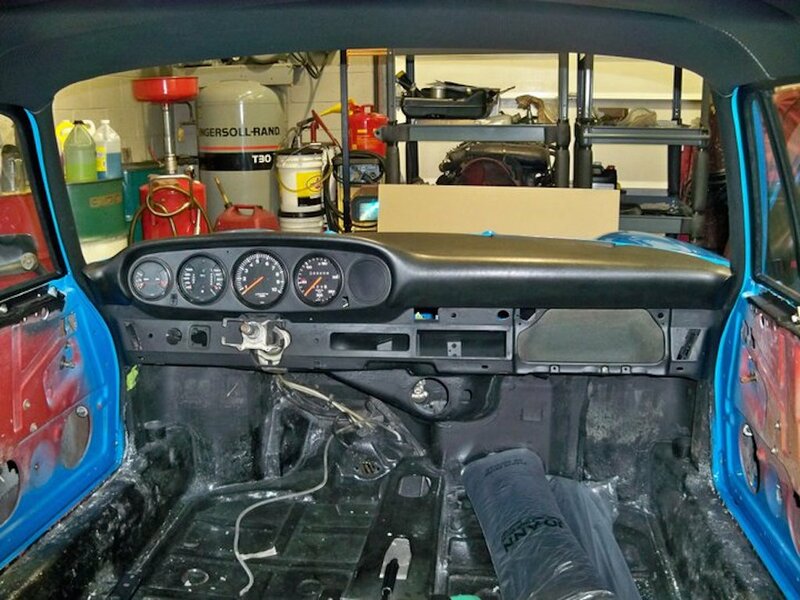 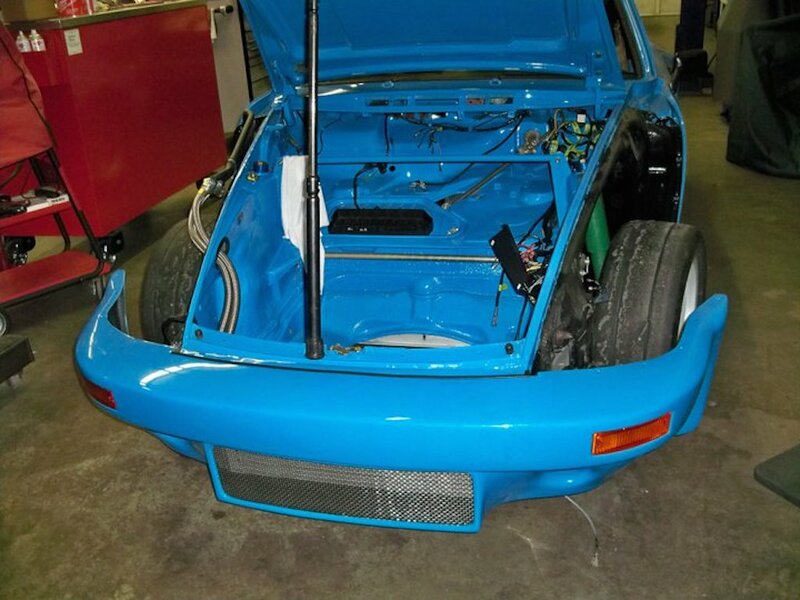 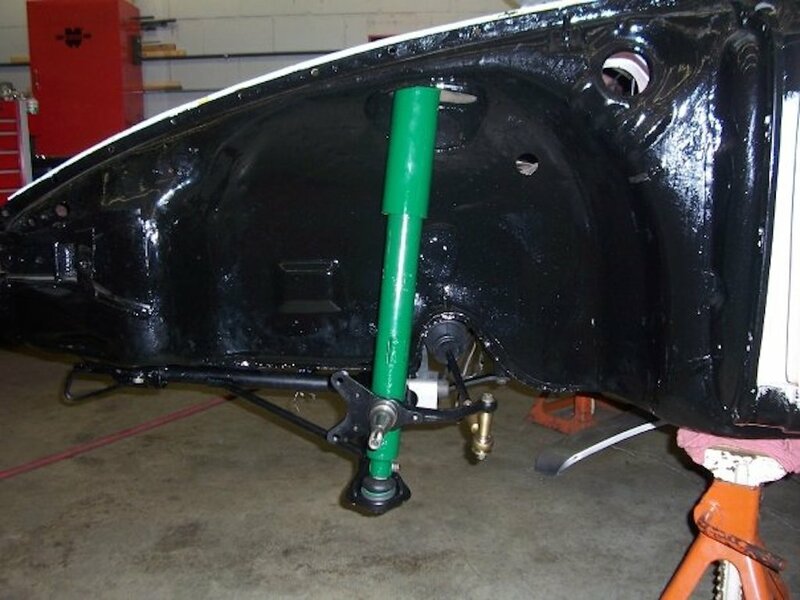 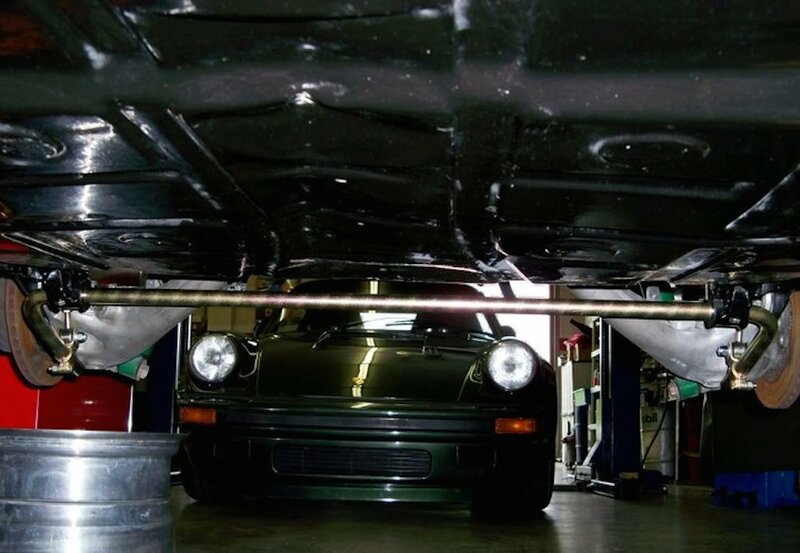 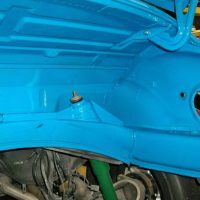 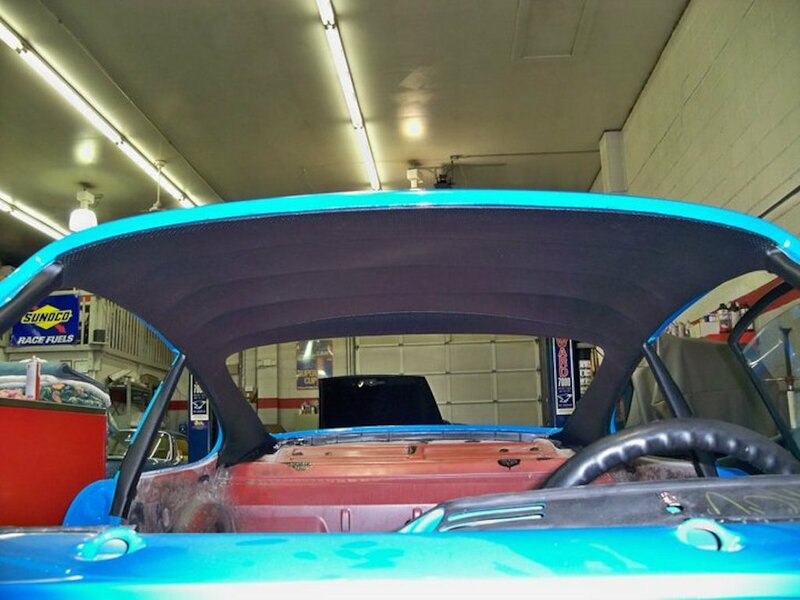 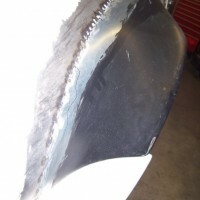 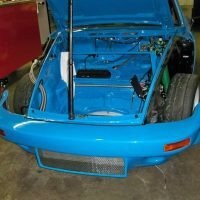 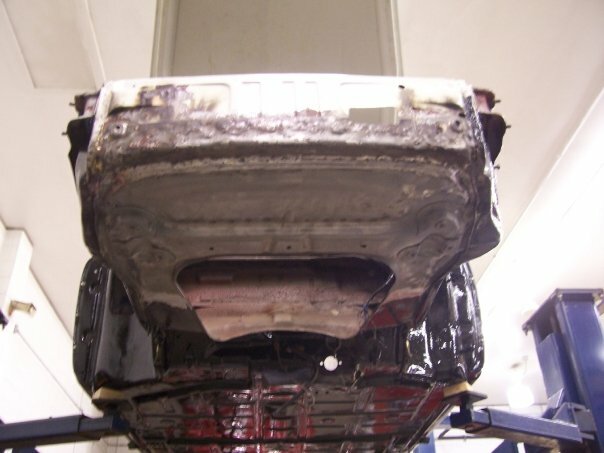 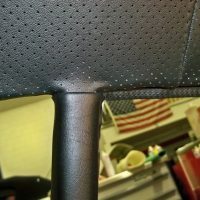 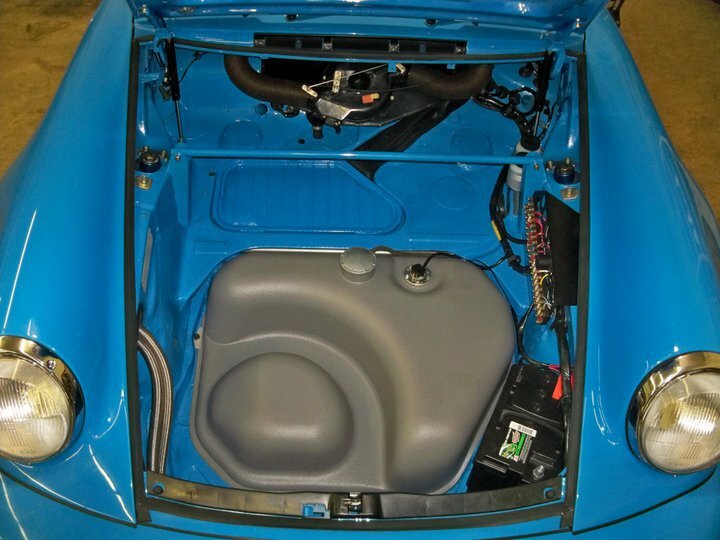 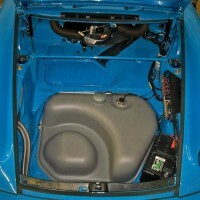 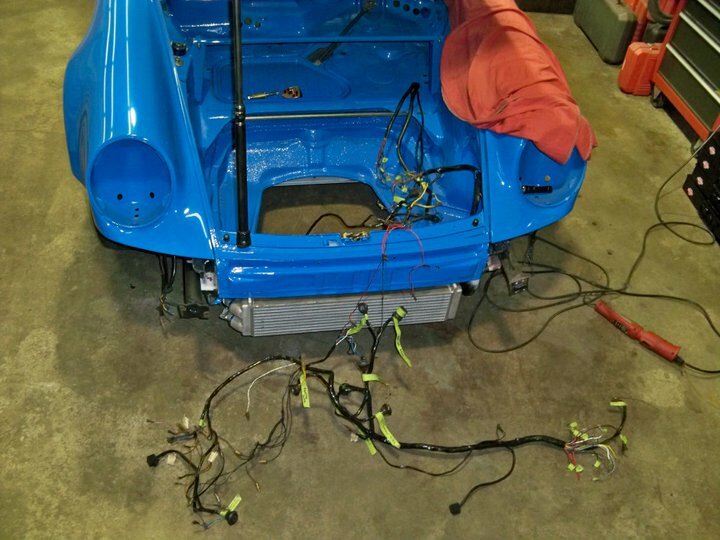 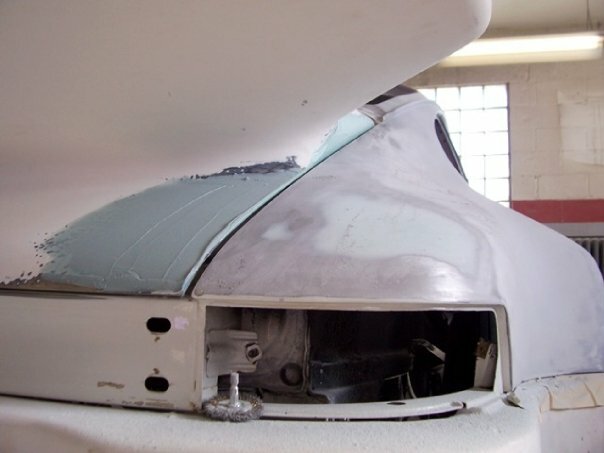 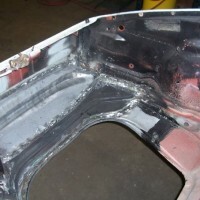 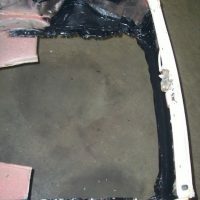 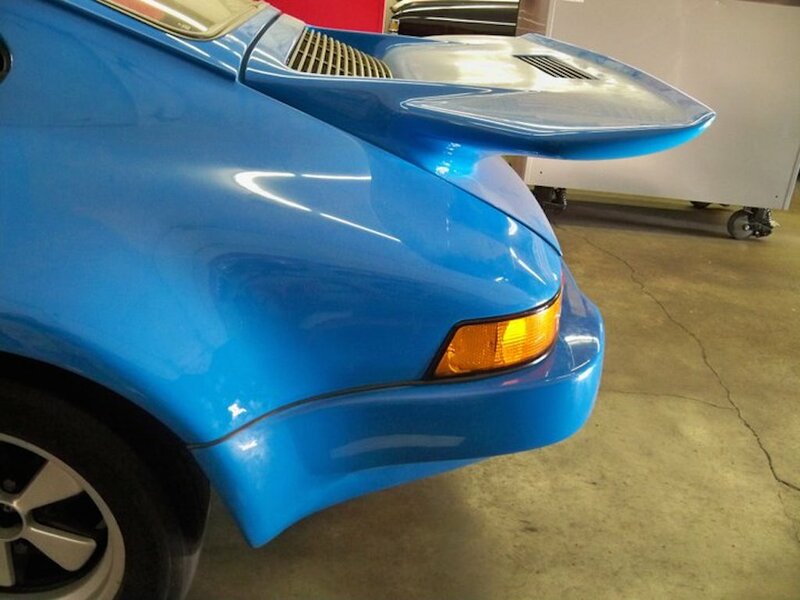 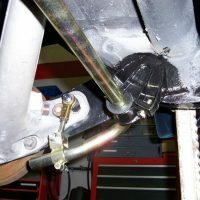 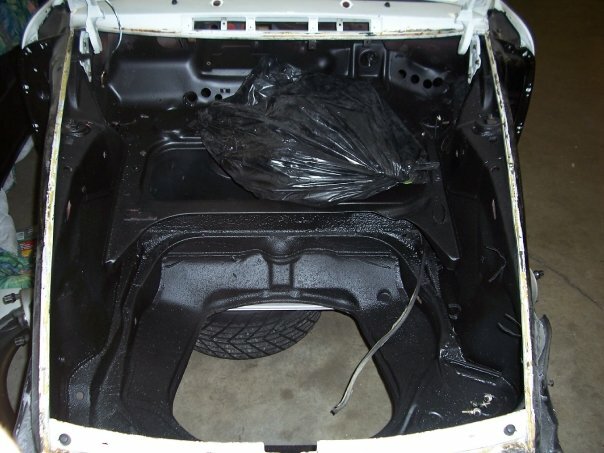 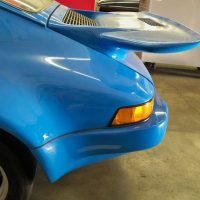 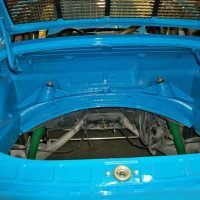 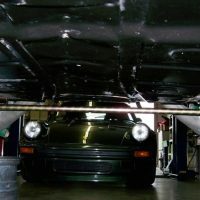 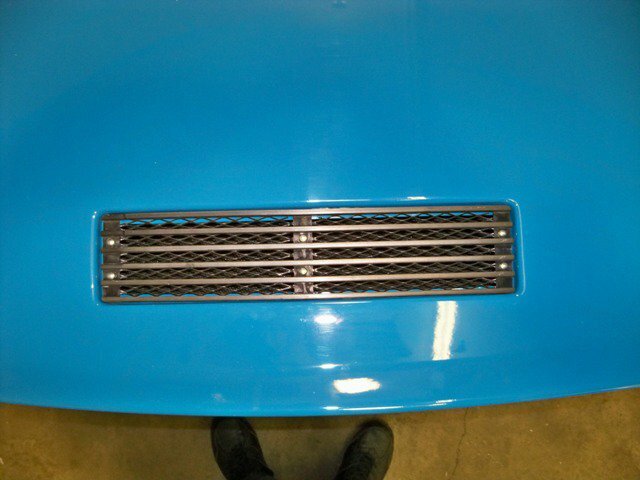 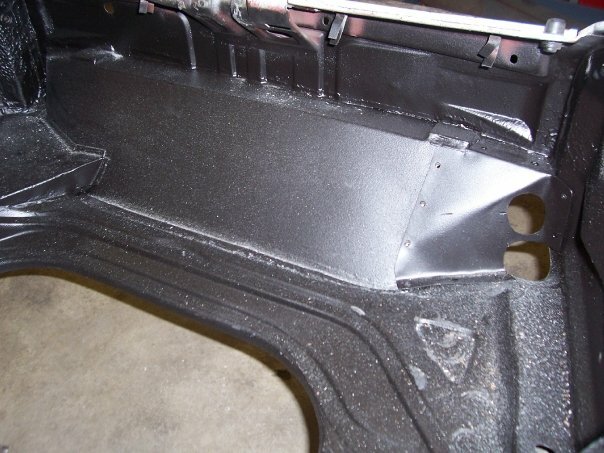 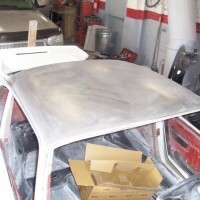 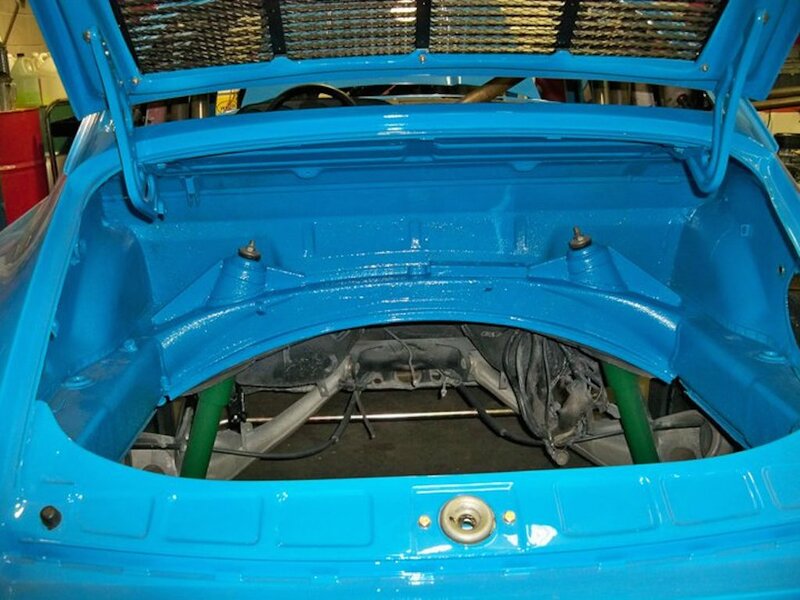 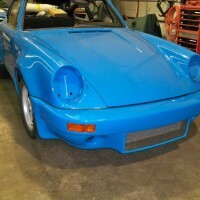 The underside of the car was epoxy painted and factory 930 turbo flairs were properly welded in place, along with front and rear strut braces. 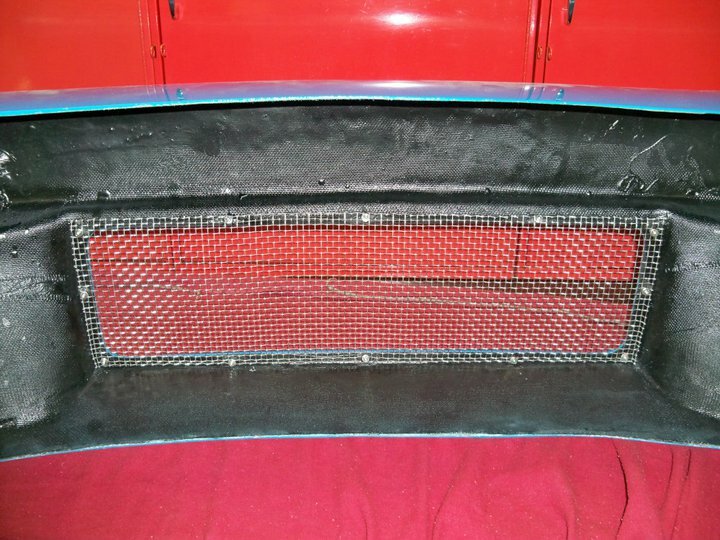 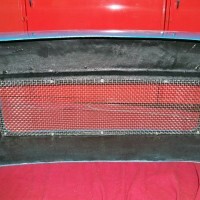 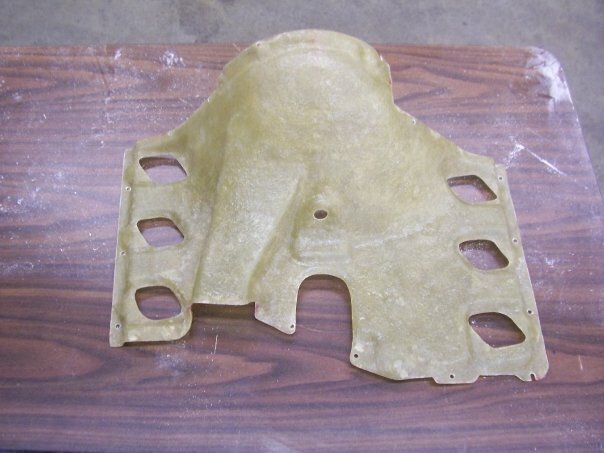 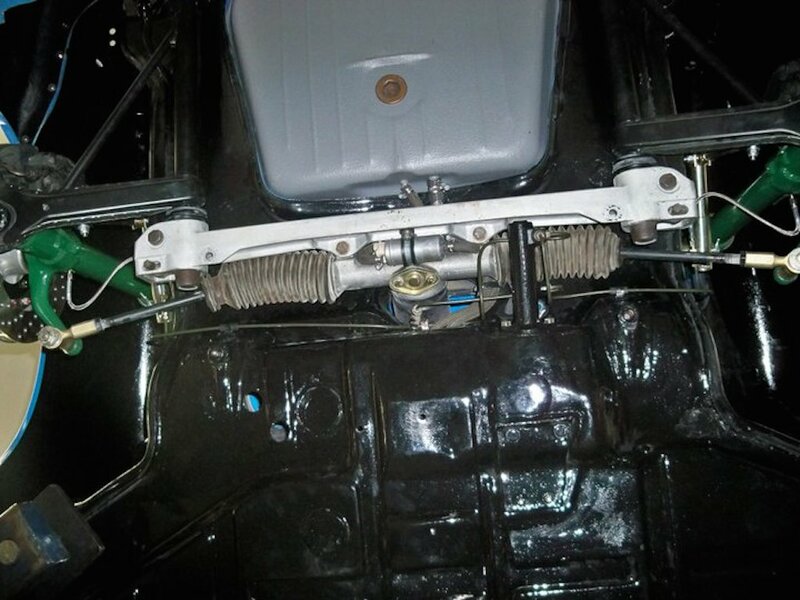 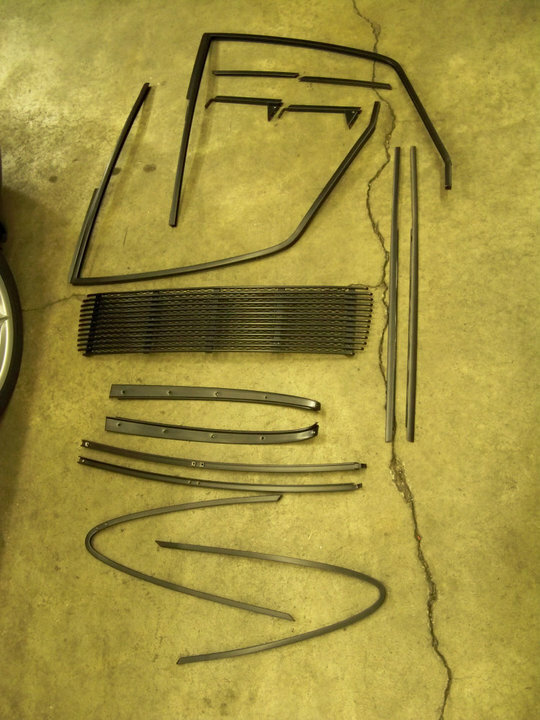 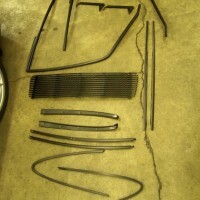 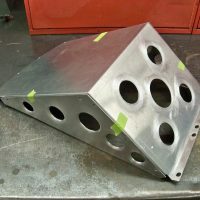 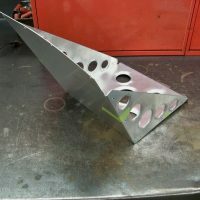 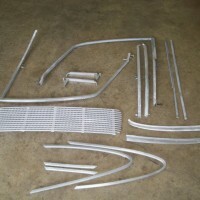 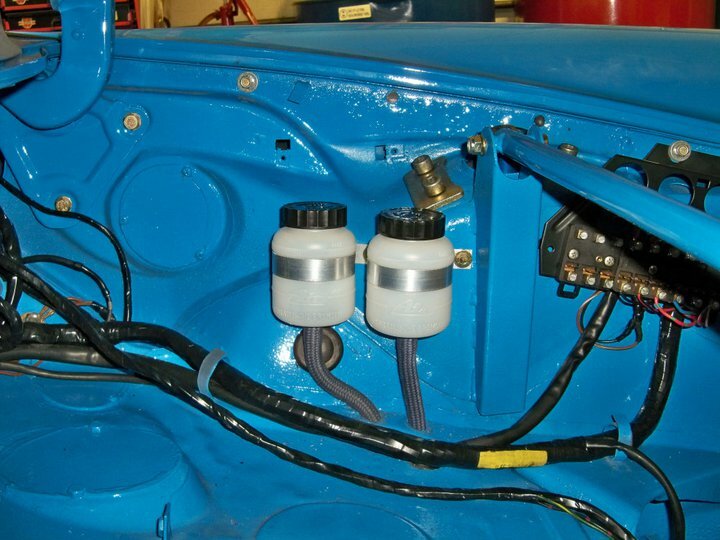 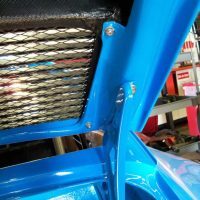 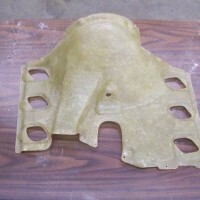 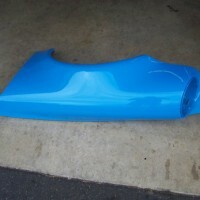 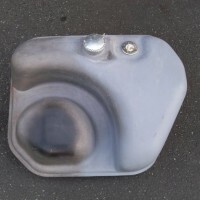 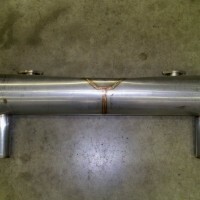 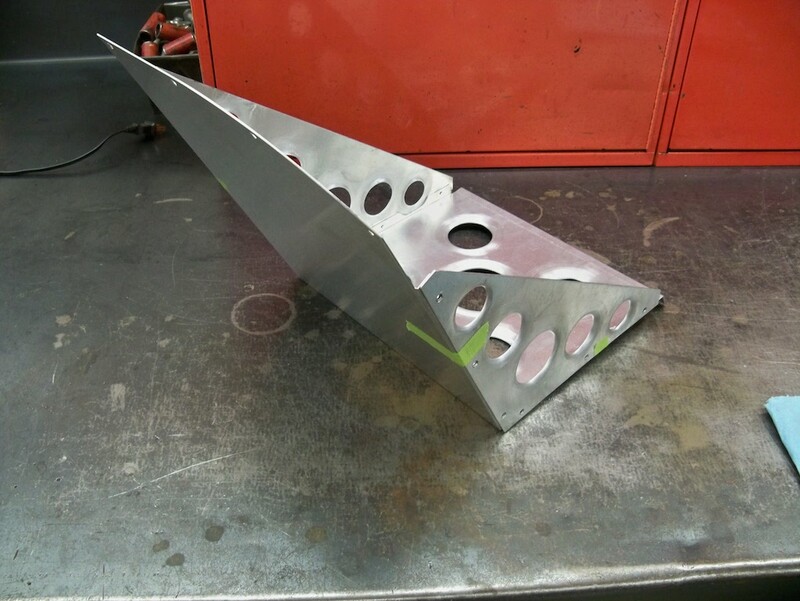 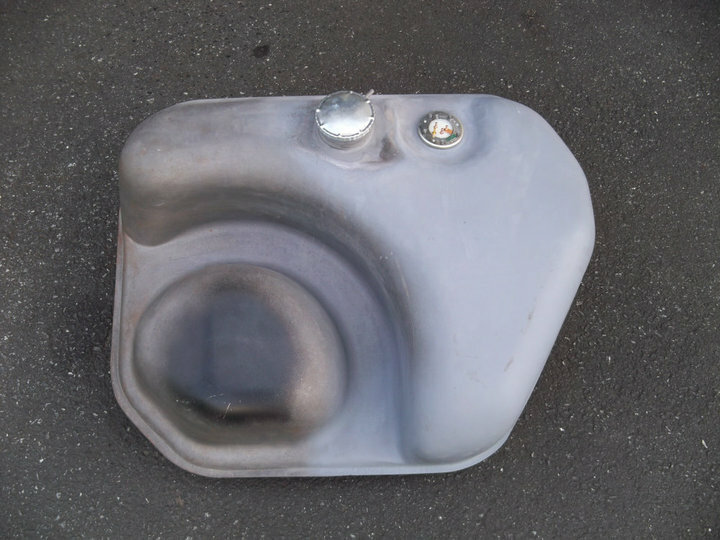 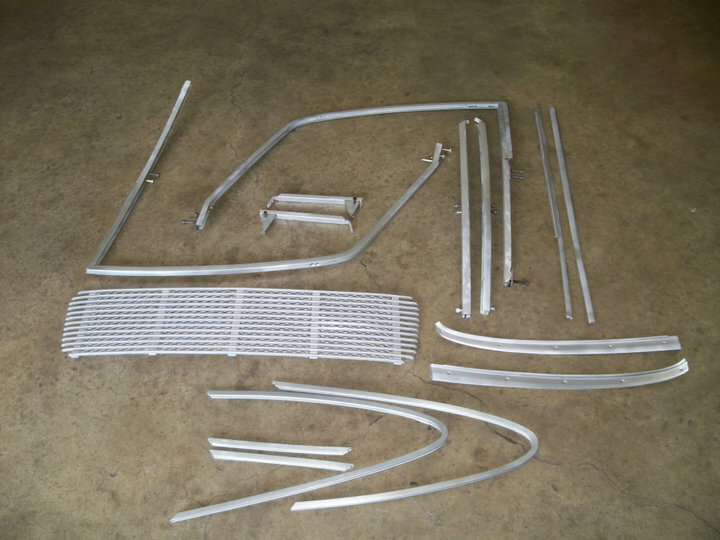 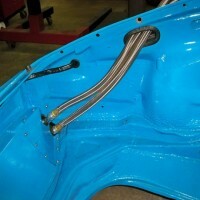 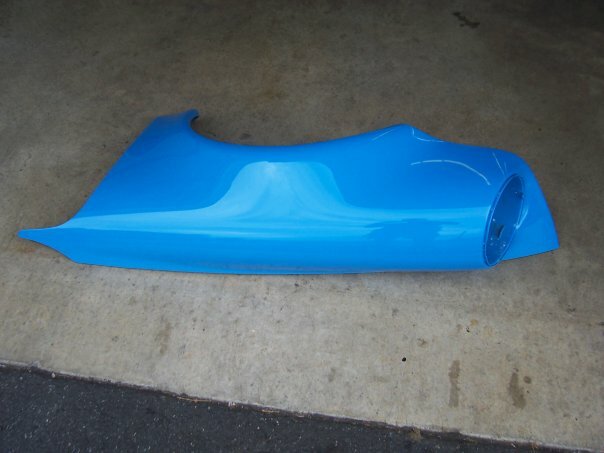 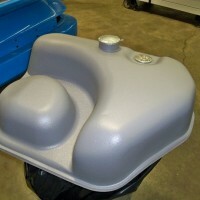 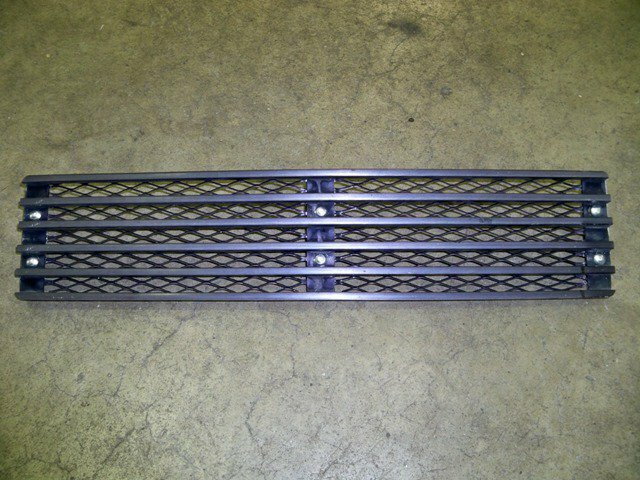 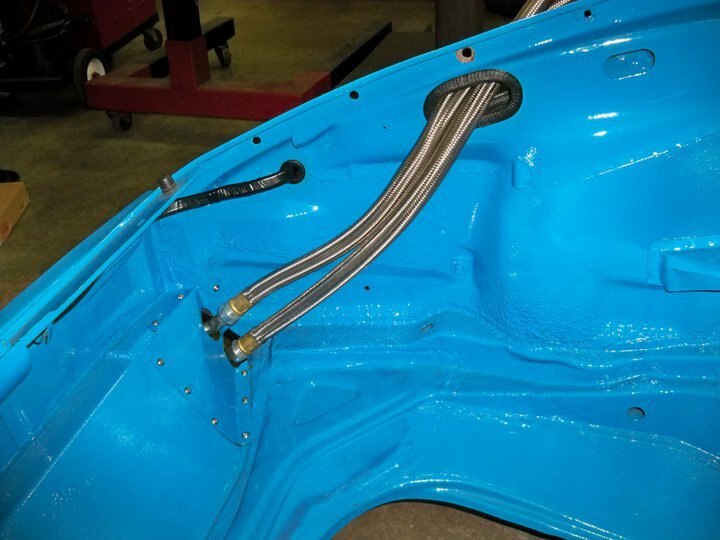 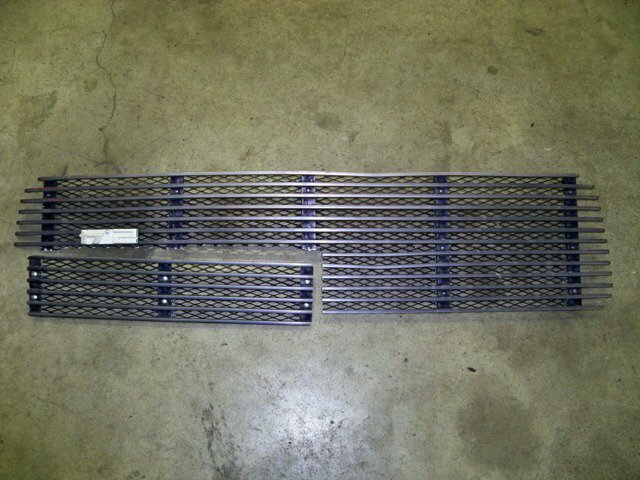 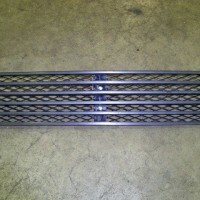 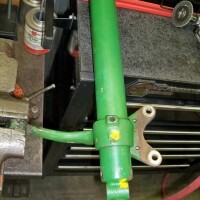 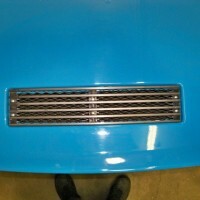 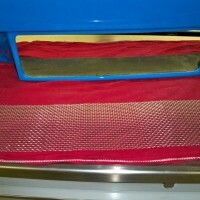 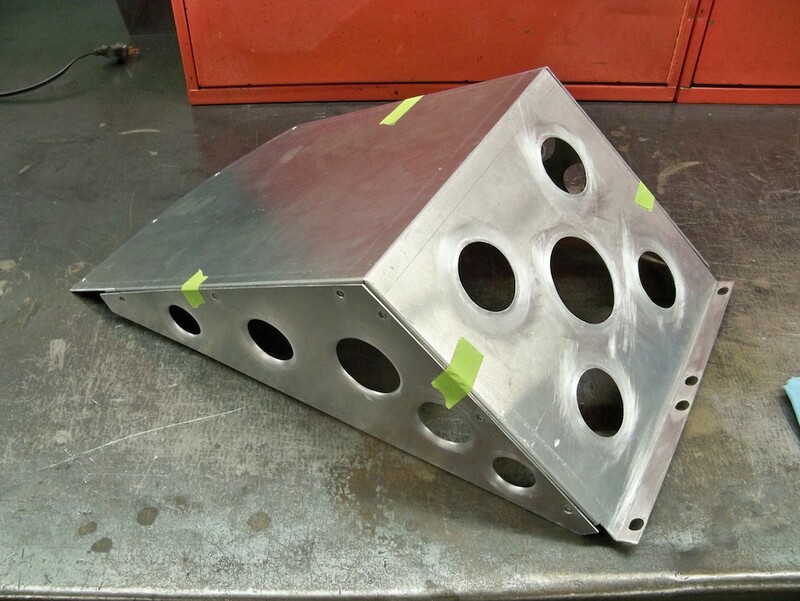 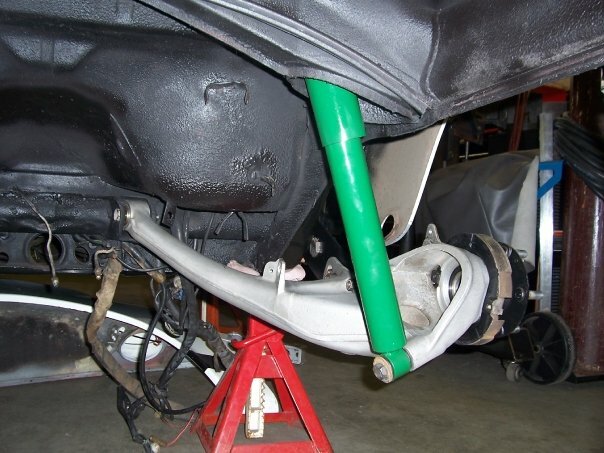 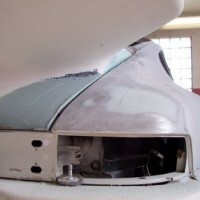 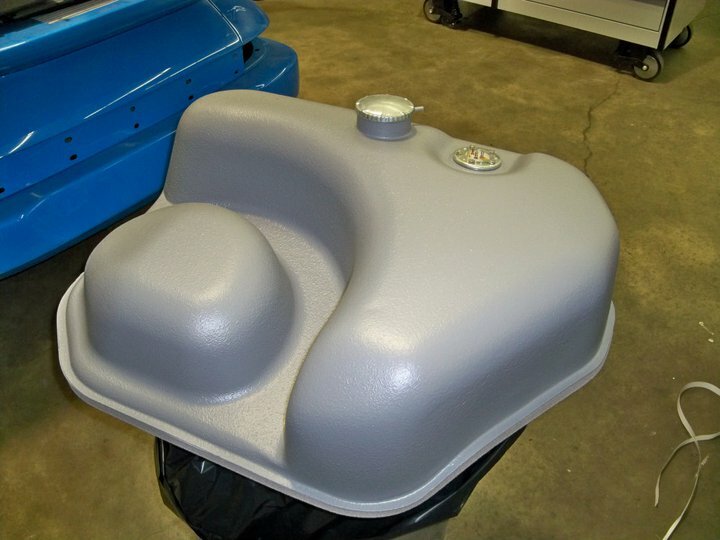 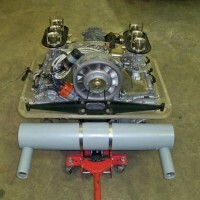 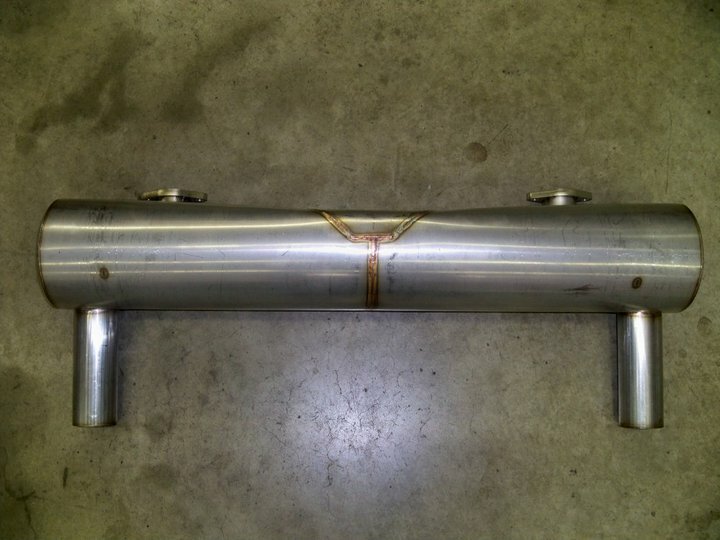 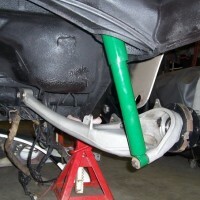 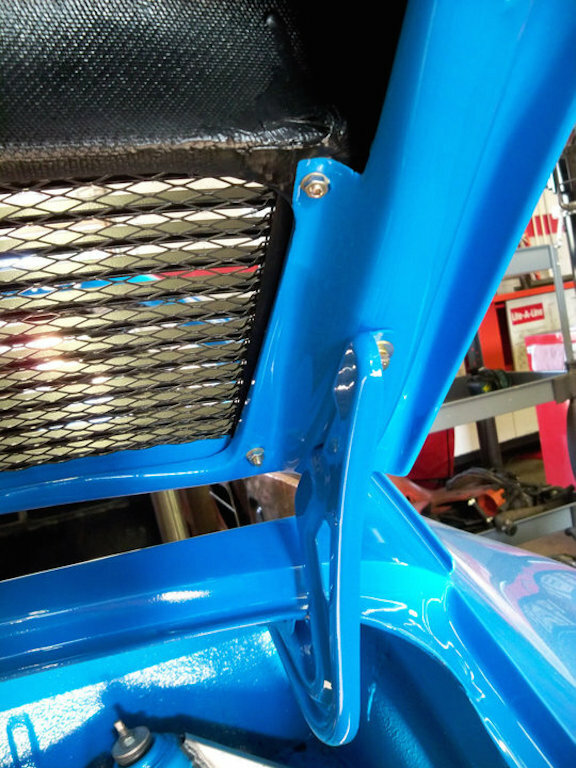 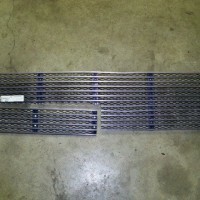 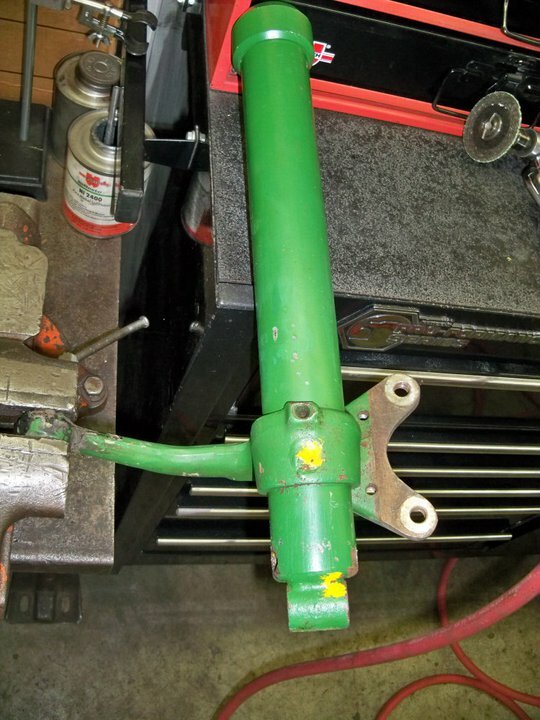 An oil cooler ducked was fabricated for the front mount oil cooler and fiberglass bumpers and tail were fitted. 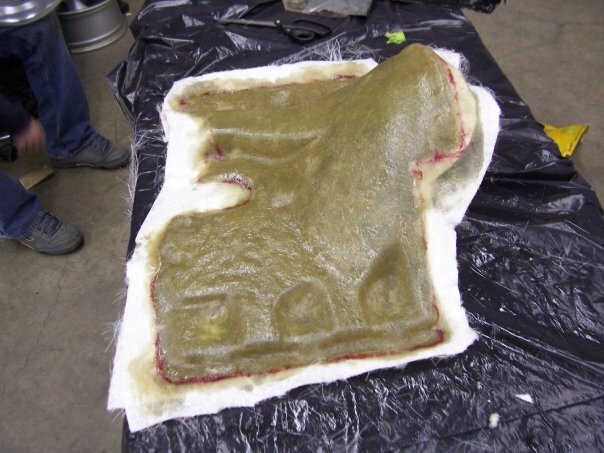 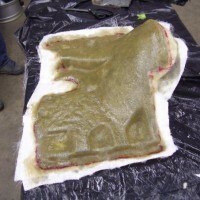 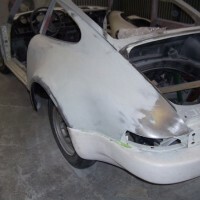 The next stage of restoration was paint. 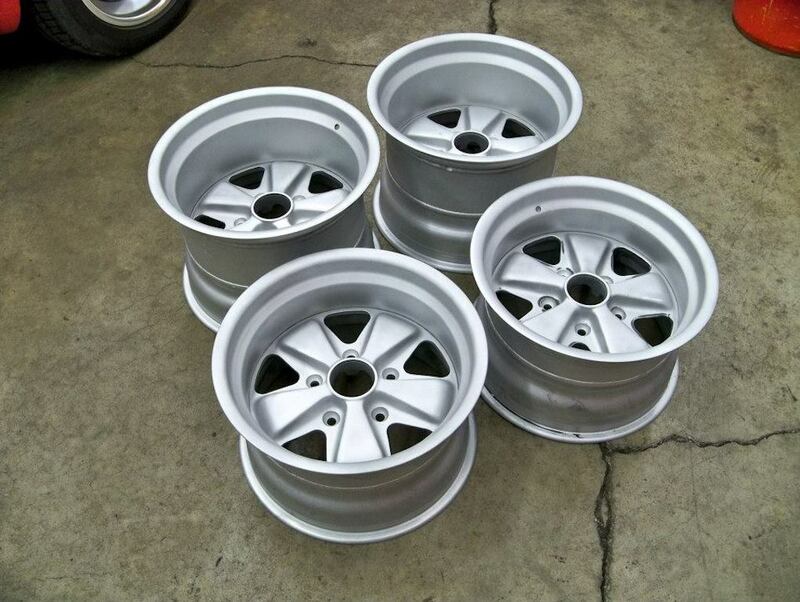 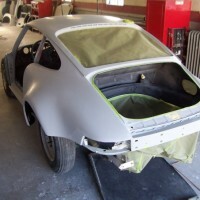 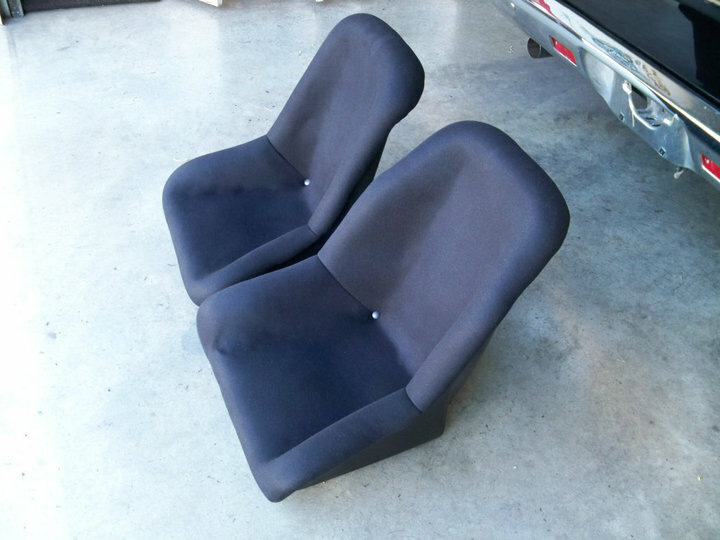 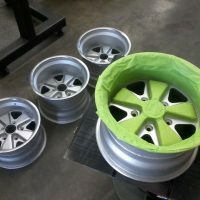 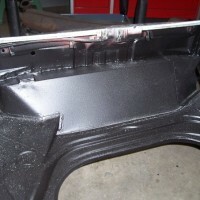 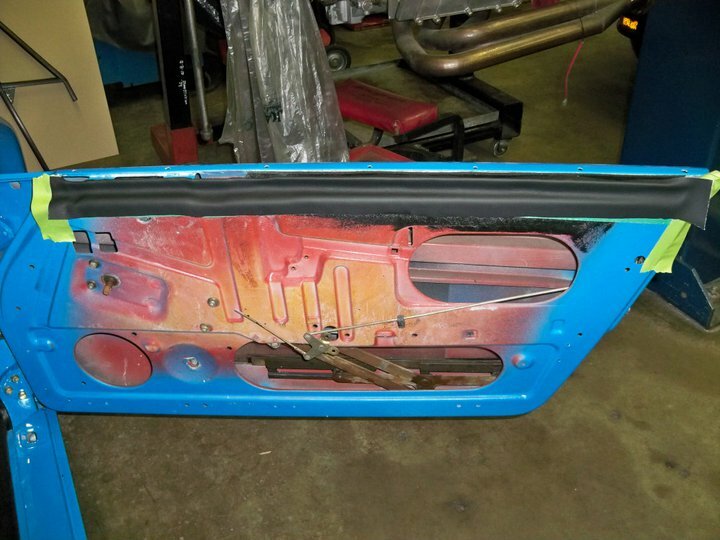 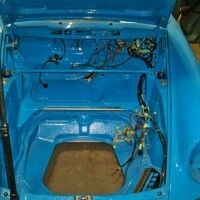 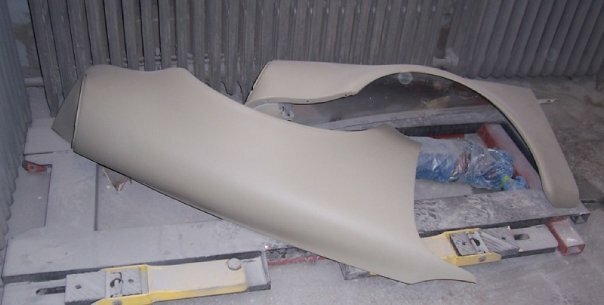 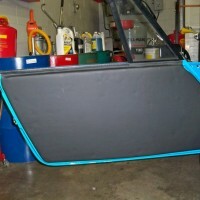 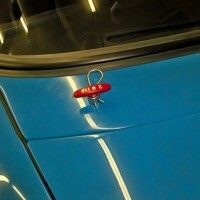 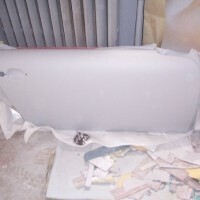 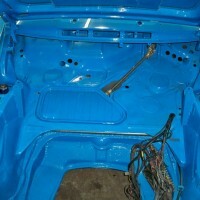 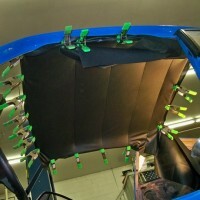 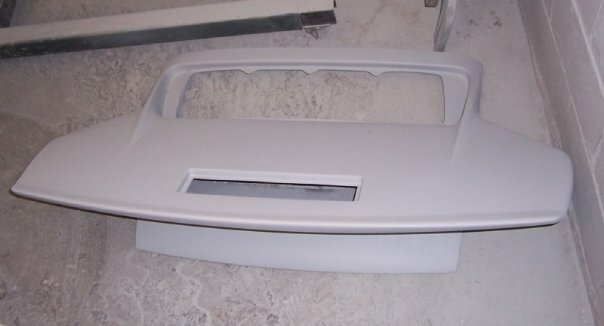 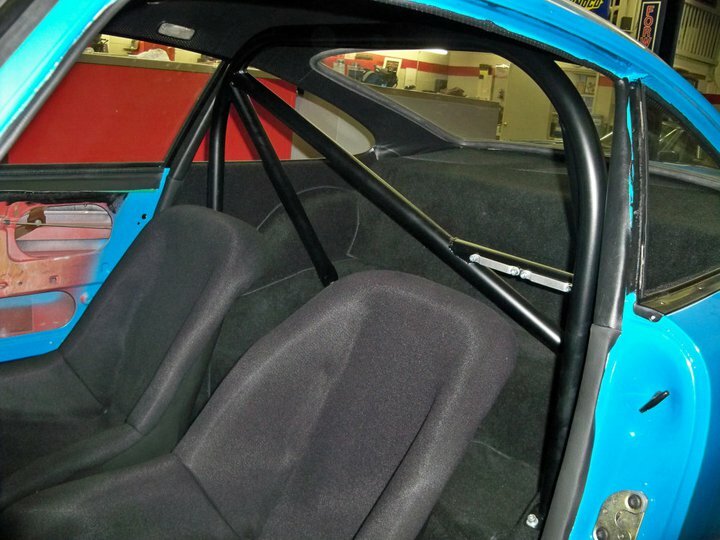 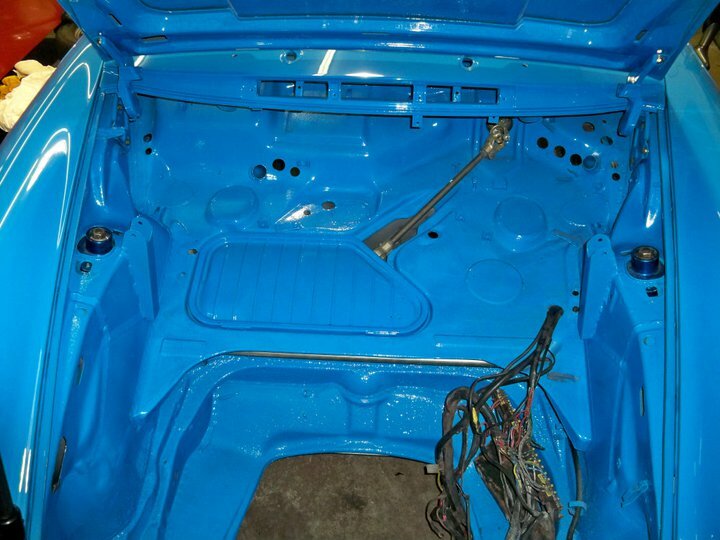 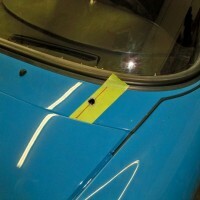 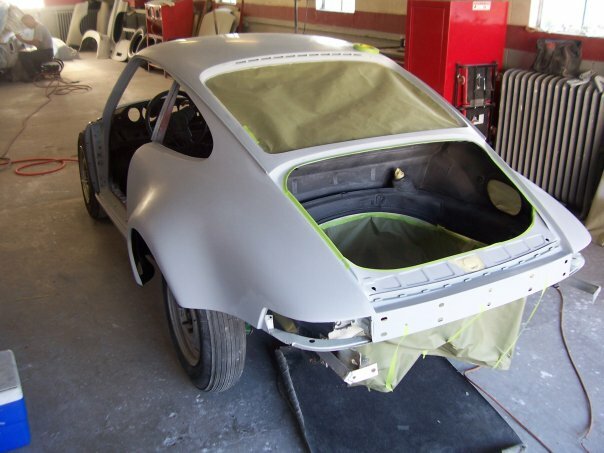 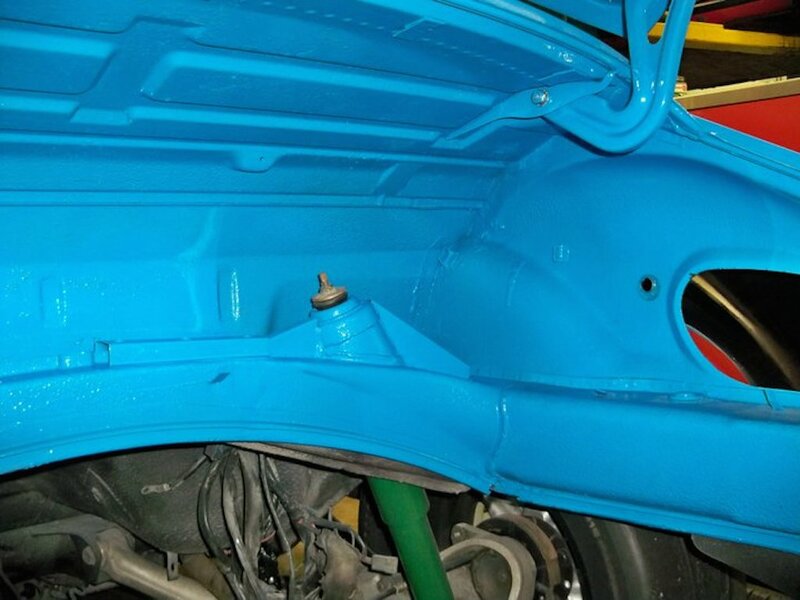 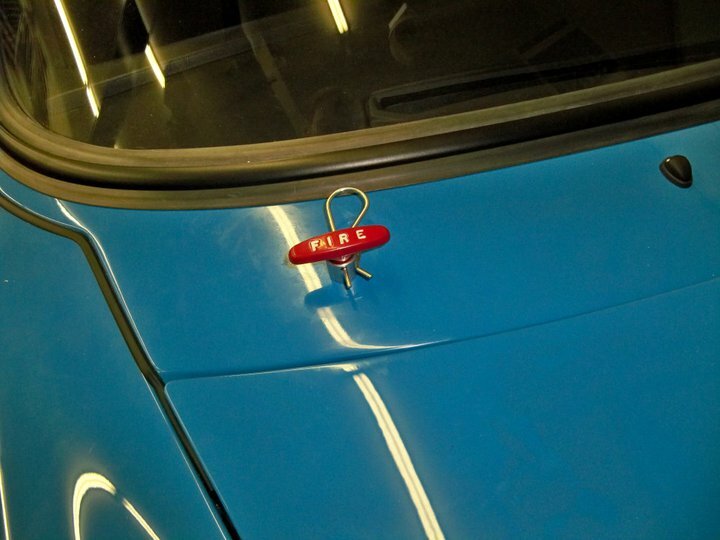 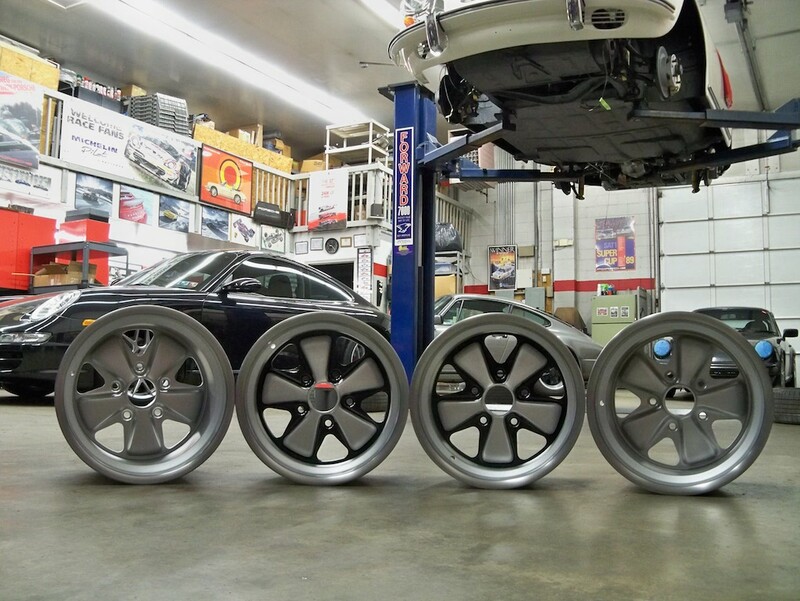 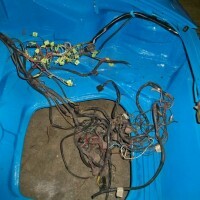 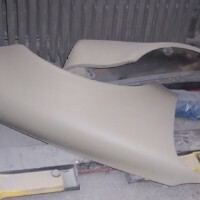 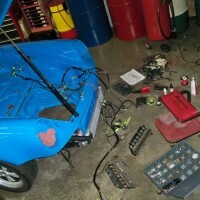 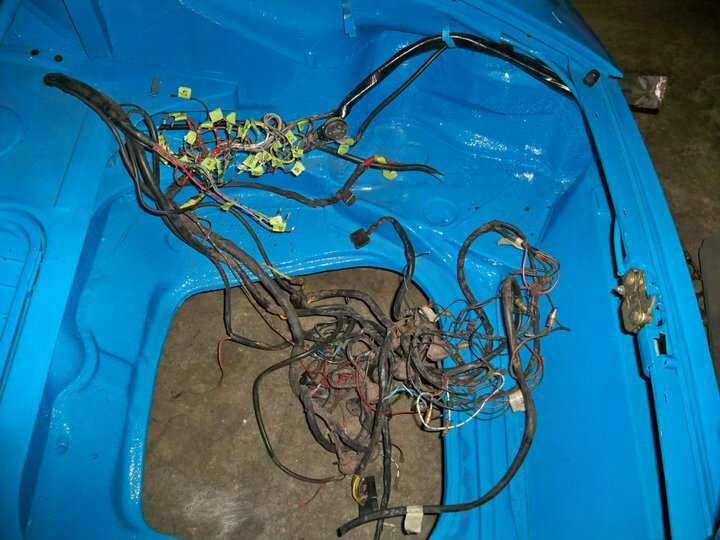 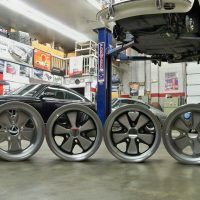 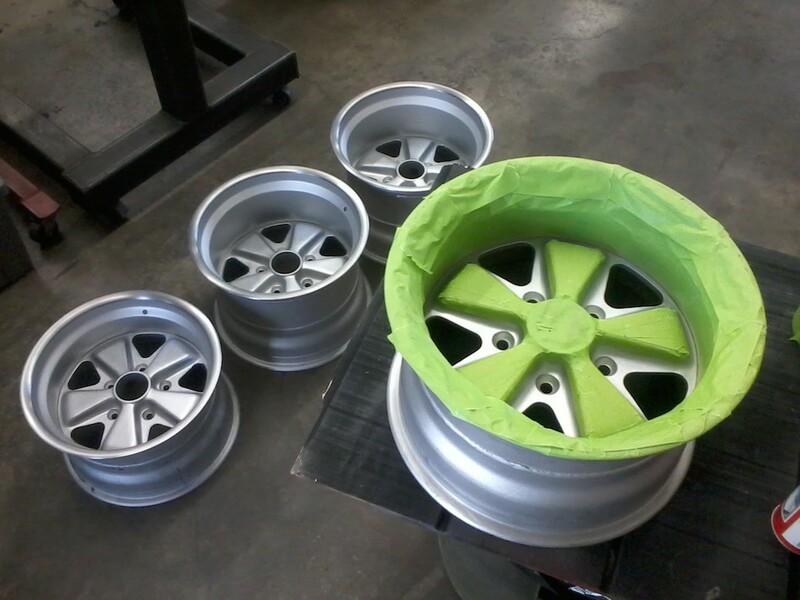 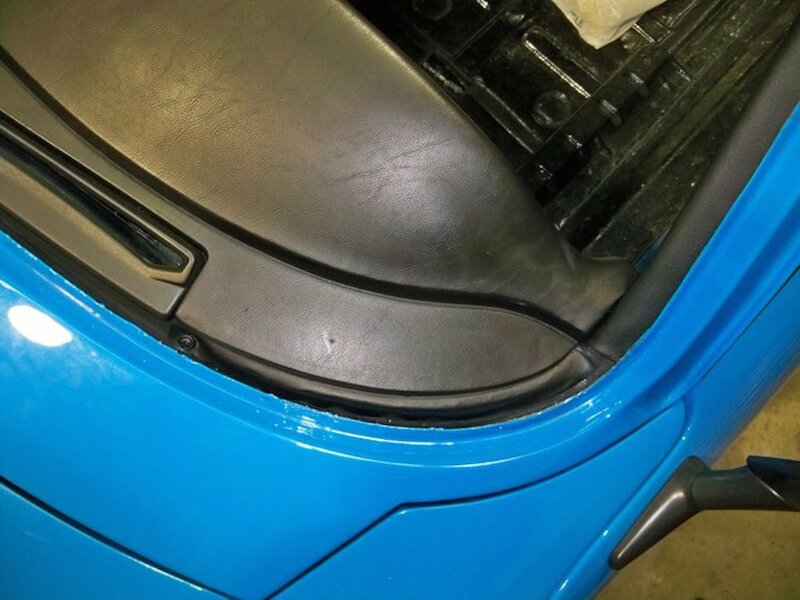 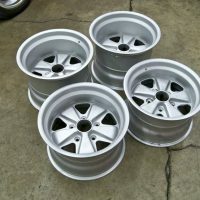 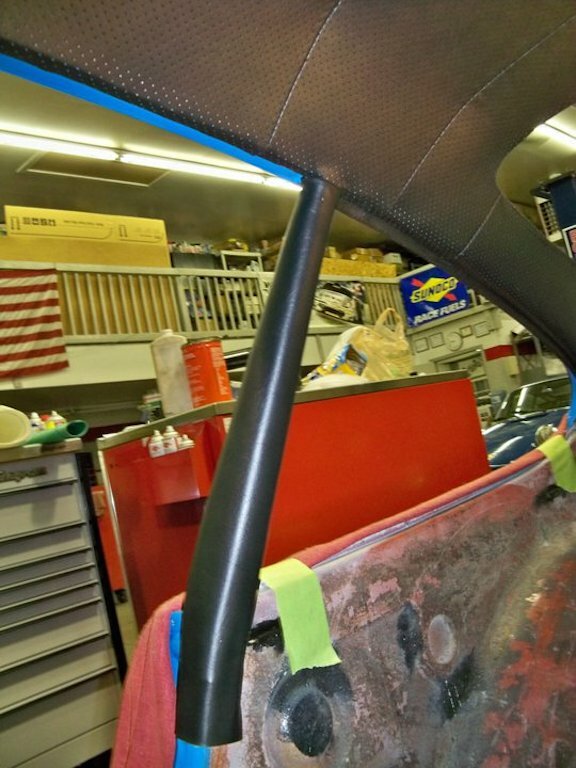 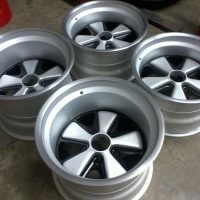 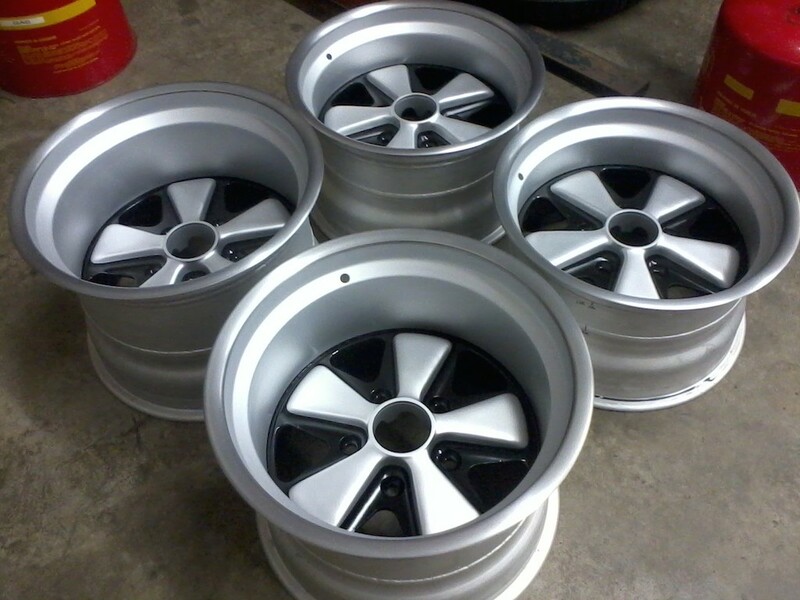 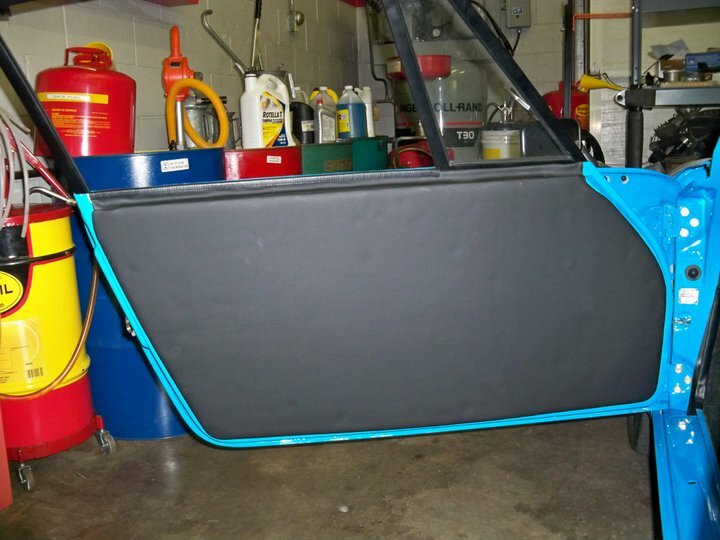 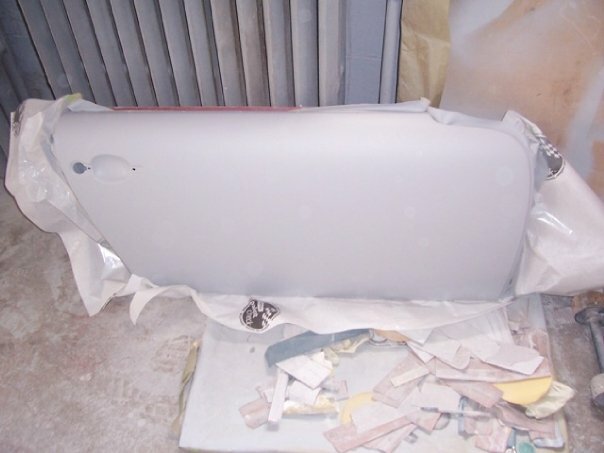 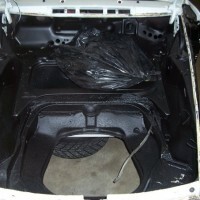 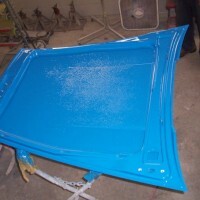 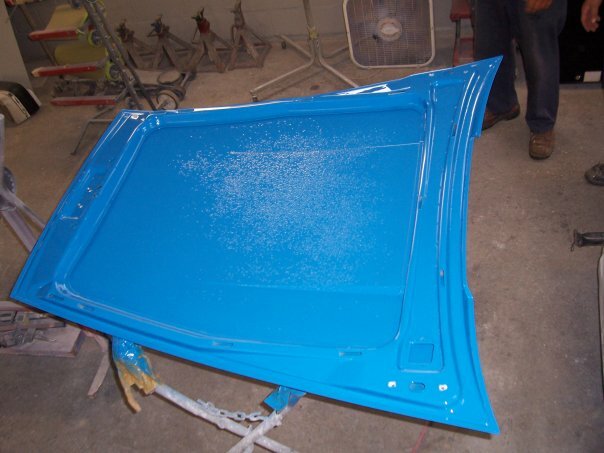 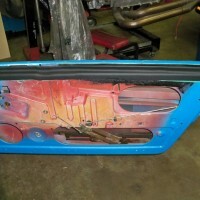 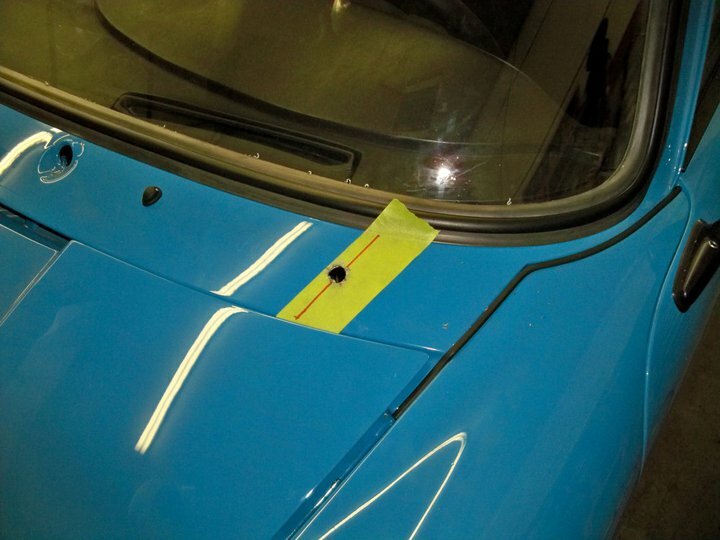 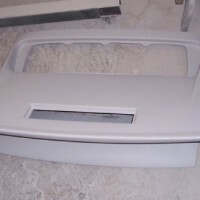 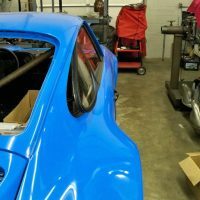 While the car was in paint, all trim underwent powder coating. 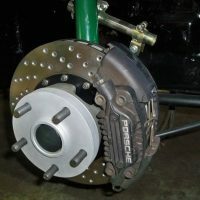 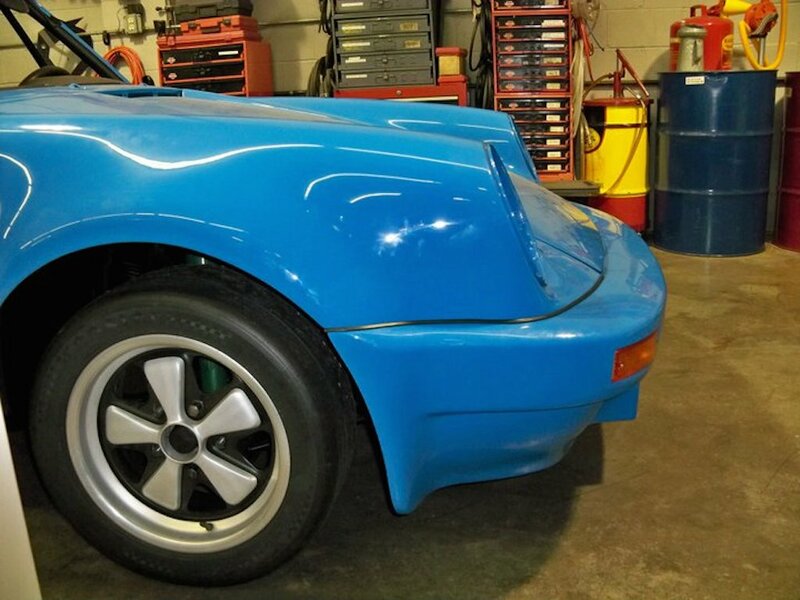 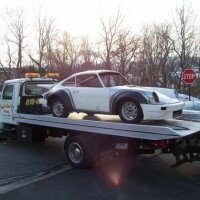 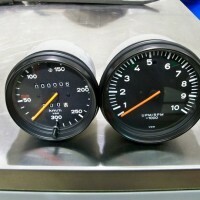 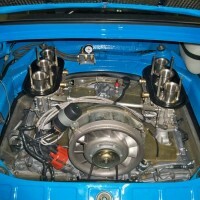 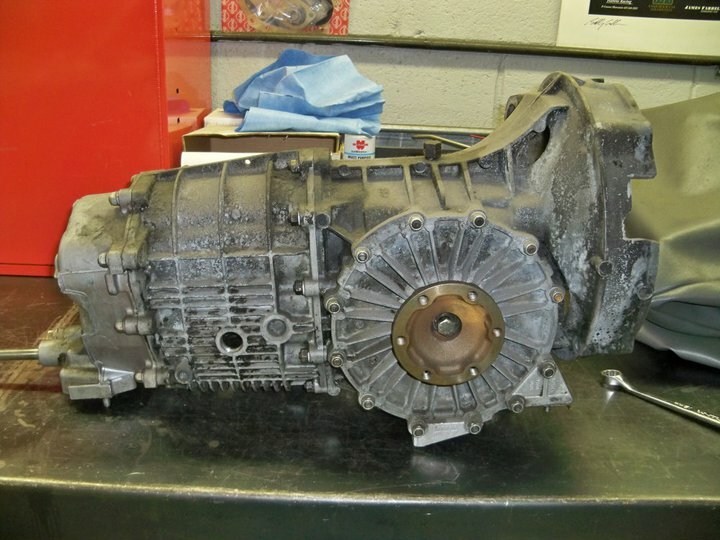 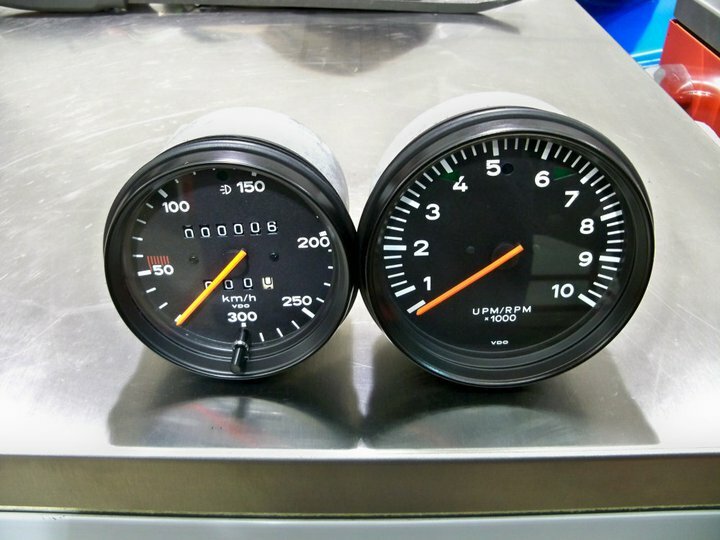 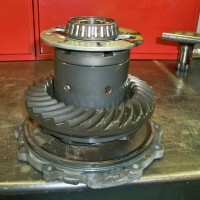 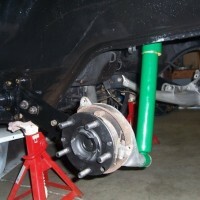 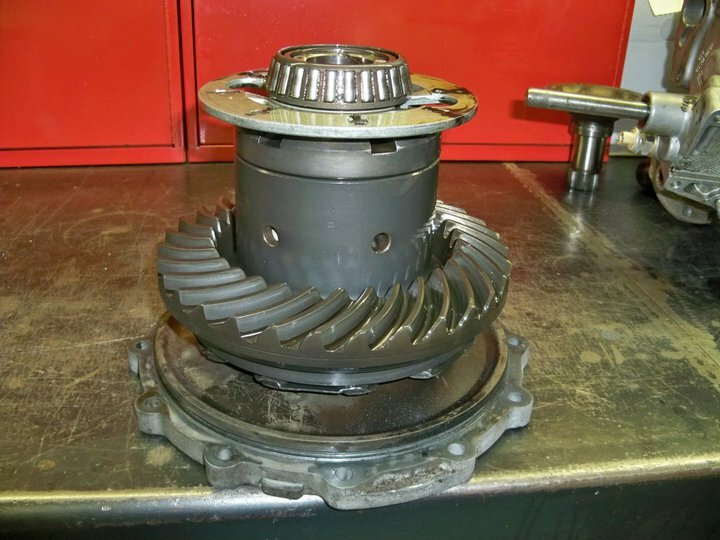 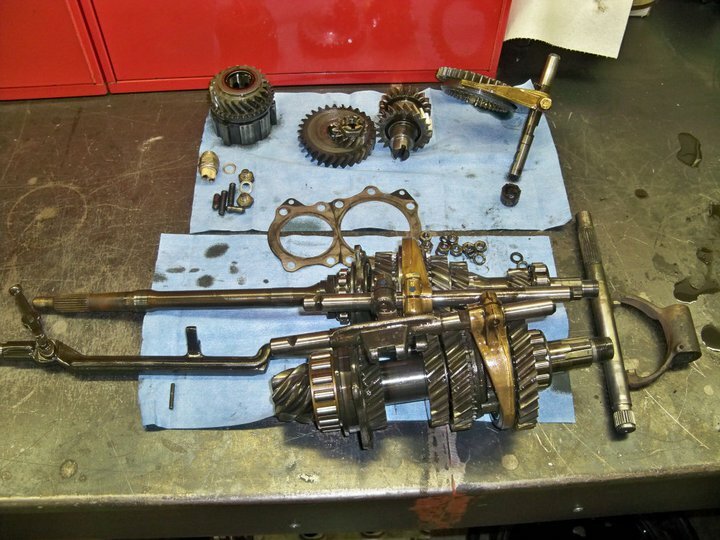 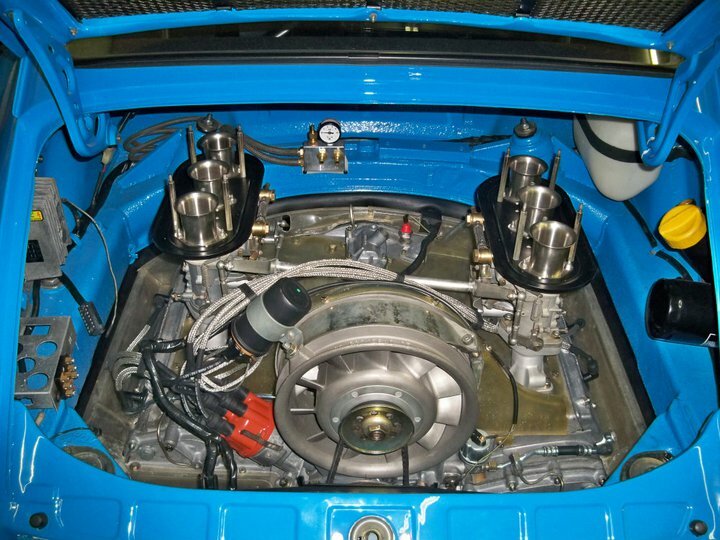 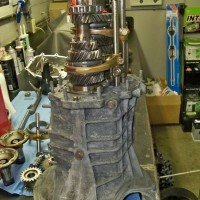 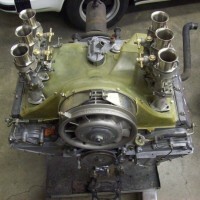 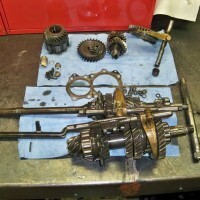 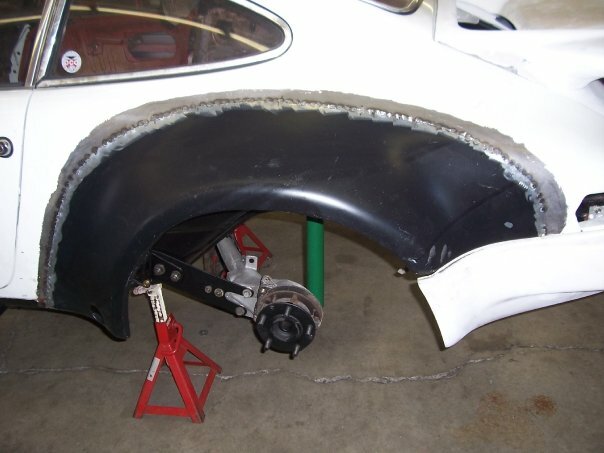 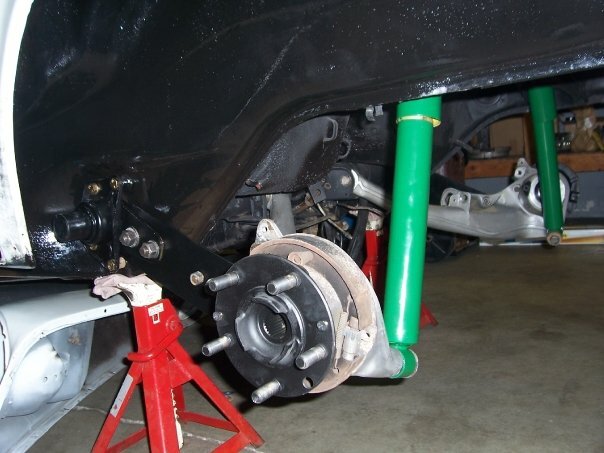 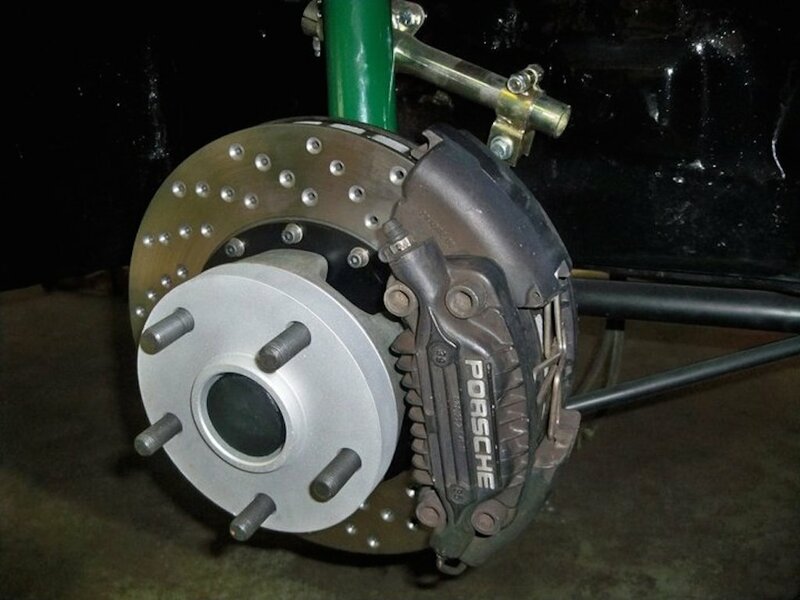 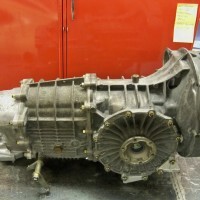 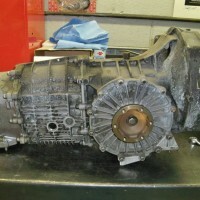 The 930 turbo brakes were converted and the suspension was rebuilt with monoball and poly components. 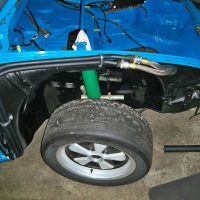 The Bilstein struts and shocks were re-valved to RSR spec. 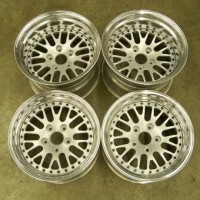 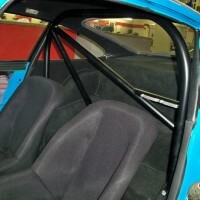 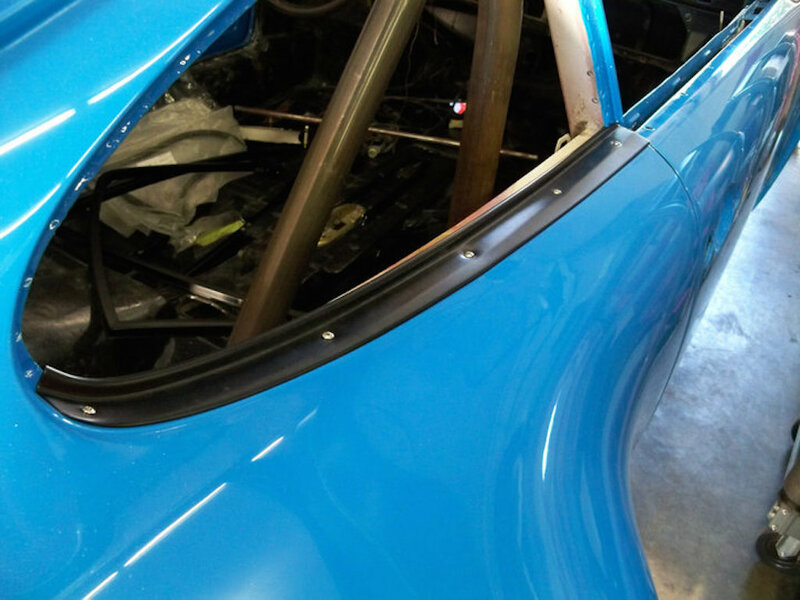 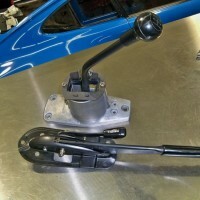 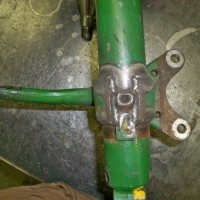 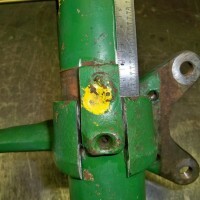 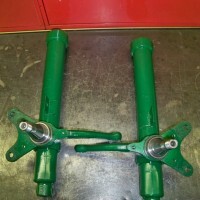 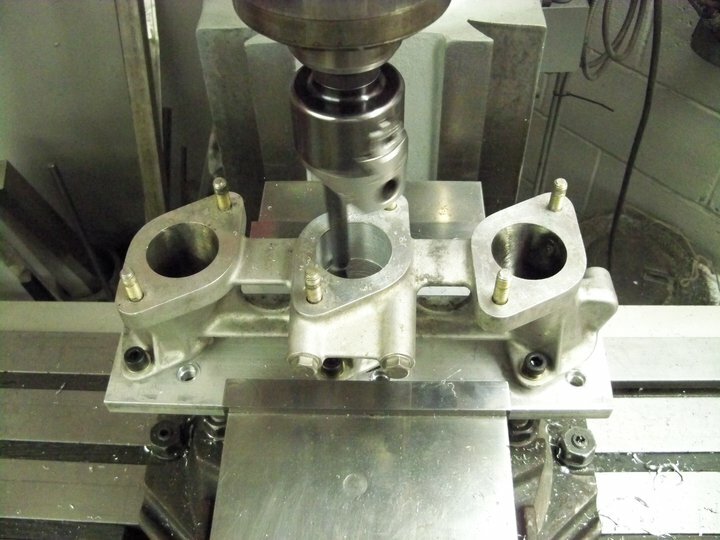 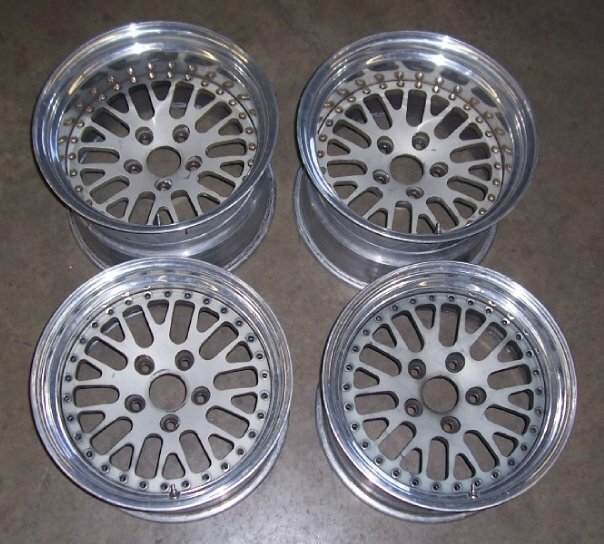 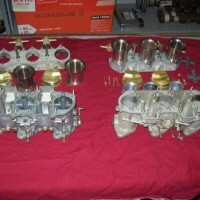 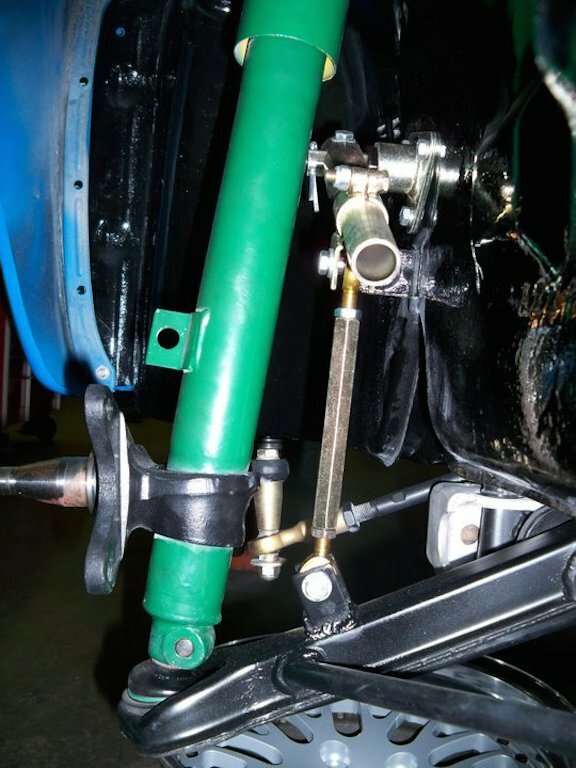 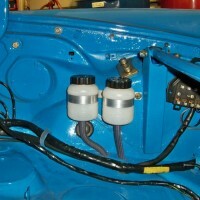 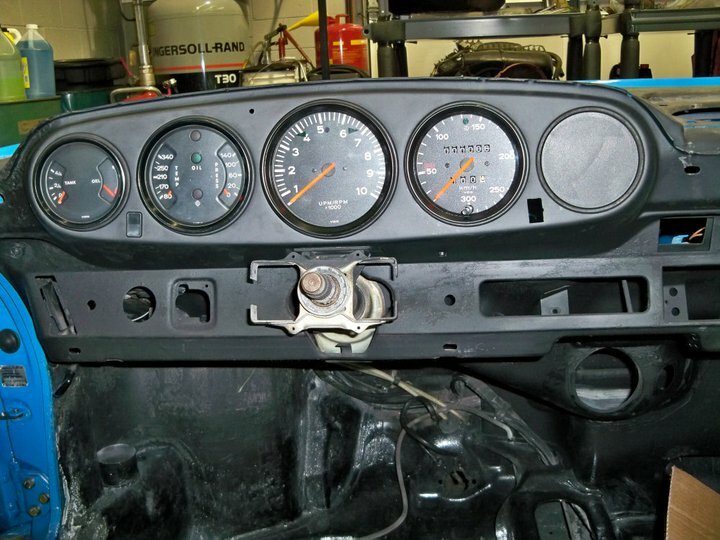 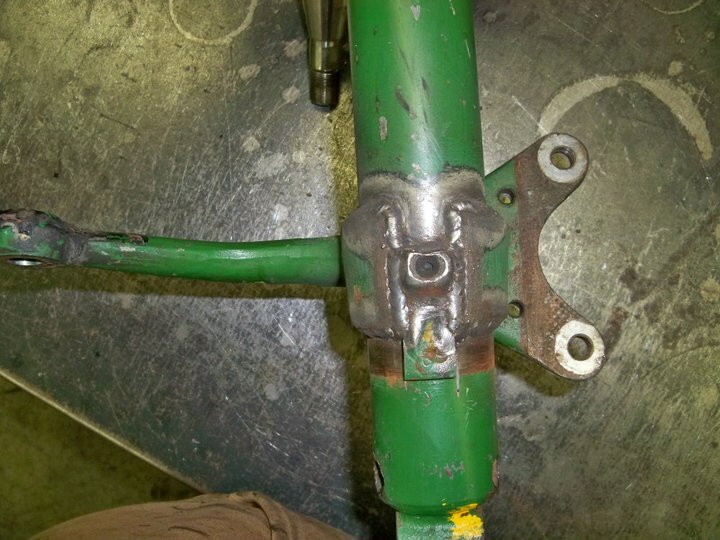 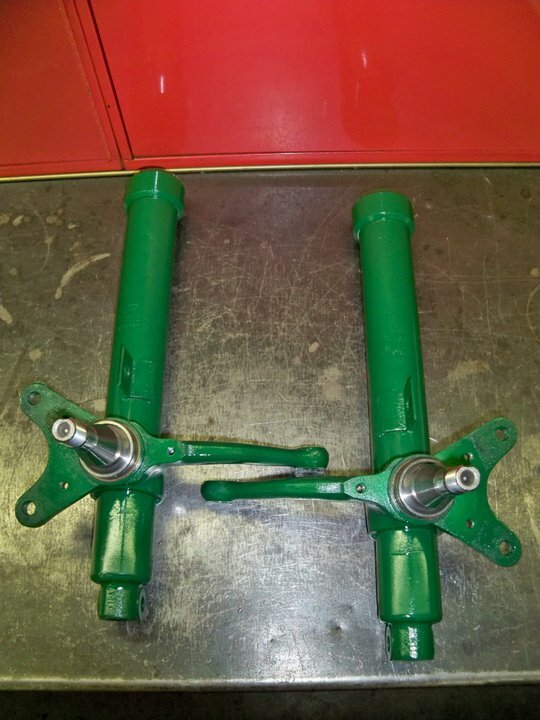 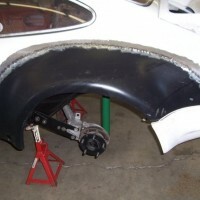 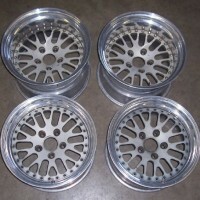 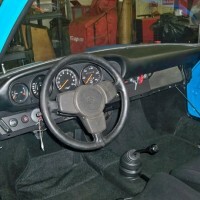 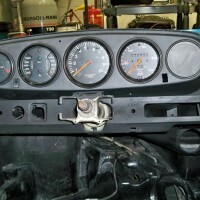 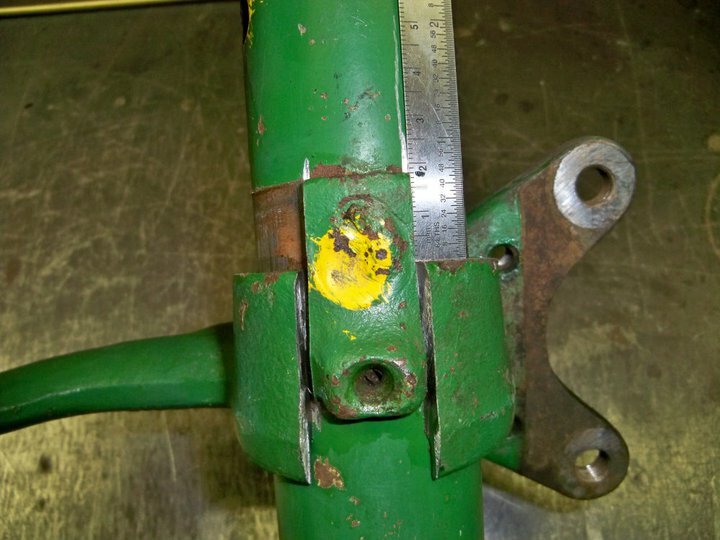 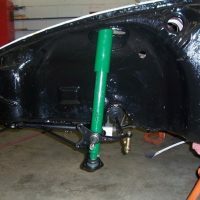 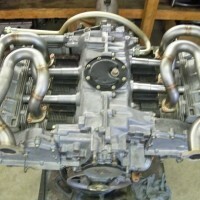 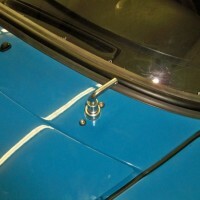 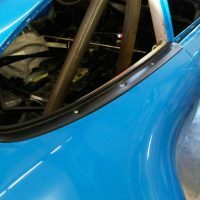 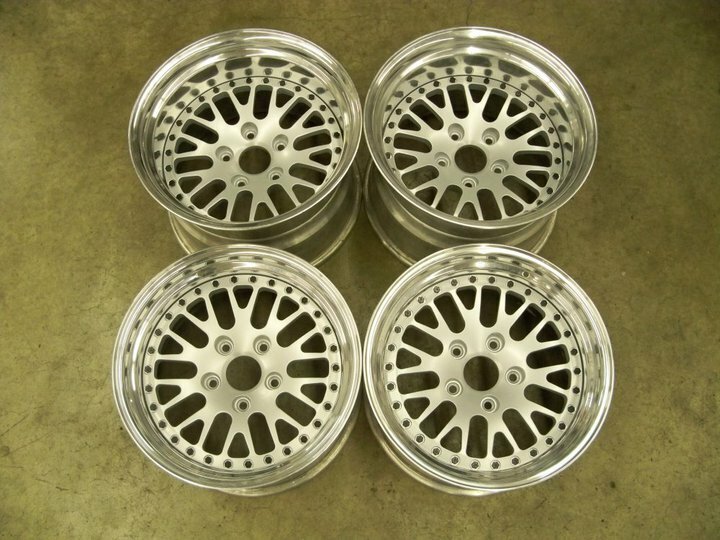 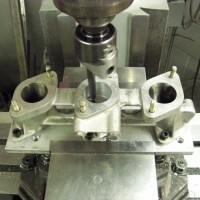 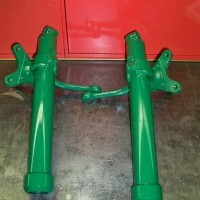 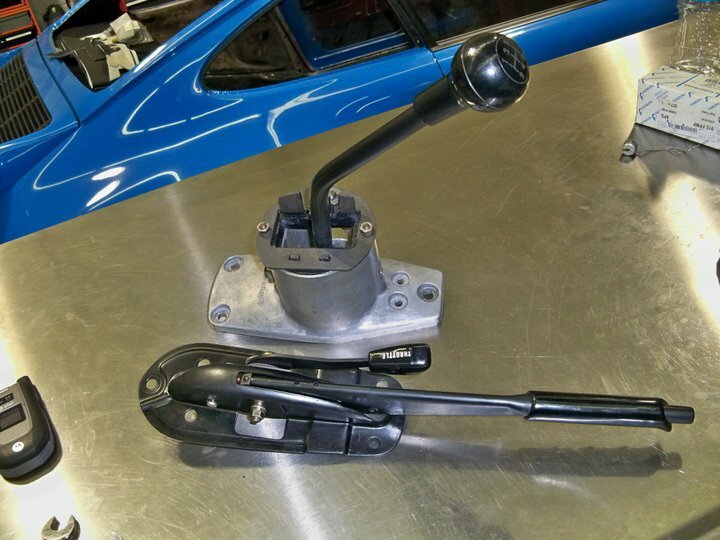 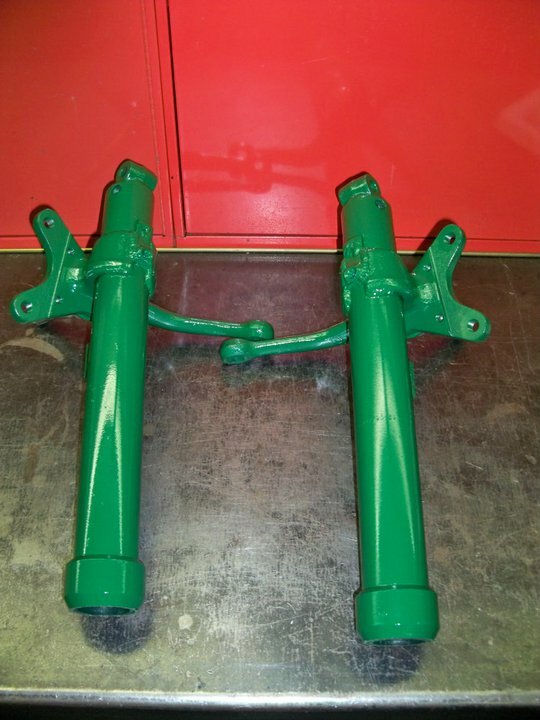 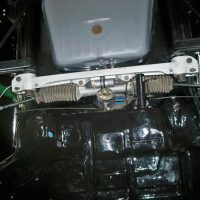 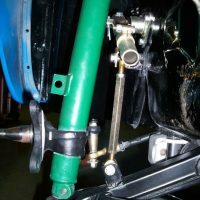 The front strut housings were re-bushinged and the spindles were raised to RSR spec. 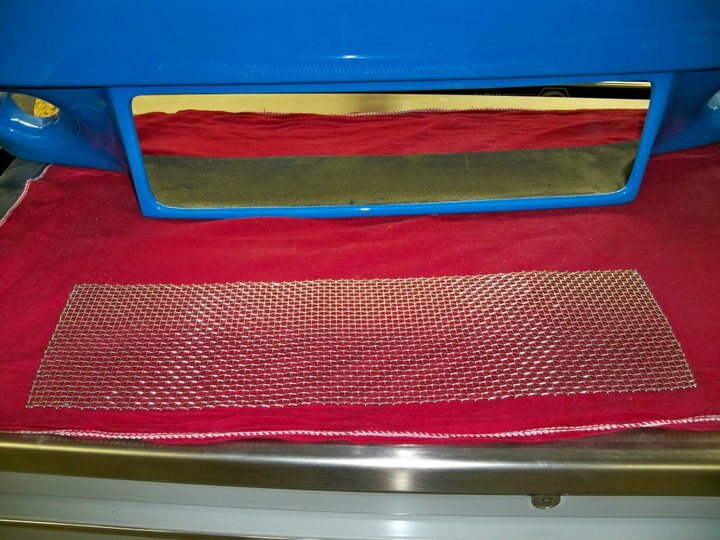 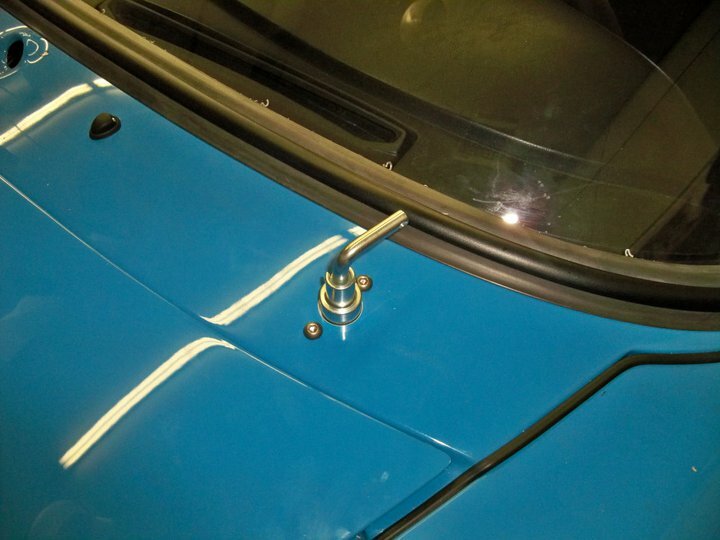 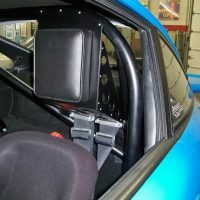 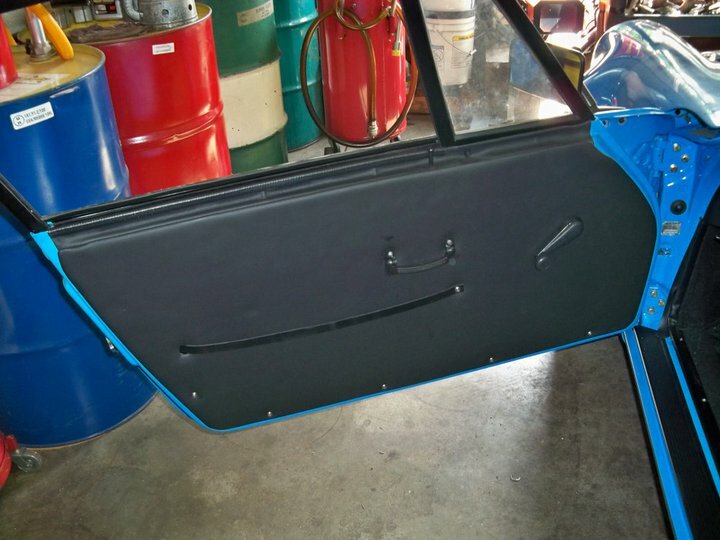 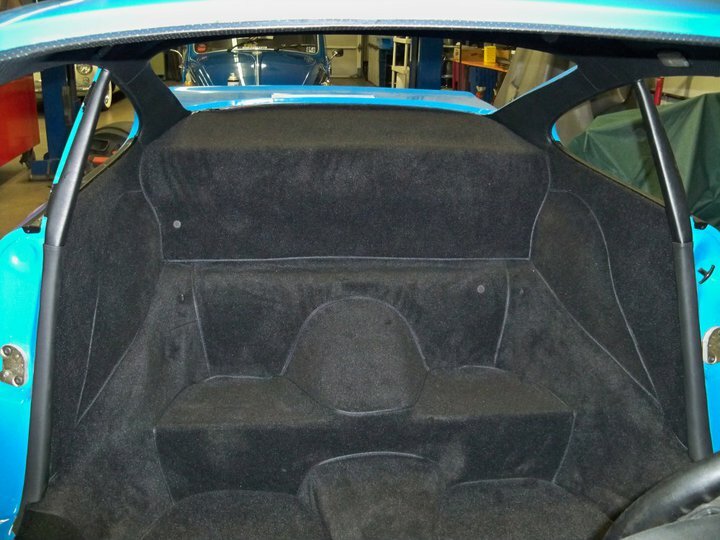 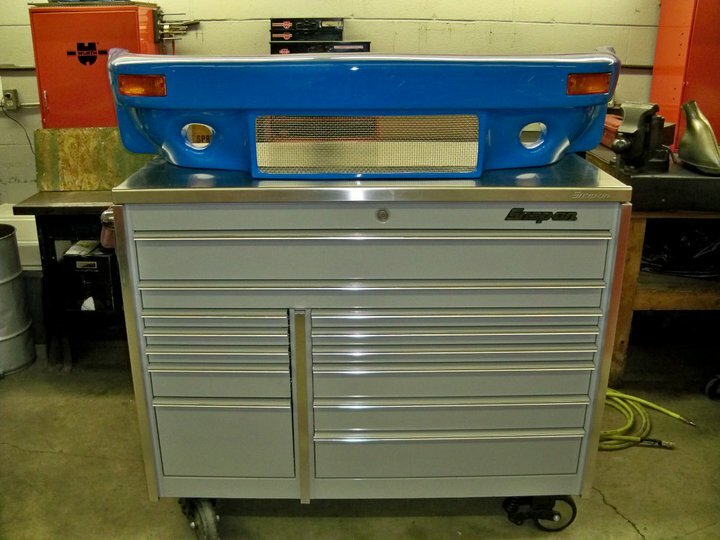 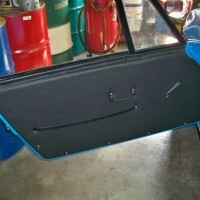 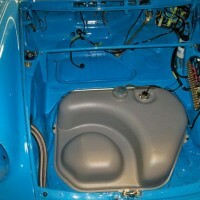 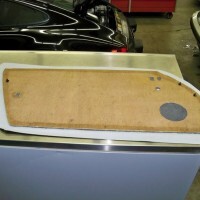 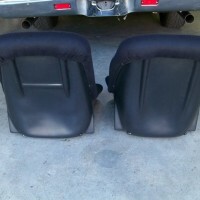 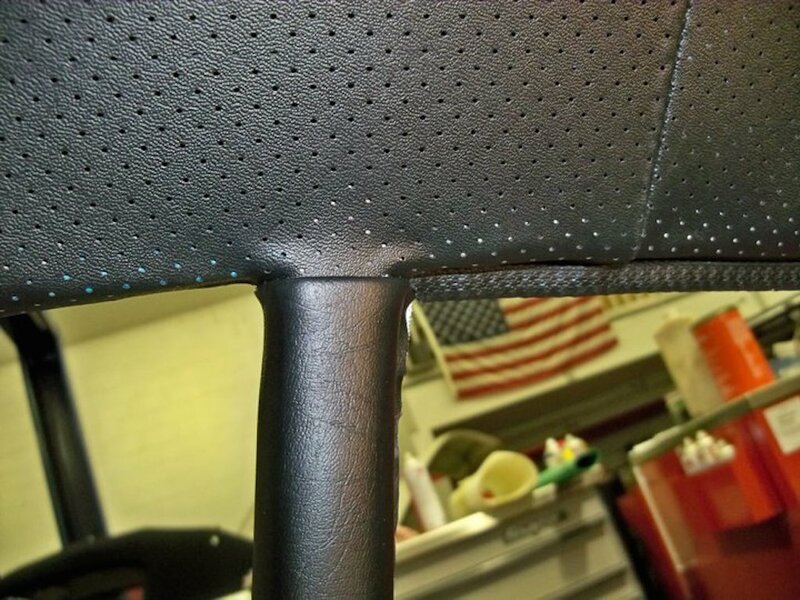 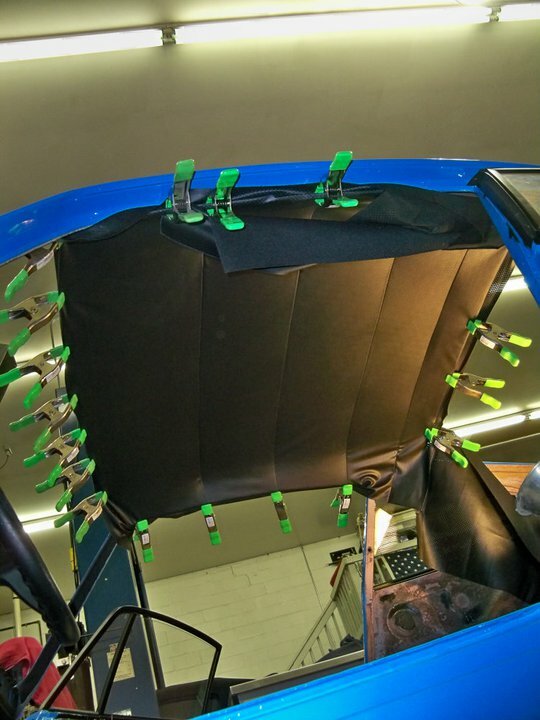 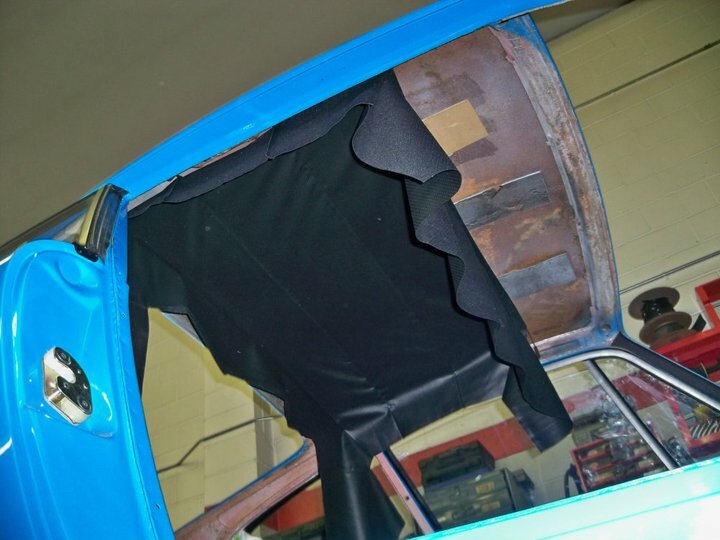 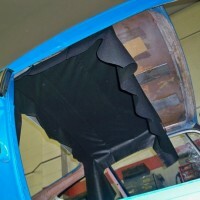 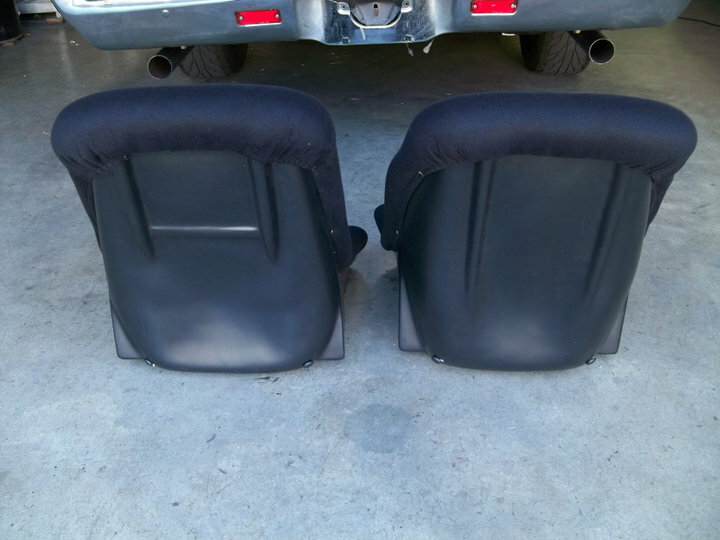 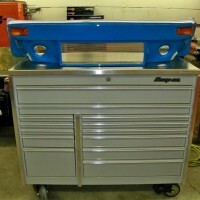 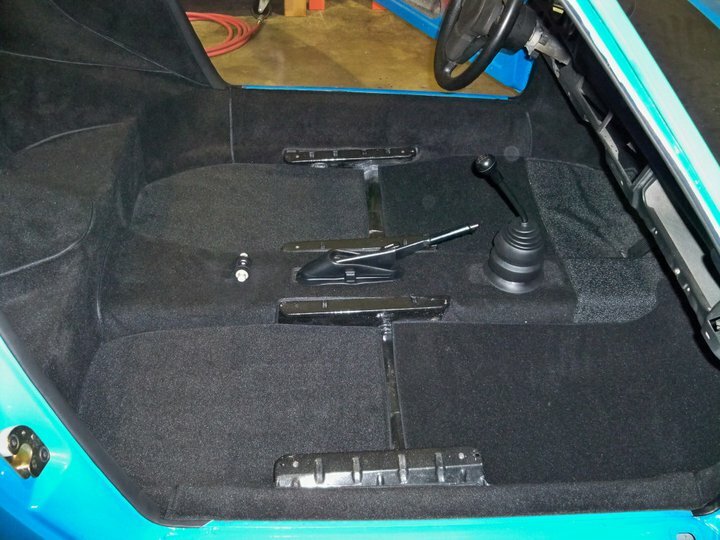 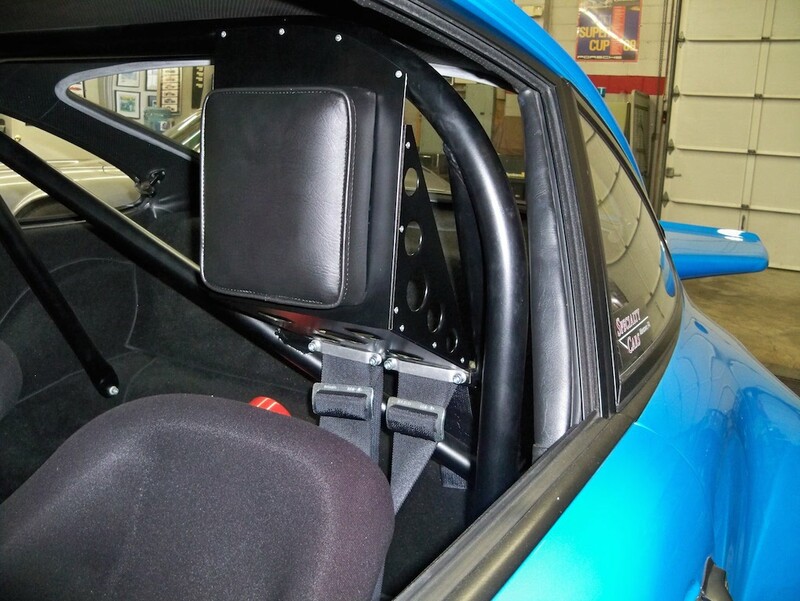 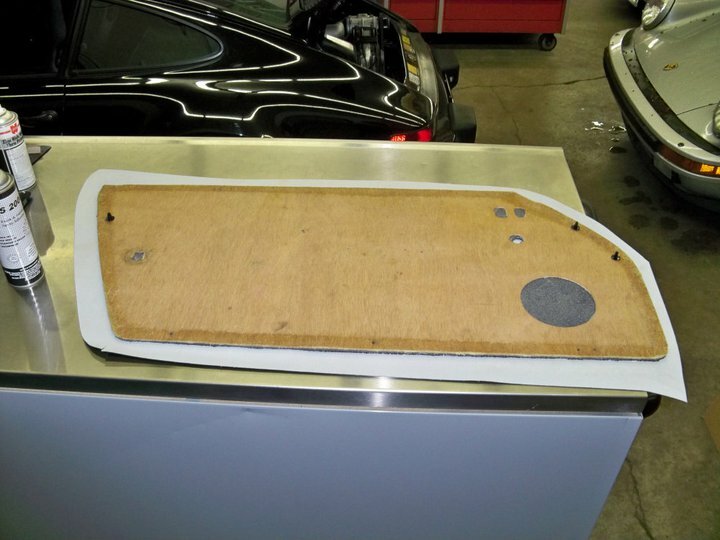 RSR door panels were fabricated, along with custom stainless steel hood pin plates and a headrest. 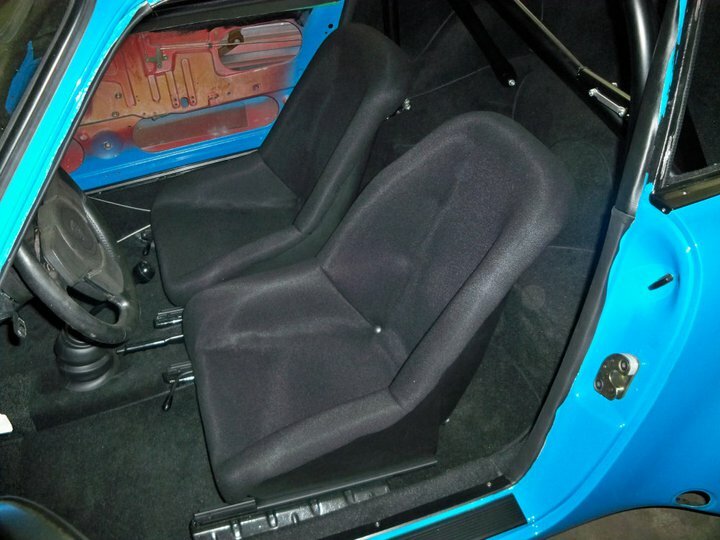 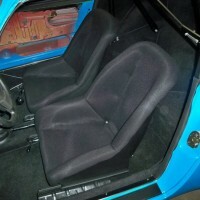 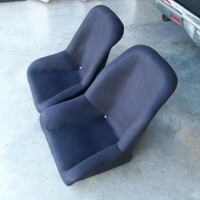 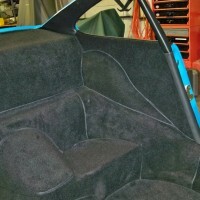 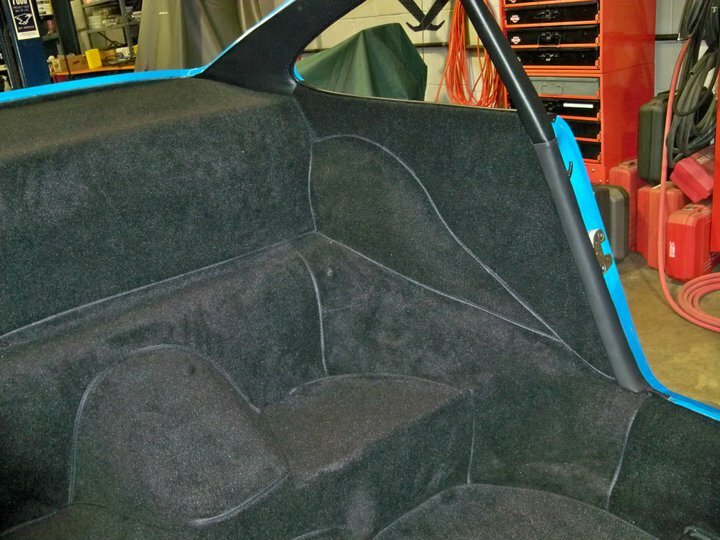 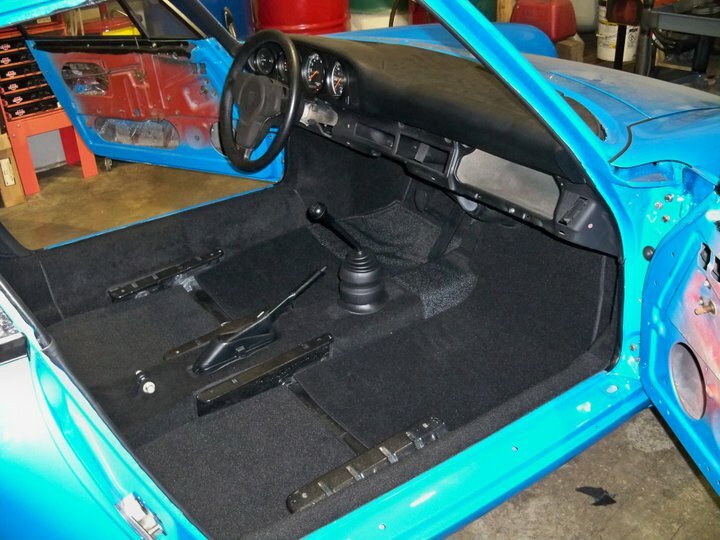 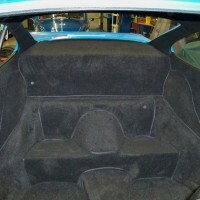 New head liner, light weight carpet, replica RSR seats and a fire system were all fitted and installed. 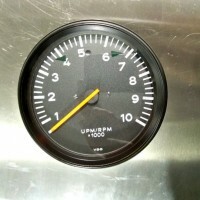 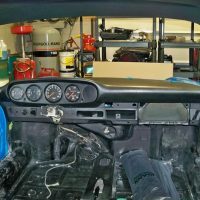 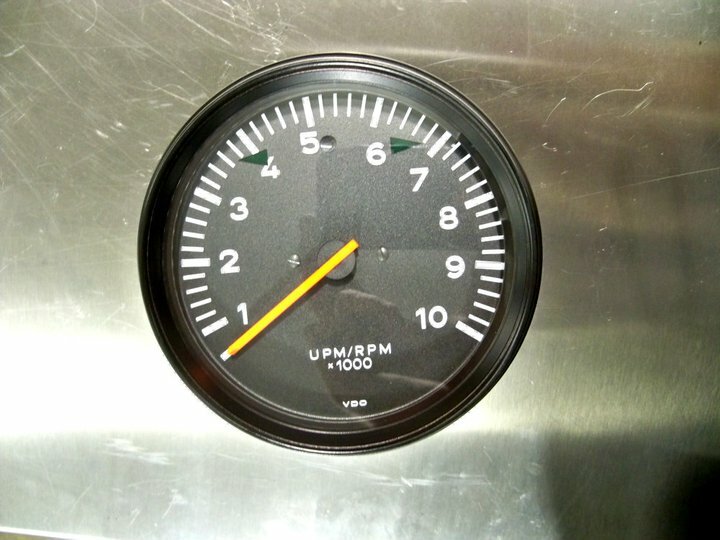 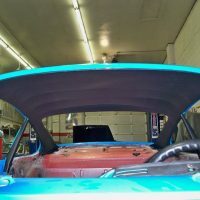 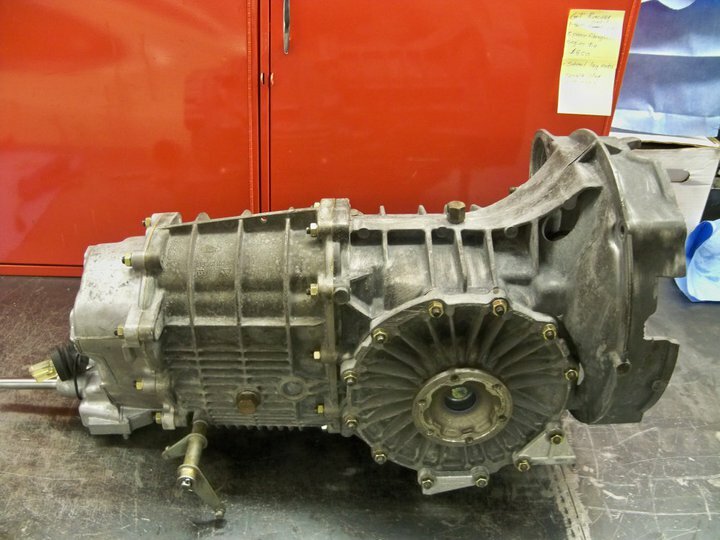 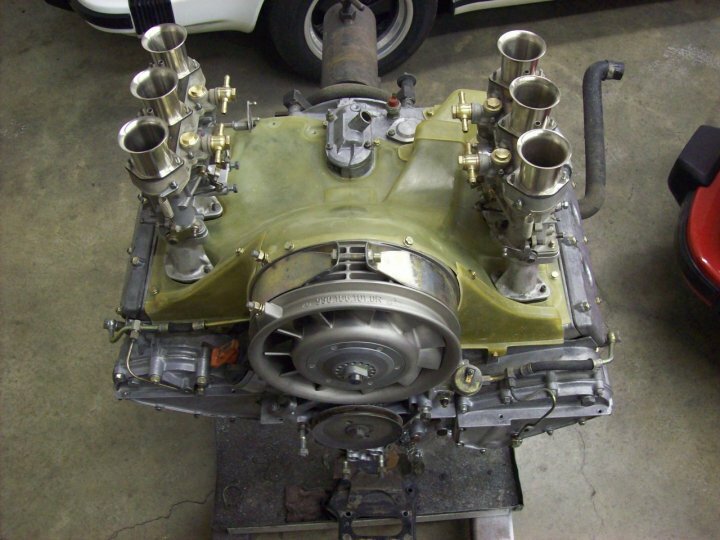 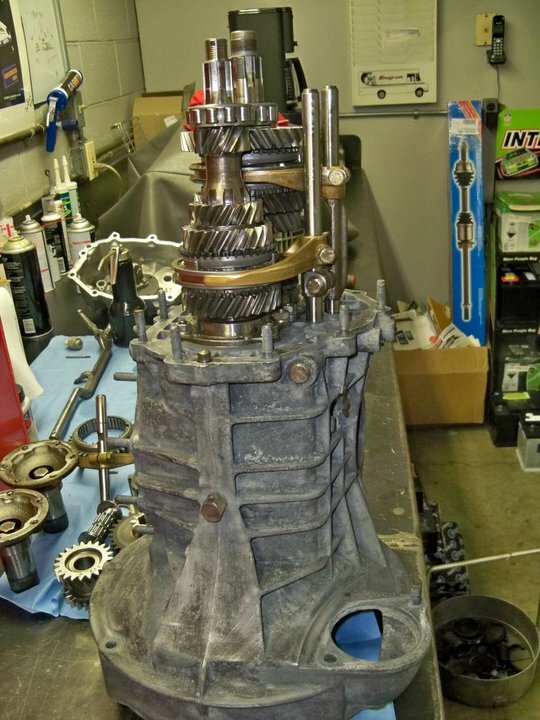 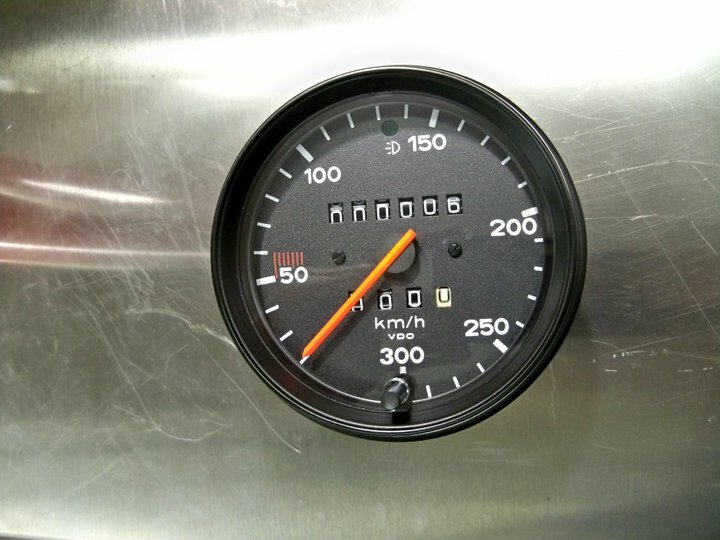 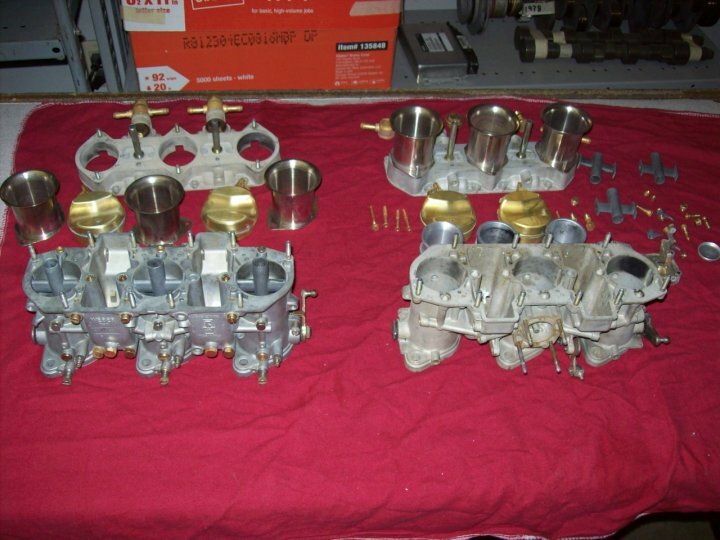 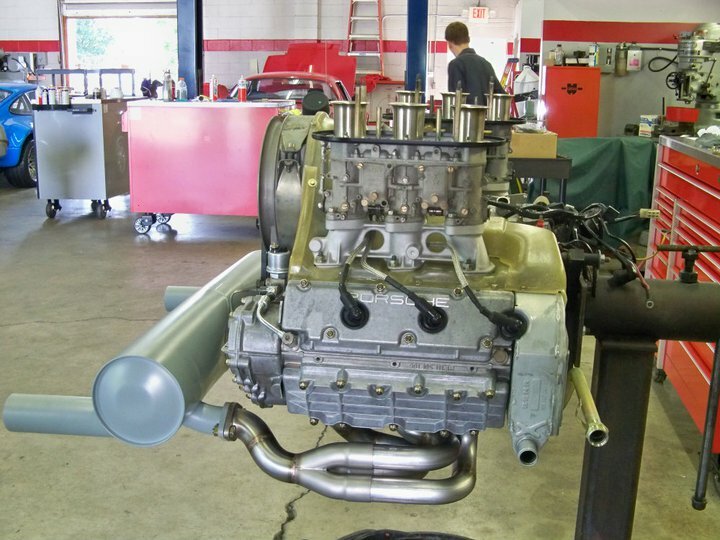 The car has a 915 limited slip transmission and a 3.0 engine with JE pistons, cams, Weber carburetors, fiberglass engine tin and shroud with M & K muffler and headers. 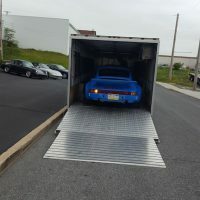 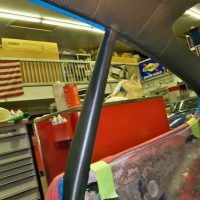 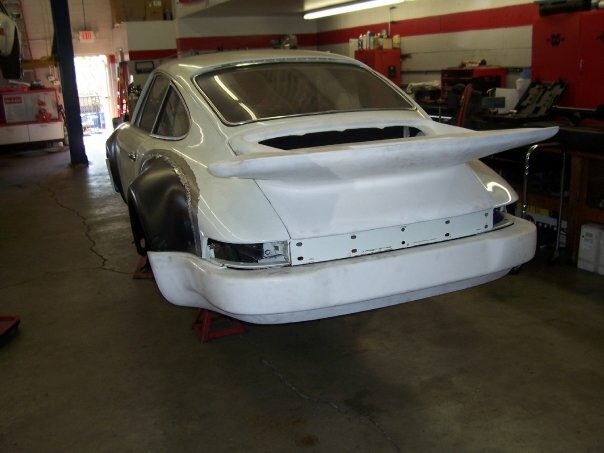 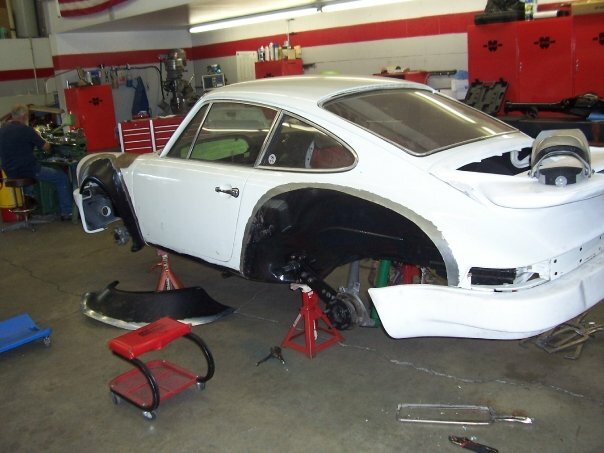 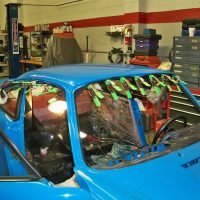 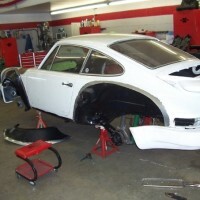 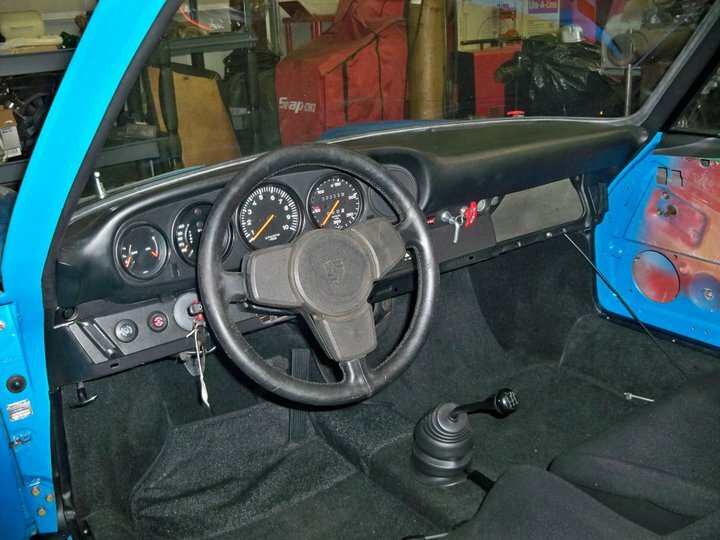 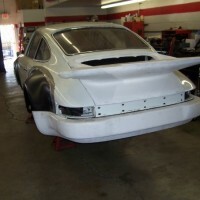 All work, with the exception of the exterior paint, was complete in house at Specialty Cars of Allentown, Pa.
Nick’s 1974 IROC RSR build took 1st at the 2011 Pittsburg Vintage Grand Prix. 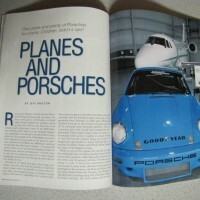 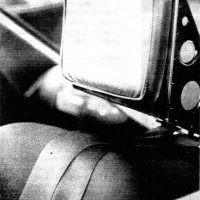 Featured in the November 2011 issue of Panorama. 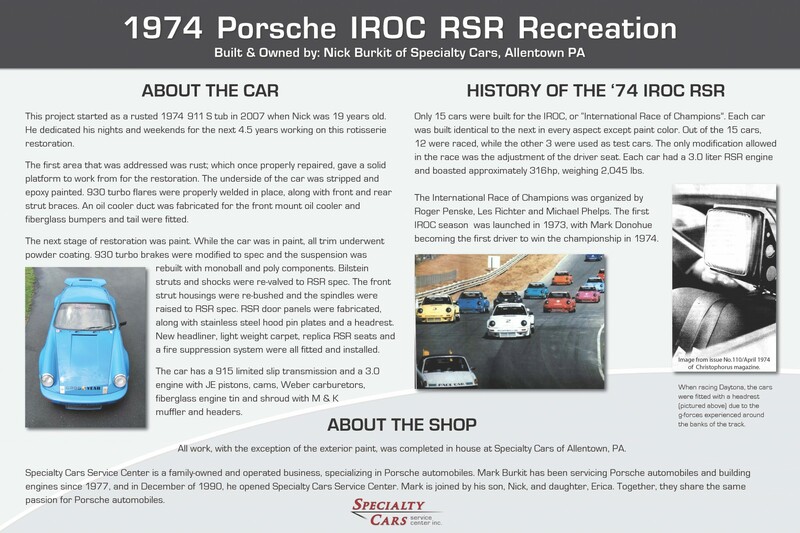 Poster displaying the history and detailed information about the car. 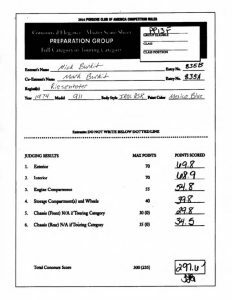 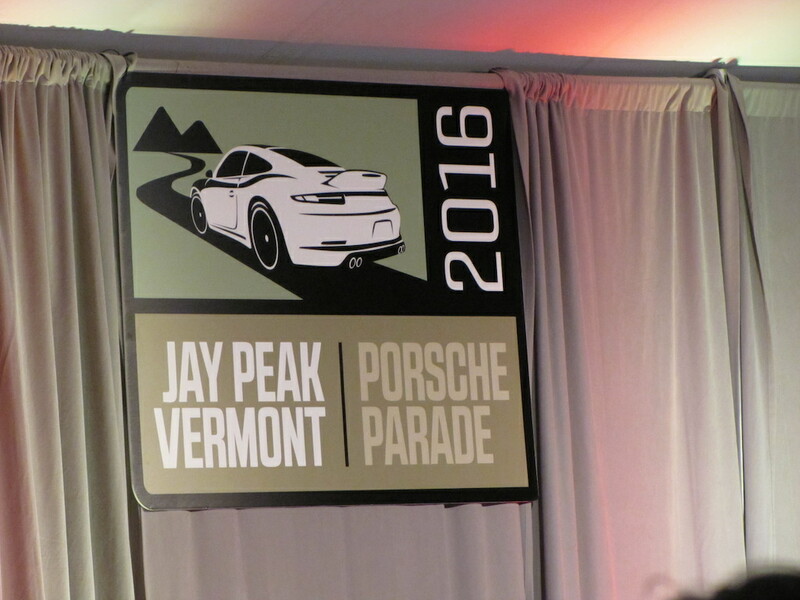 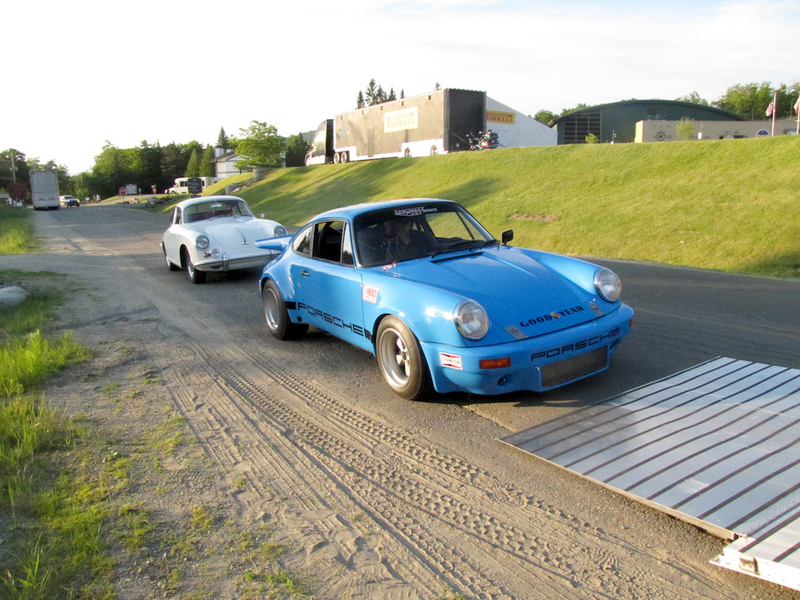 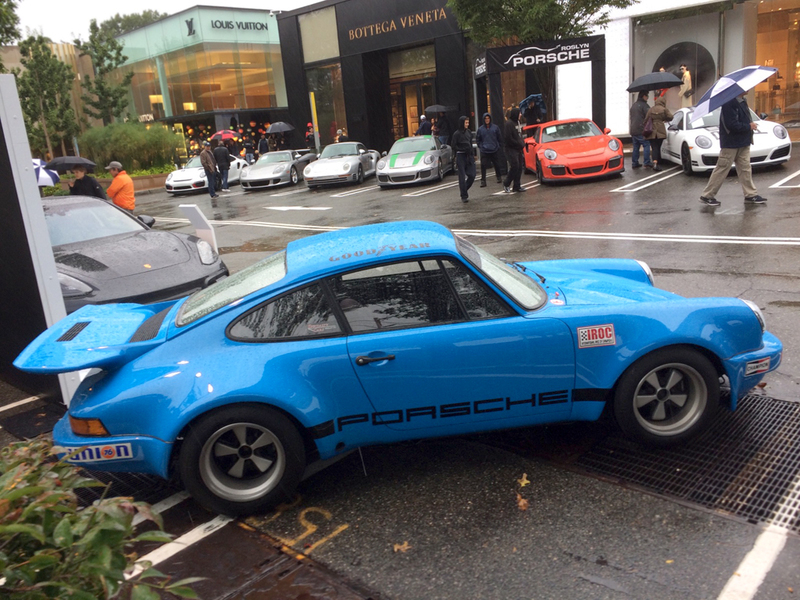 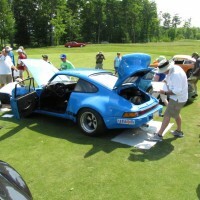 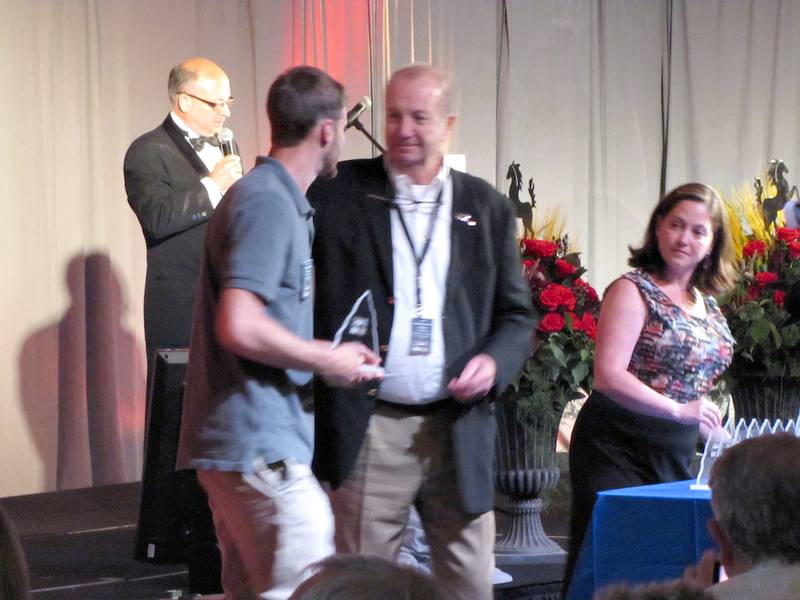 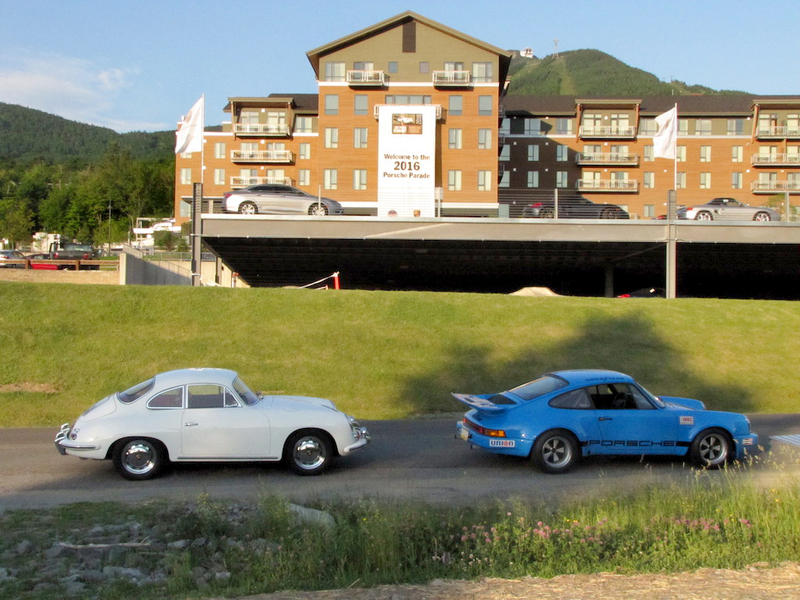 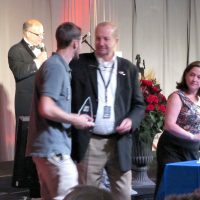 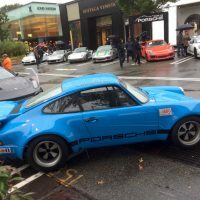 Nick’s 1974 IROC RSR build took 1st in its class at the 2016 Porsche Parade at Jay Peak, VT.
Porsche Parade Concours d’Elegance Score Sheet for Nick’s 1974 IROC RSR build. 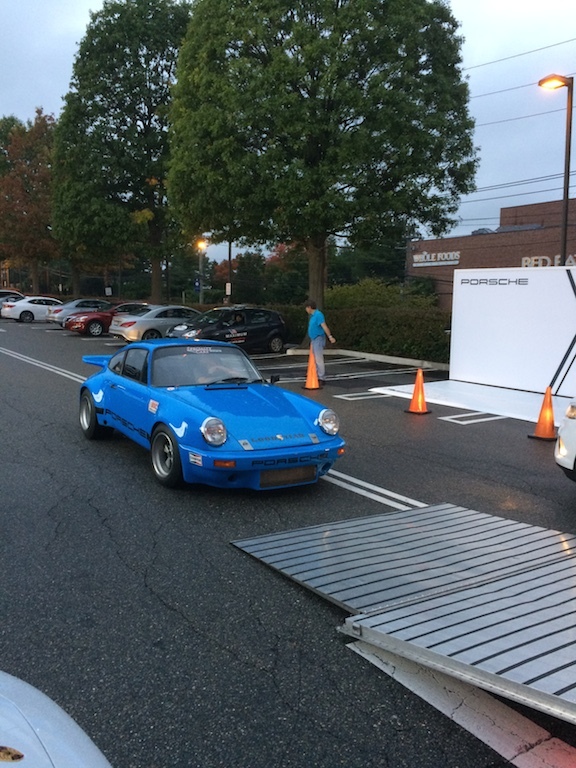 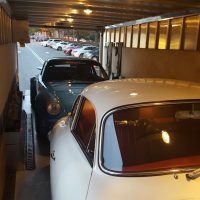 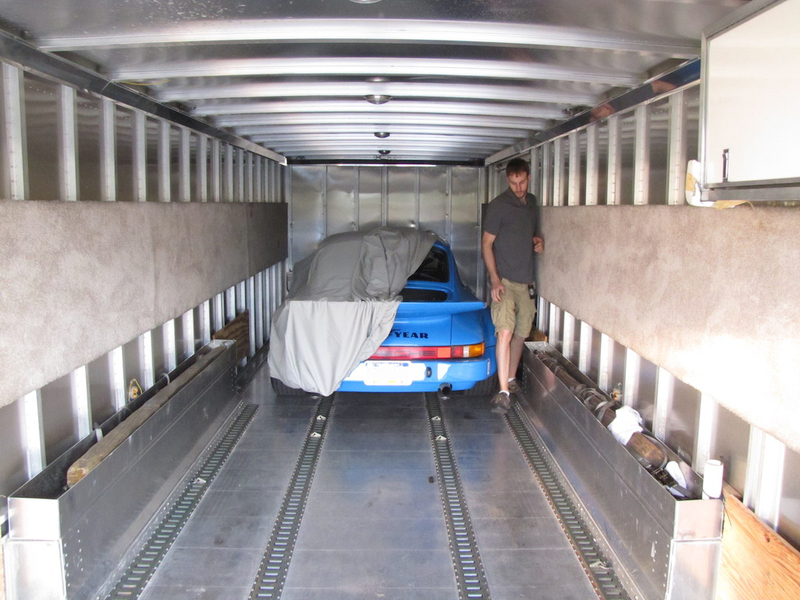 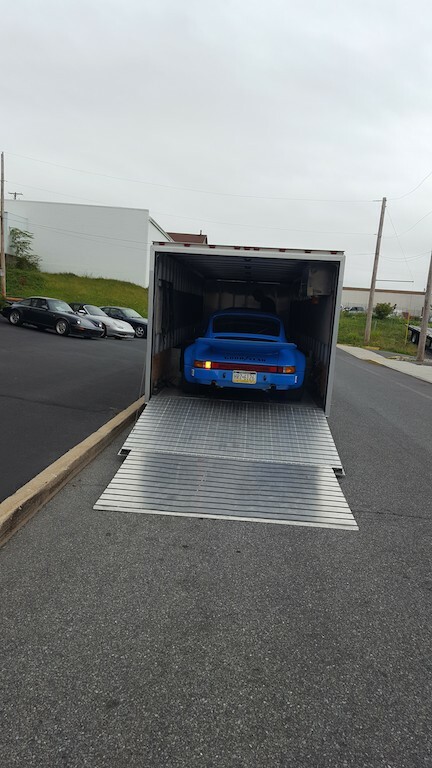 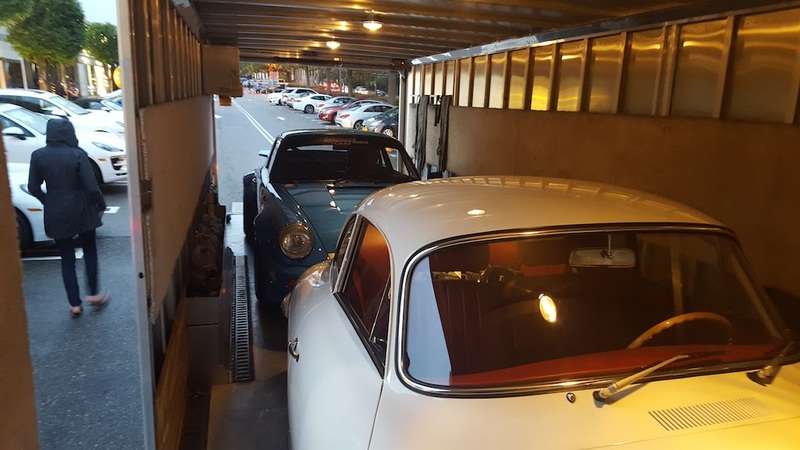 Loading up for the Americana Manhasset Concours d’Elegance on Sunday, October 9th, 2016. 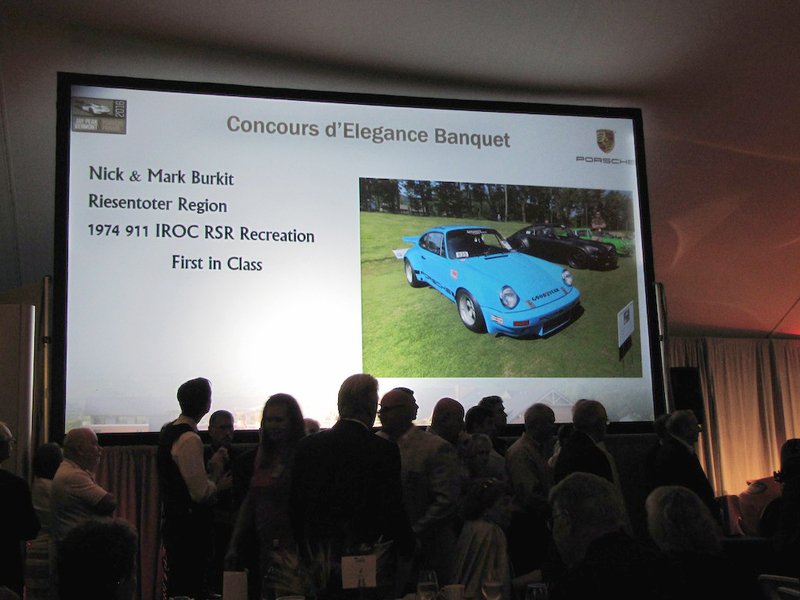 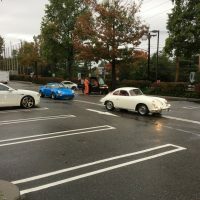 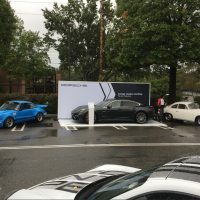 Nick Burkit of Specialty Cars was invited to attended the Americana Manhasset Concours d’Elegance to feature his build, the 1974 IROC RS Tribute.